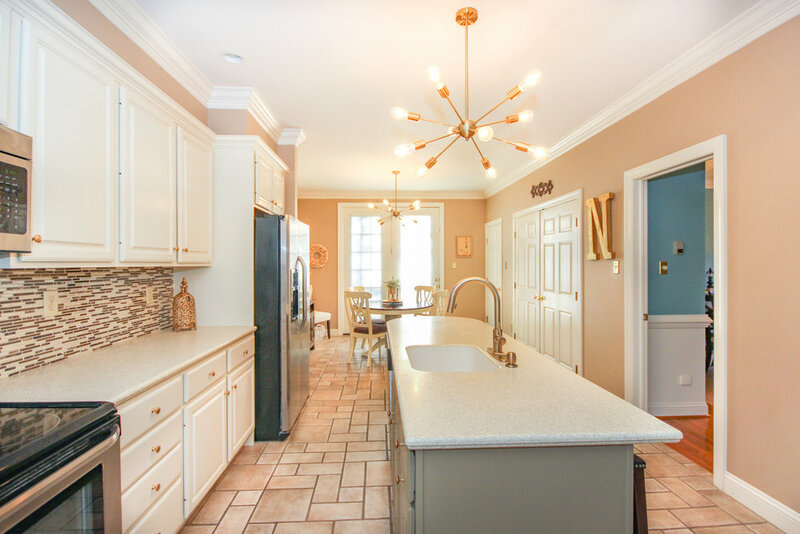 Welcome to this magnificent custom home, featuring real mica stone on most of the facade and hardiplank siding, drenched in natural light w/ exceptional detail throughout in the upscale neighborhood of Darlington Point. 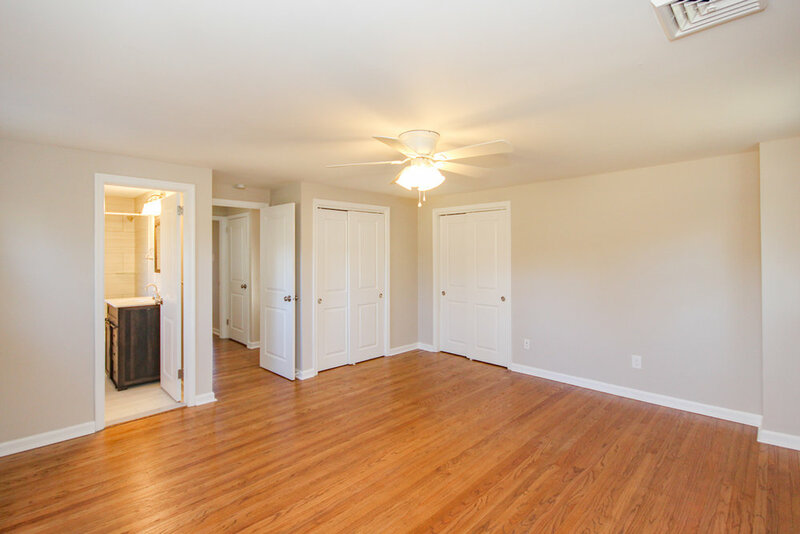 This new construction model offers 5 BRs, 3 full baths, 2 powder rooms & has over 4700 sq ft of living space. 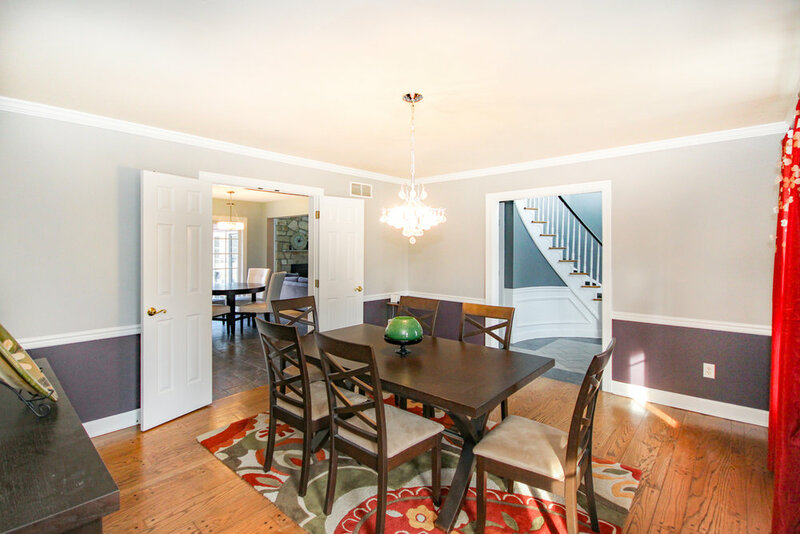 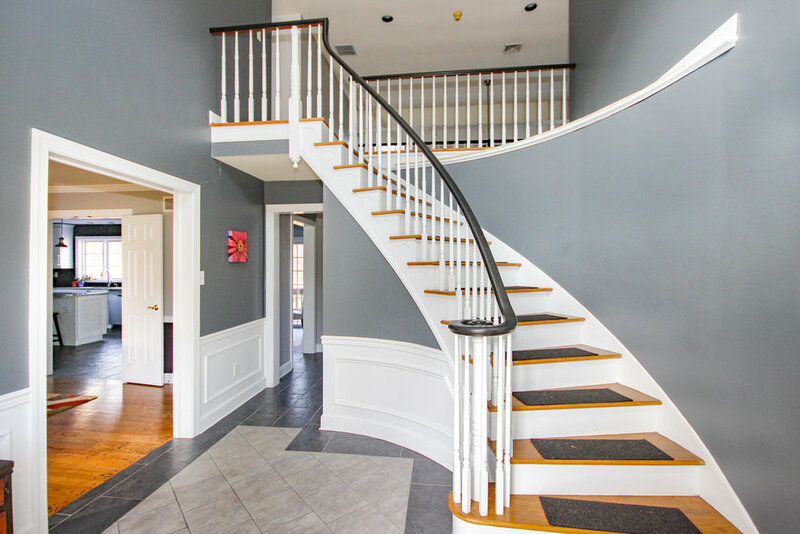 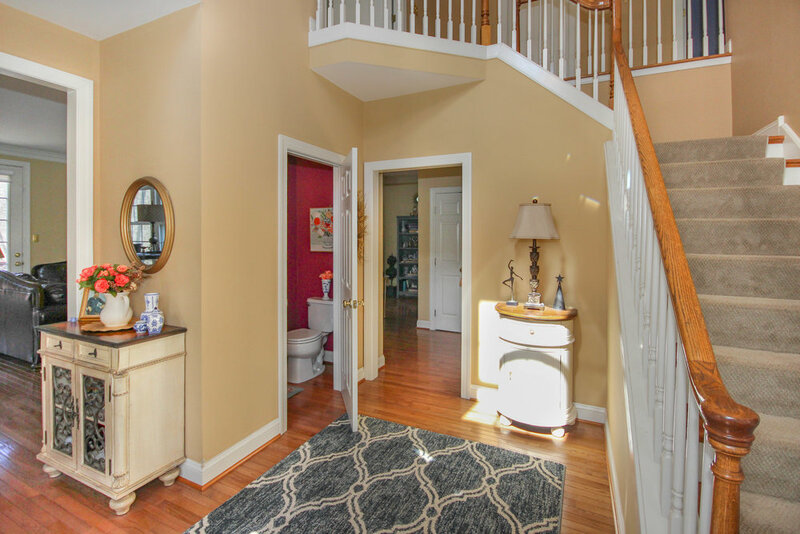 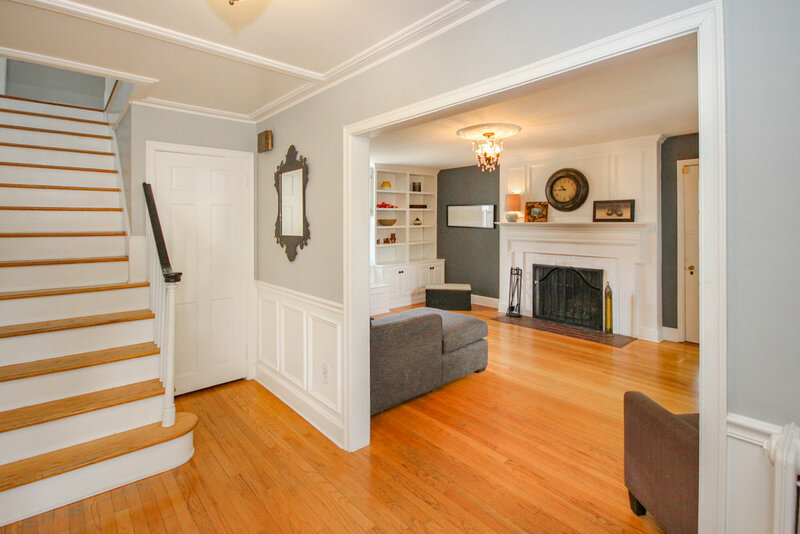 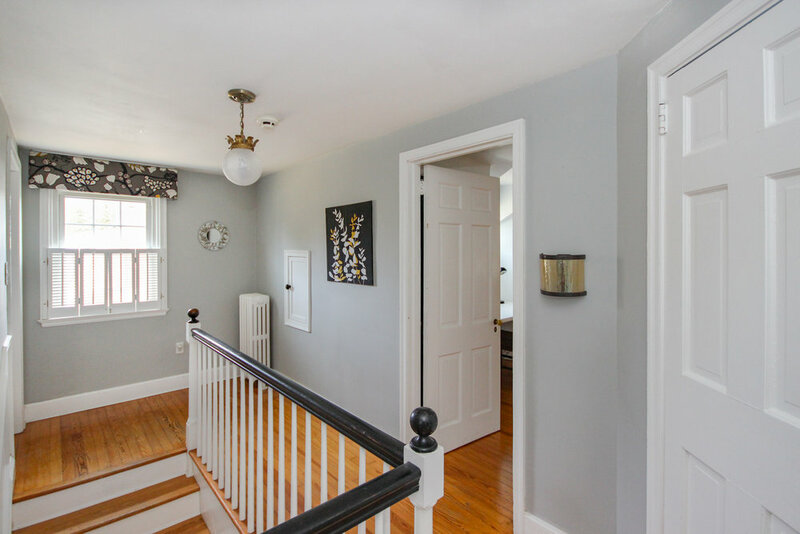 The grand entrance opens to a 2 story foyer w/ 9' ceilings, 3-piece crown molding & custom casements envelope most of the main floor, as custom lighting can be found throughout the house. 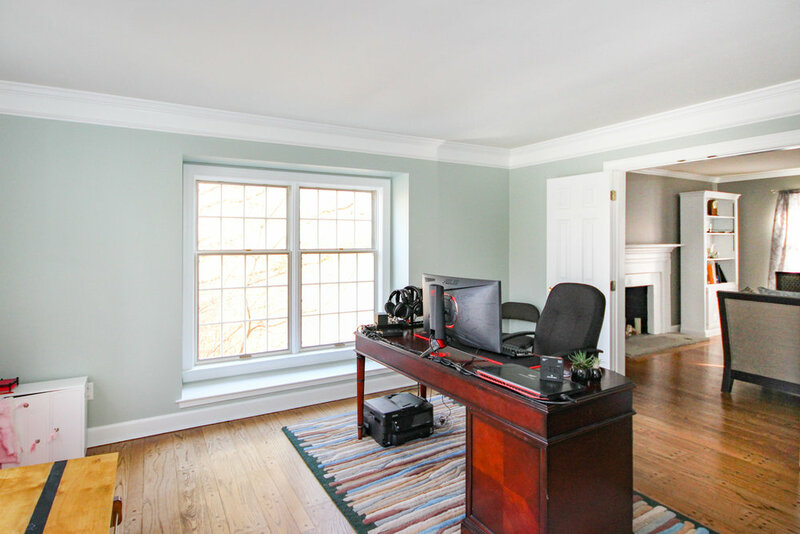 An office off the foyer with French doors creates a private area for working. 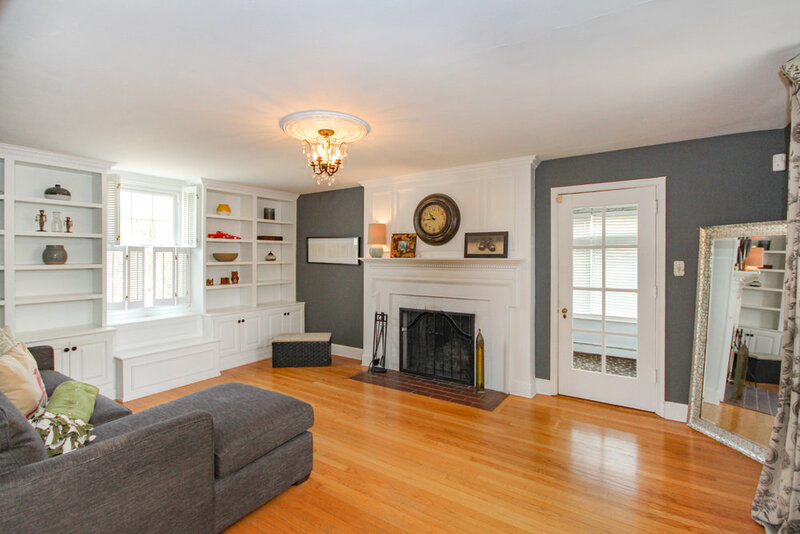 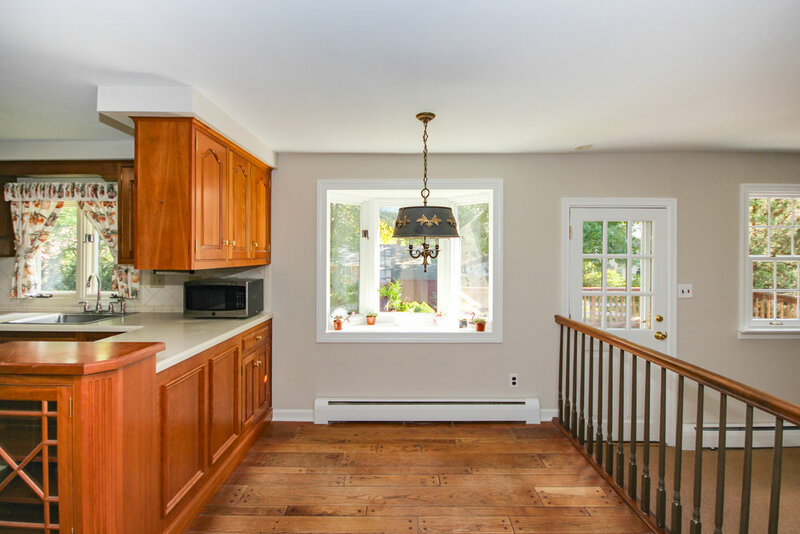 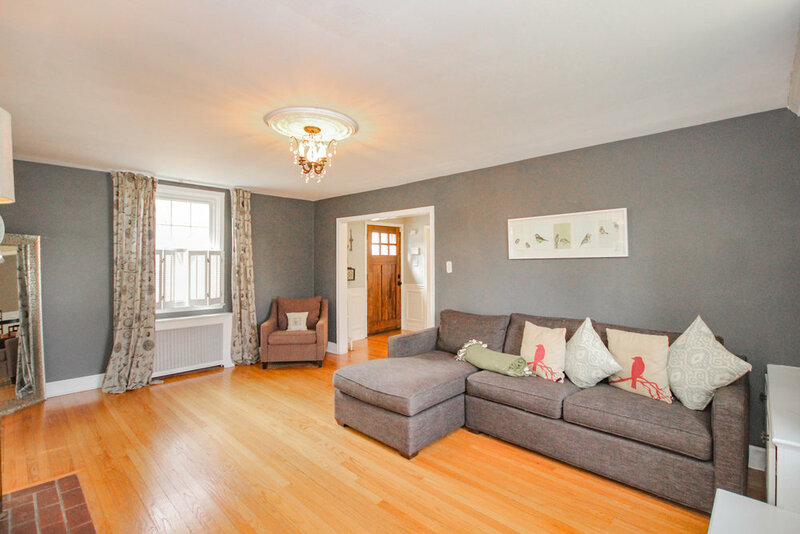 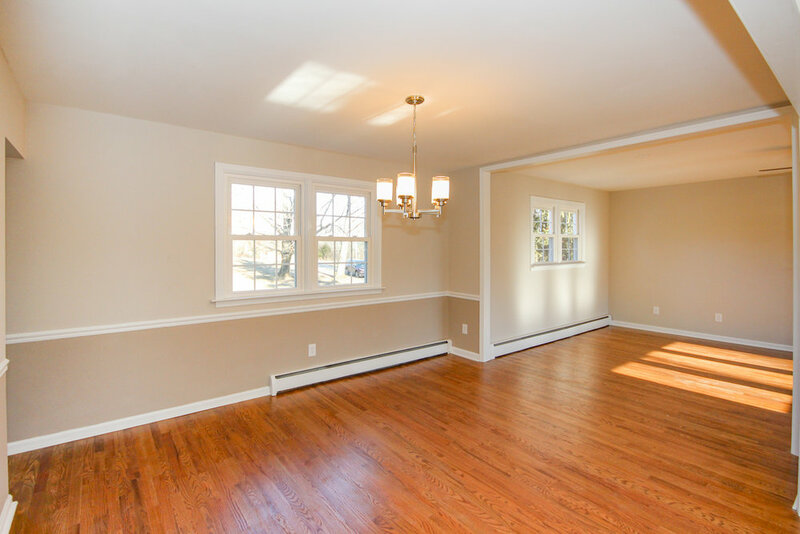 Spectacular hardwood floors stretch through almost the entire main floor. 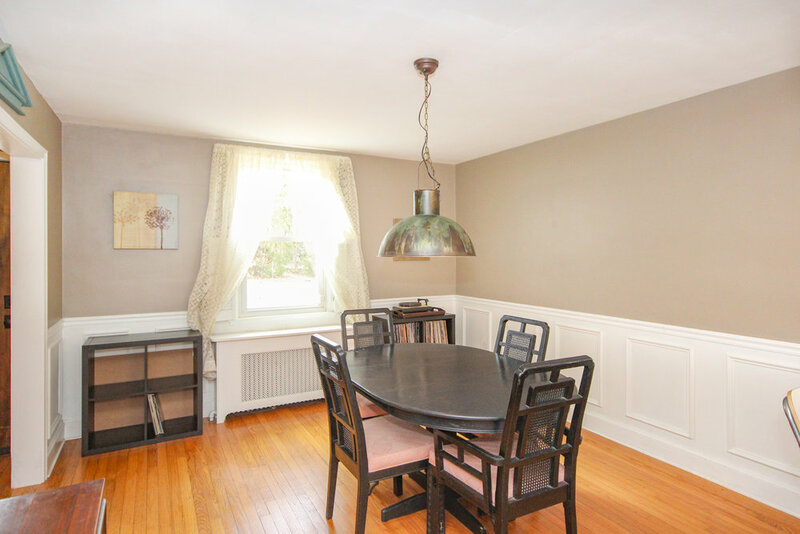 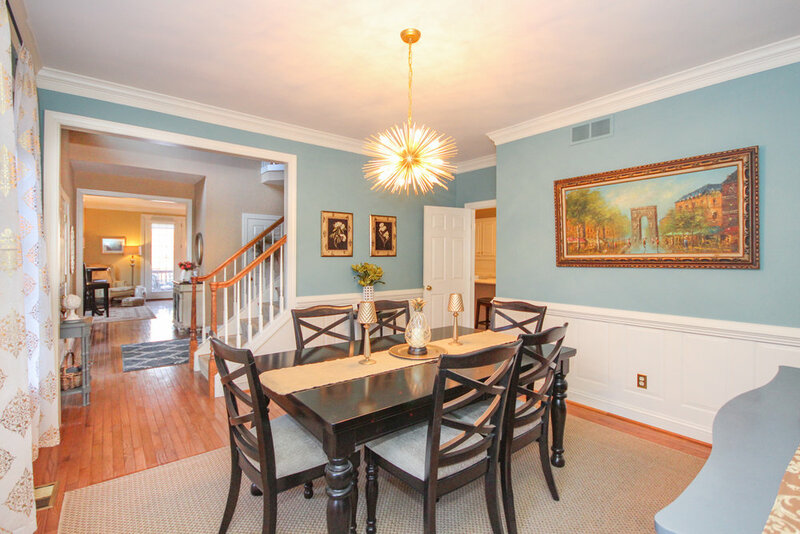 The open dining room shows beautifully w/ more custom chair rail & shadow boxing detail and a wet bar. 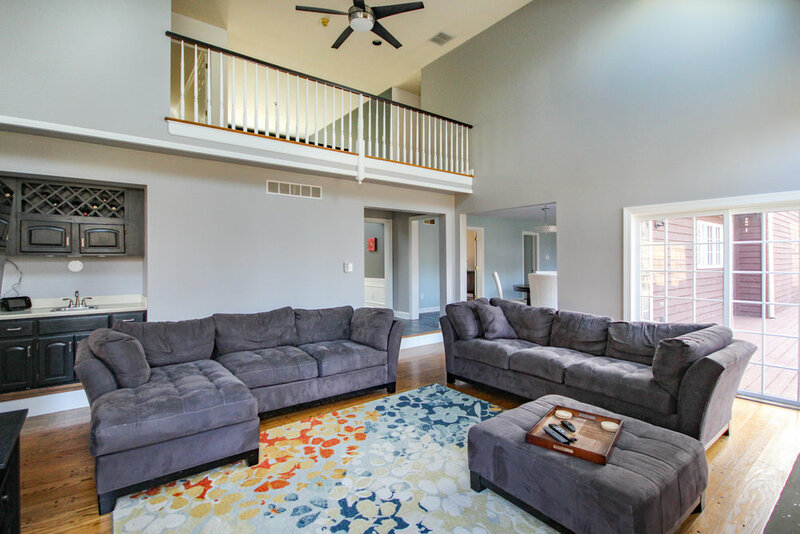 The great room sits as a focal point in the home and is highlighted by a coffered ceiling with recessed lights and a gas fireplace with custom mantel of dental molding and marble surround. 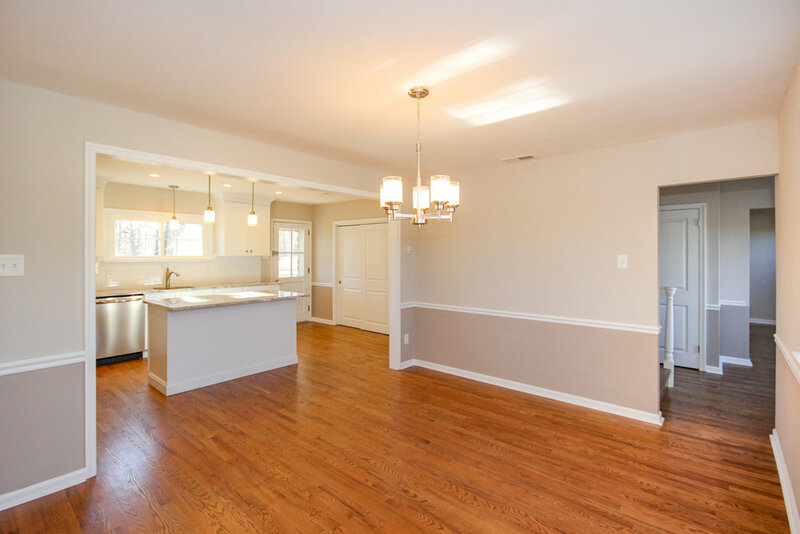 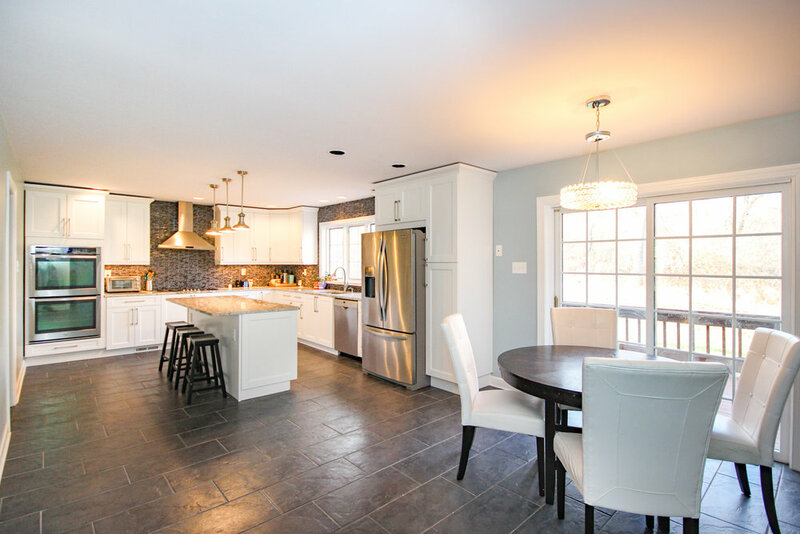 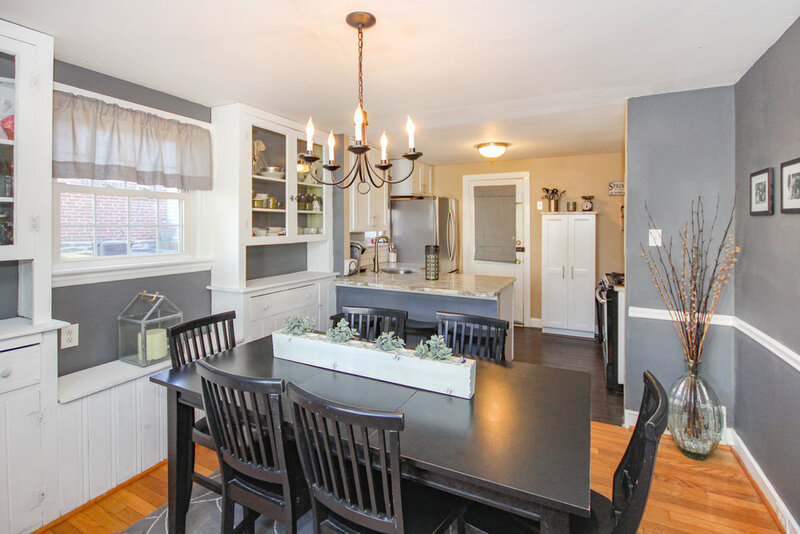 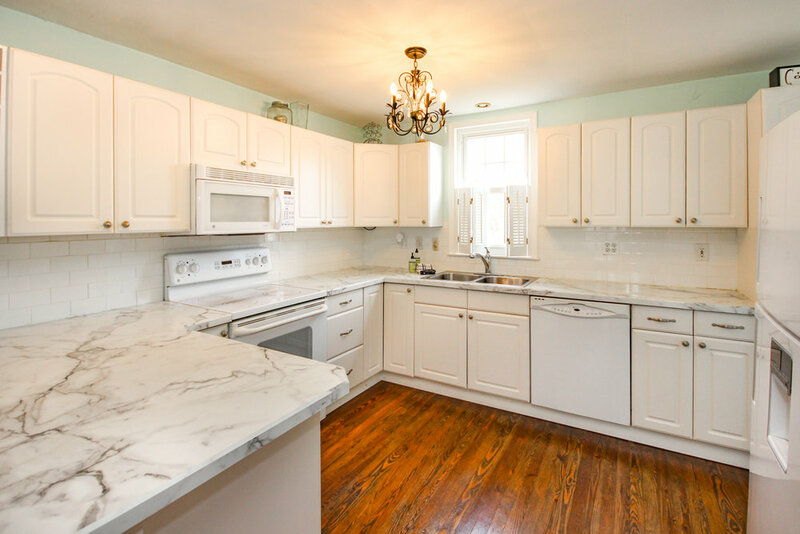 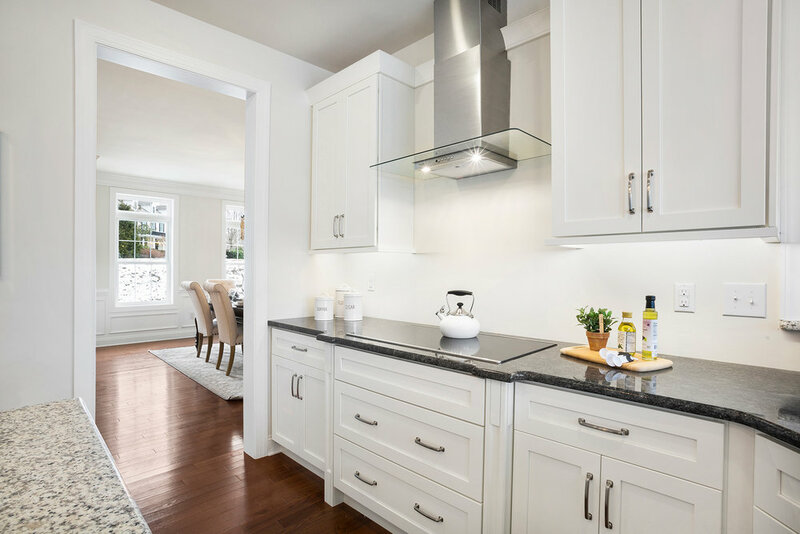 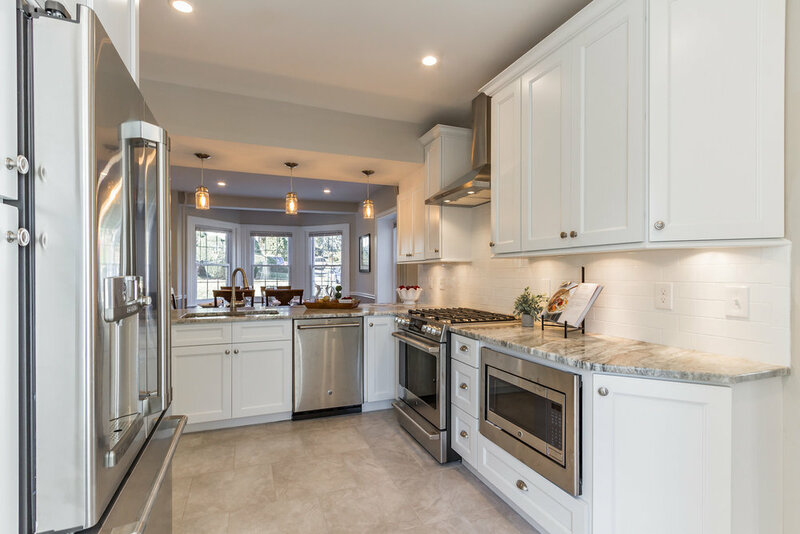 Open to the gourmet eat-in kitchen, this amazing floor plan offers plenty of space to spread out & be together at the same time. 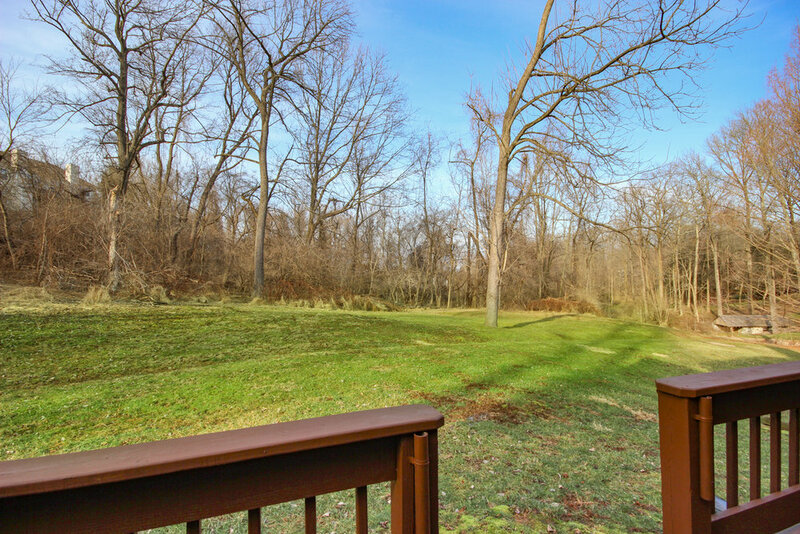 views overlooking the serene and natural view out the back of the house. 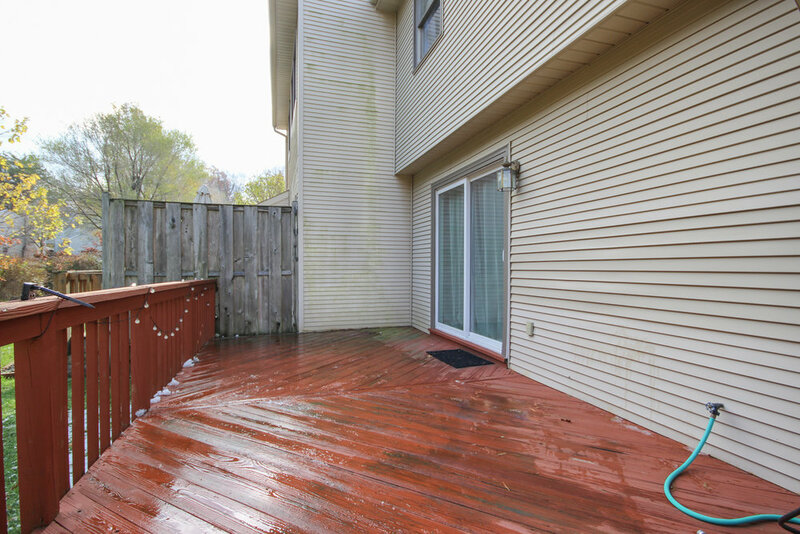 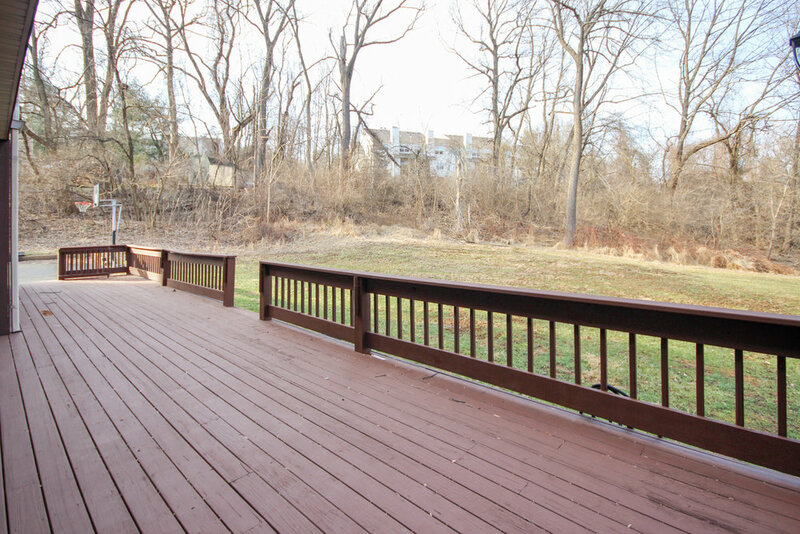 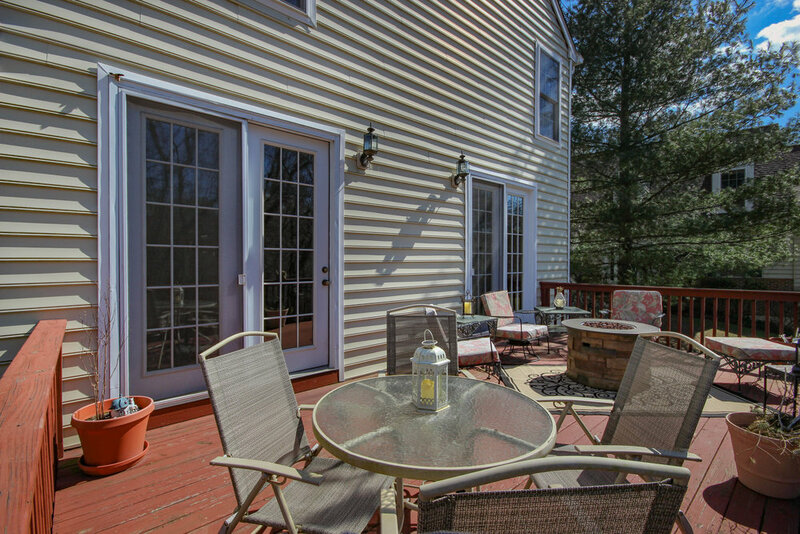 A Trex deck sits off this space allowing for quiet mornings sipping coffee or outdoor entertaining at its best. 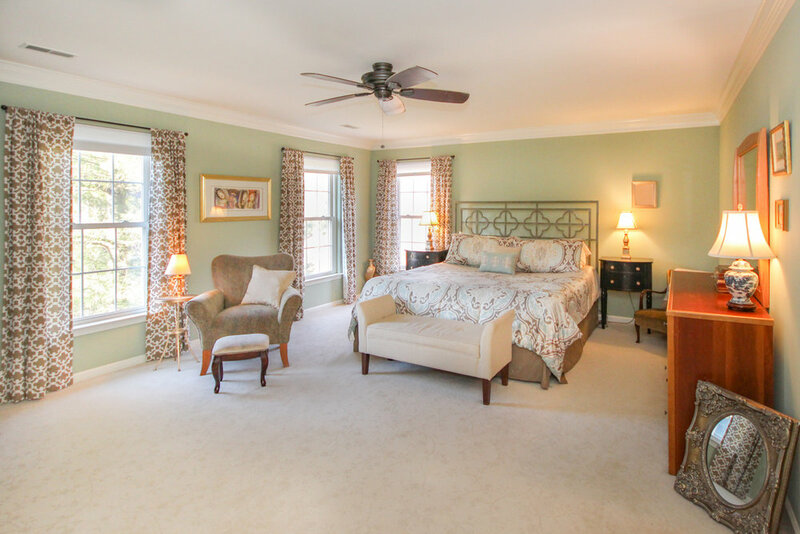 The expansive main floor master suite is luxurious. 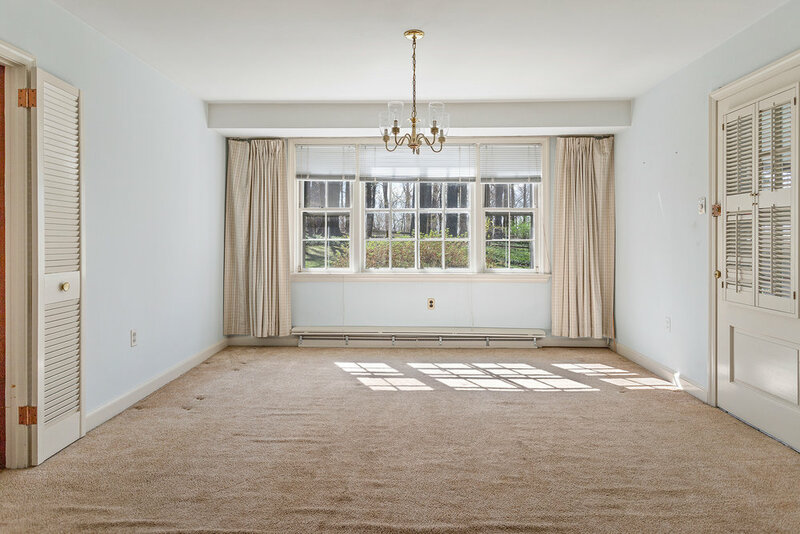 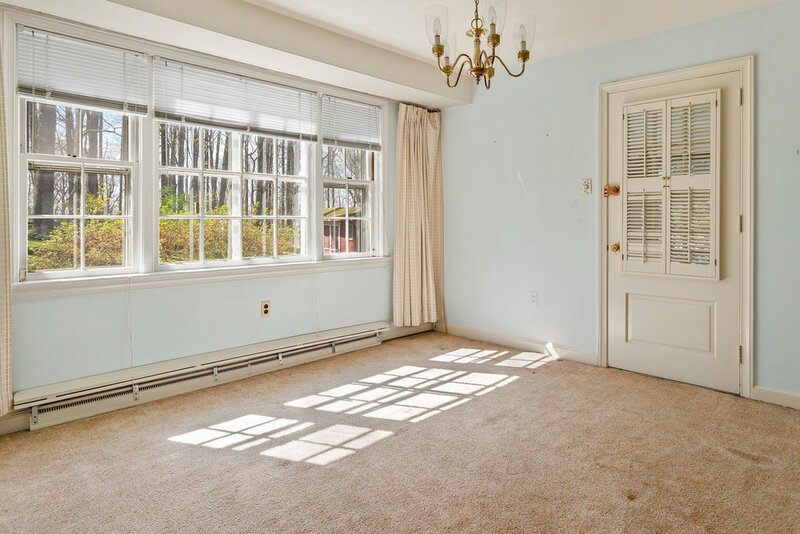 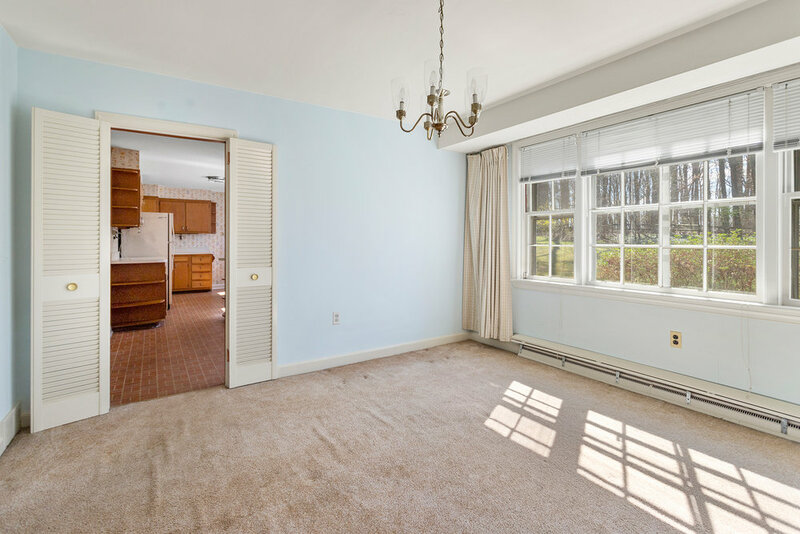 From the soft carpet, to the elegant light fixture & large windows soaking the room in natural sunlight, it is a spectacular master BR. 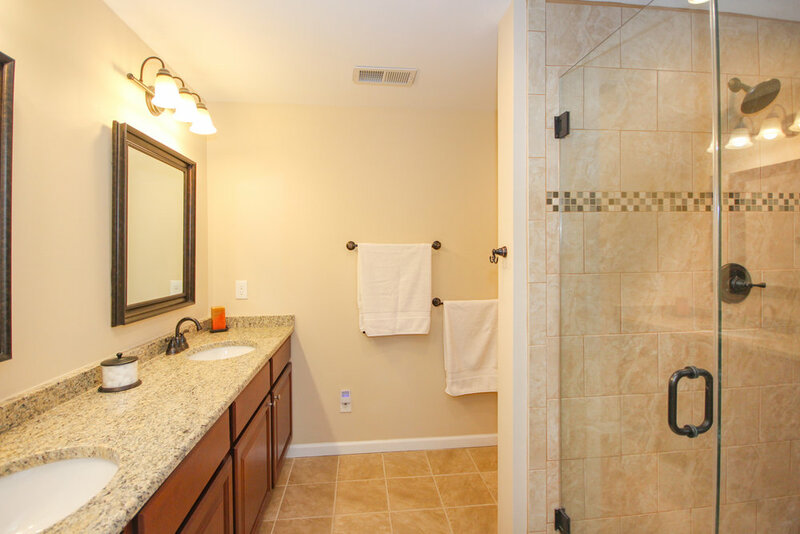 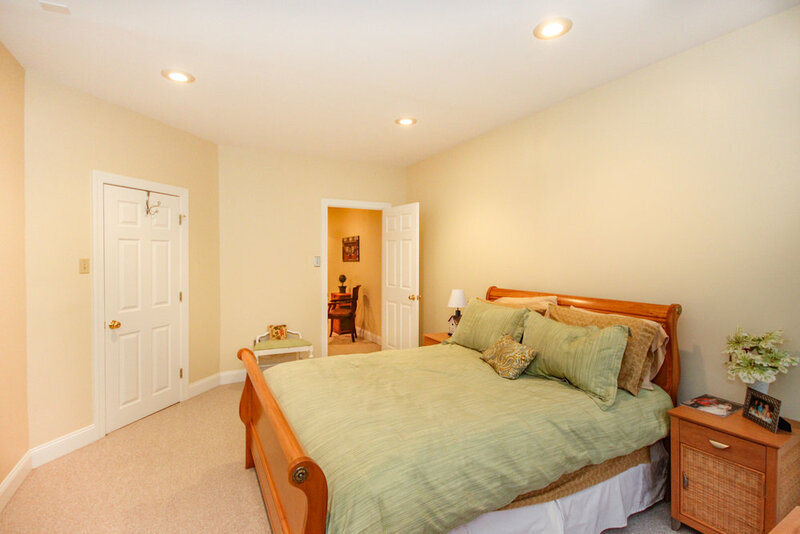 Pass 2 huge walk ins and a linen closet as you make your way to the master bath. 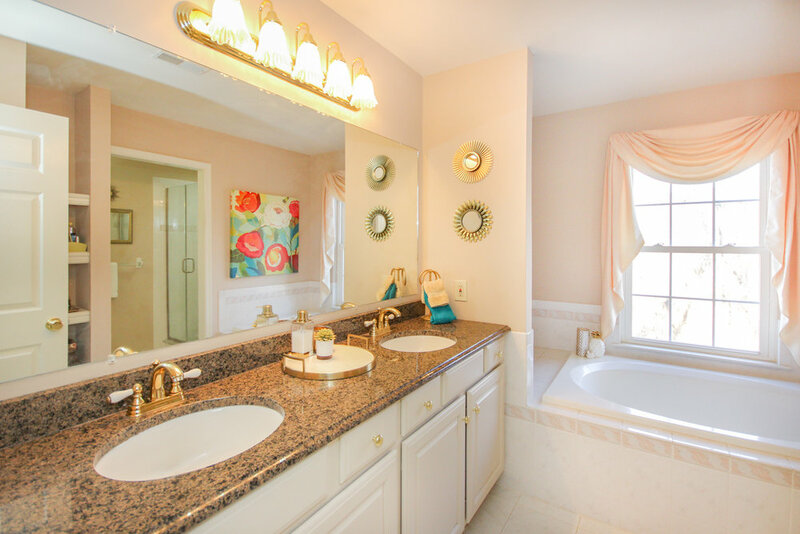 An oasis waiting for you, this bathroom includes a designer soaking tub, granite double vanity and tile shower w/ glass surround. 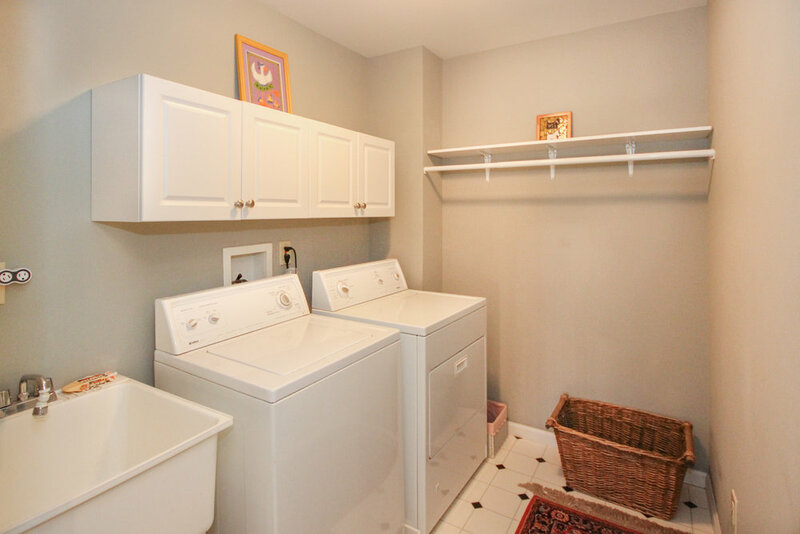 Two powder rooms, access to both the basement and 3 car garage and main floor laundry room with deep sink complete this level. 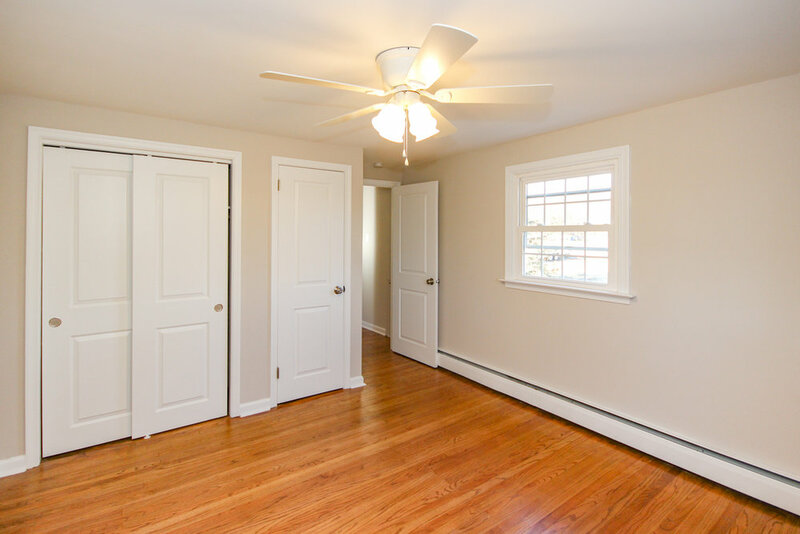 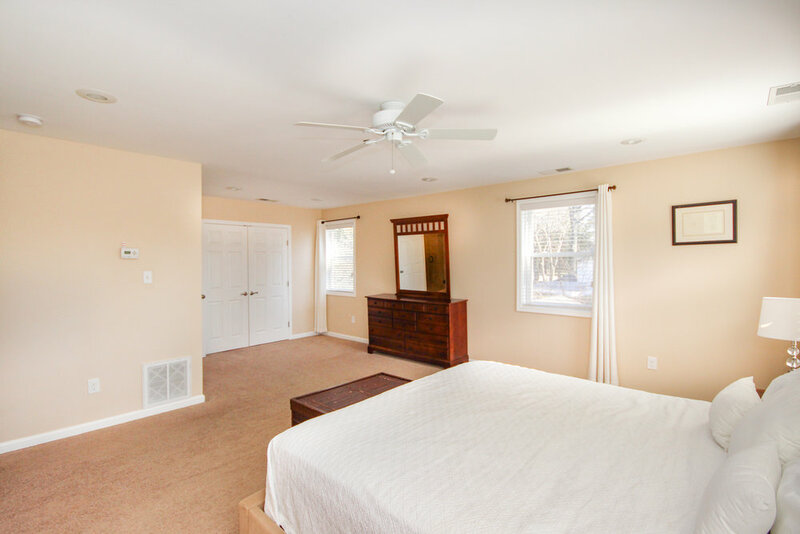 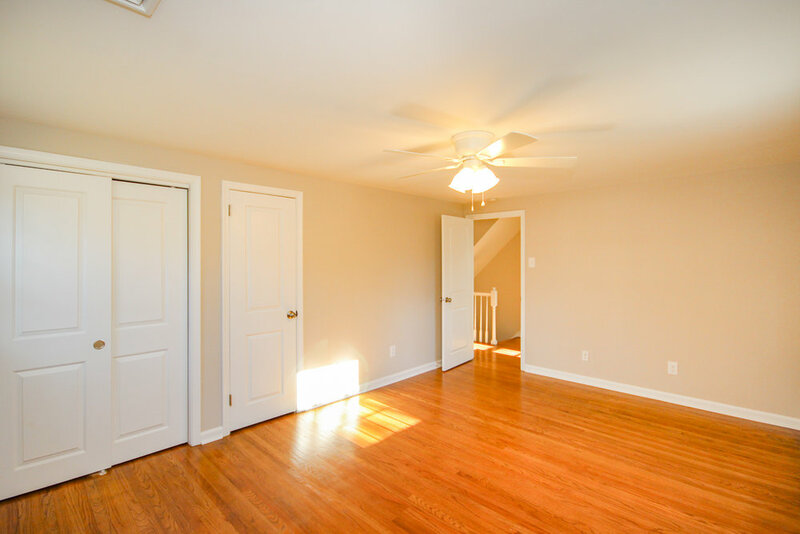 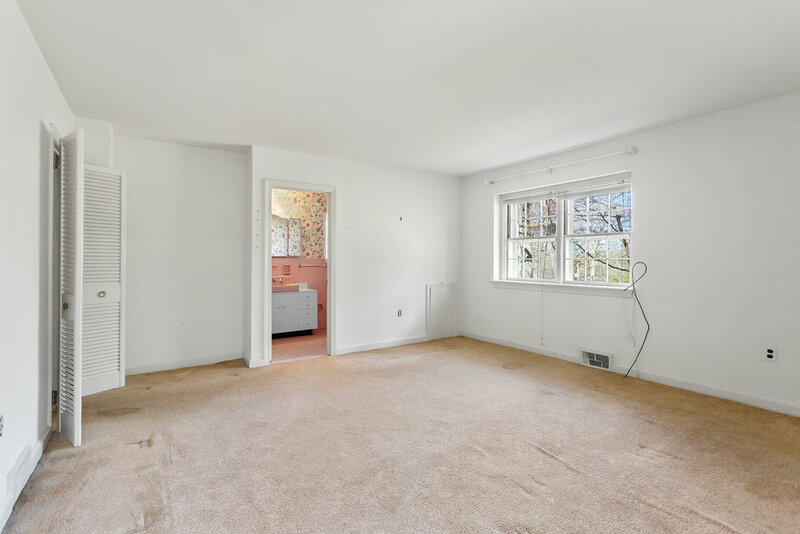 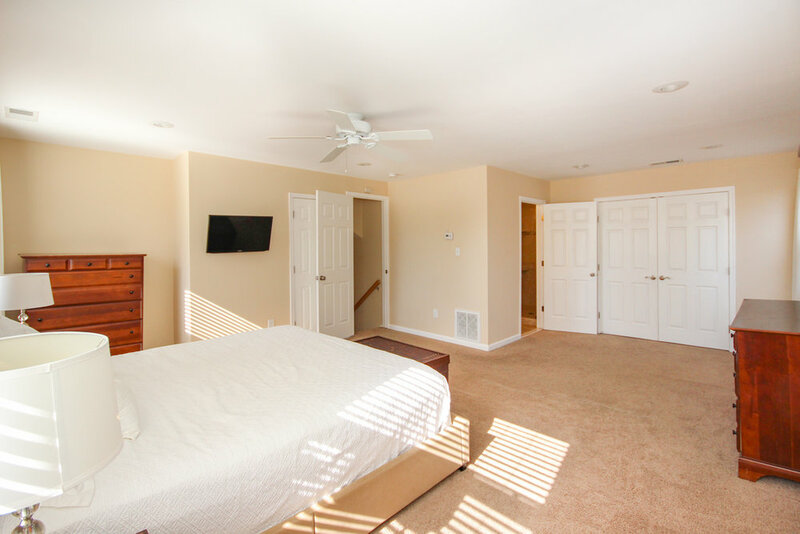 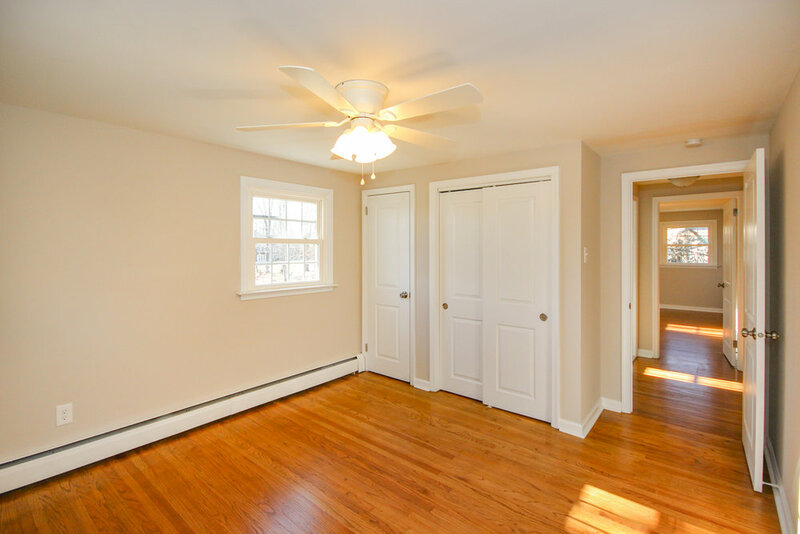 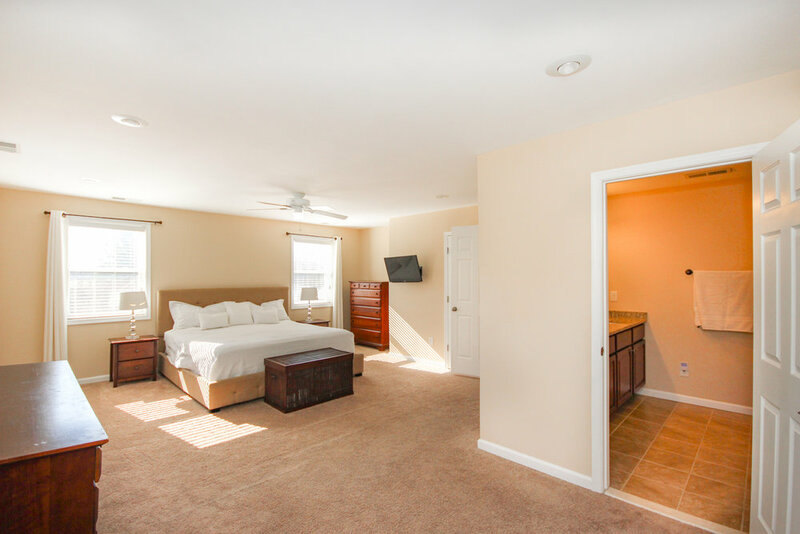 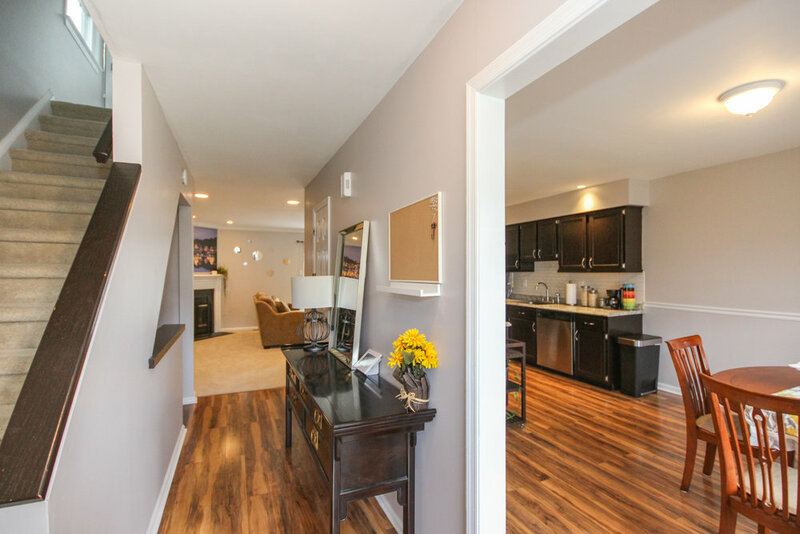 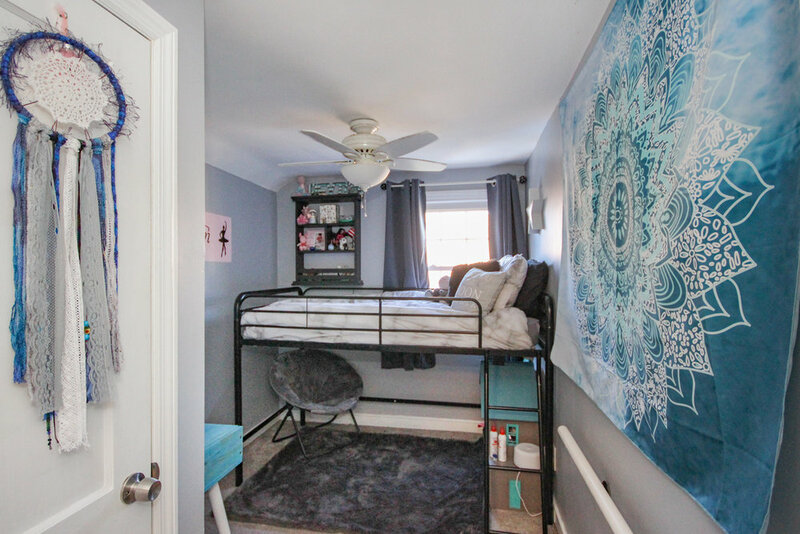 Upstairs you will find 4 more BRs filled with natural light, each w/ wall to wall carpet and spacious walk in closets and two full baths, including a Jack & Jill between two of the bedrooms. 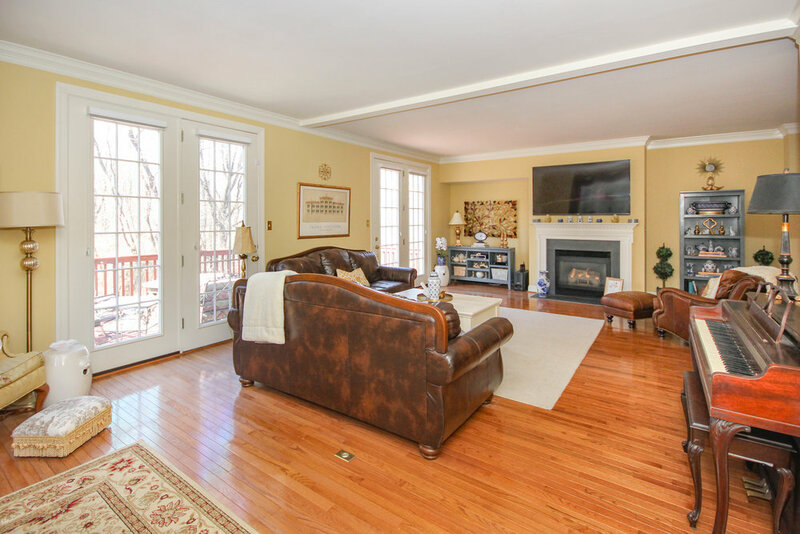 This floor also boasts a large entertainment room with outstanding views out the rear and front of the house. 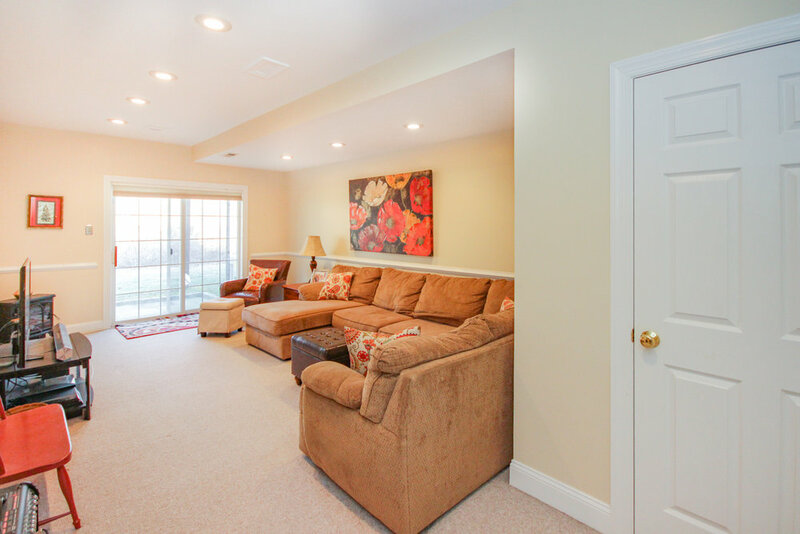 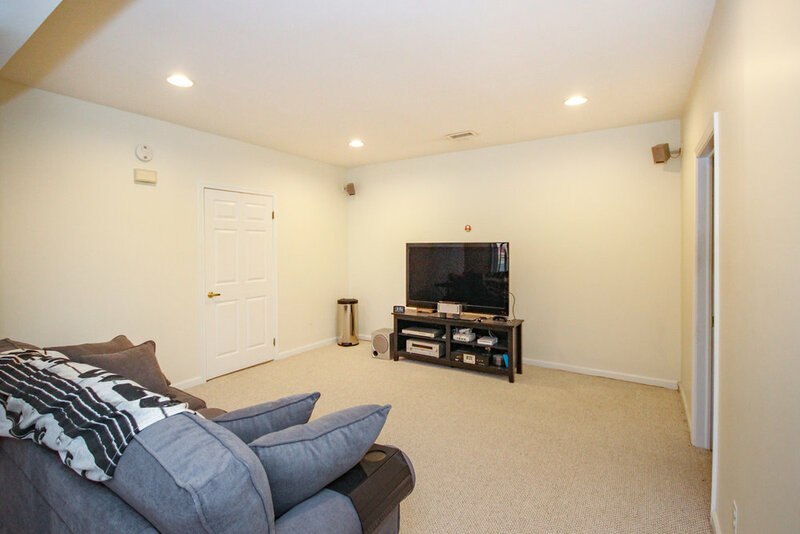 Recessed lighting, a modern light fixture and a storage closet make this a true bonus room. 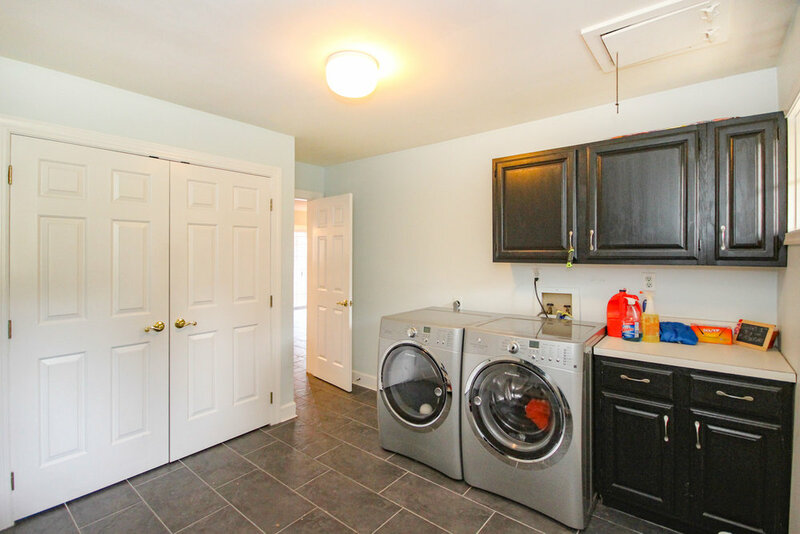 There is a second floor laundry room and a bonus nook on this floor perfect for school work or just a place to relax. 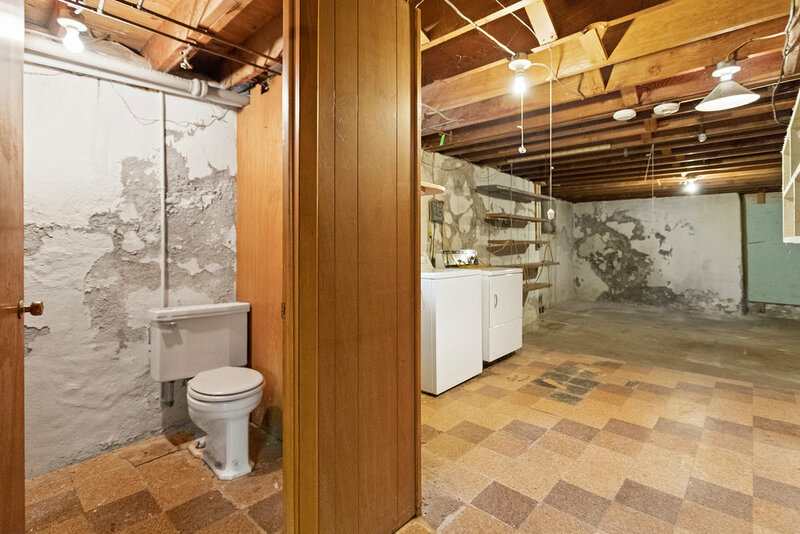 The enormous unfinished daylight walkout basement has a ton of potential creating more additional living space and/or storage and is already roughed in for a future bathroom. 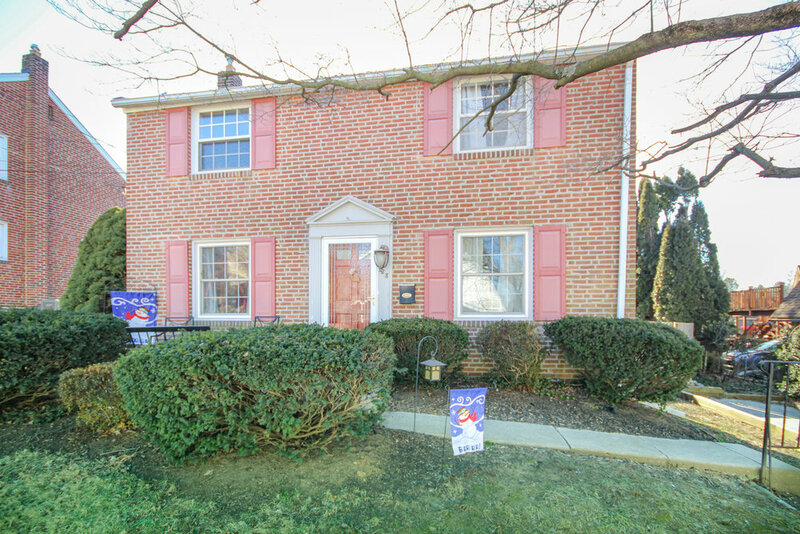 Located in highly sought after Rose Tree Media school district. 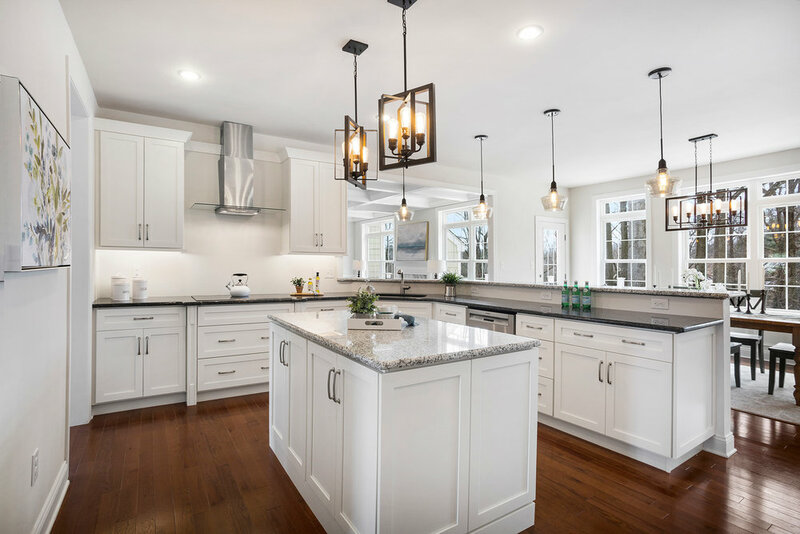 Minutes from downtown Media, new shops and restaurants of the brand new Promenade at Granite Run, Rocky Run YMCA and Tyler Arboretum. 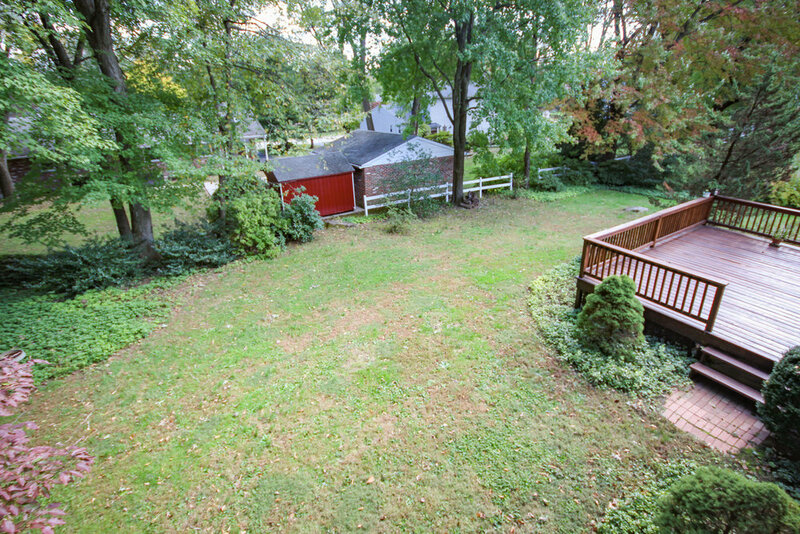 Less than 30 minutes to the city of Philadelphia and Wilmington, DE. 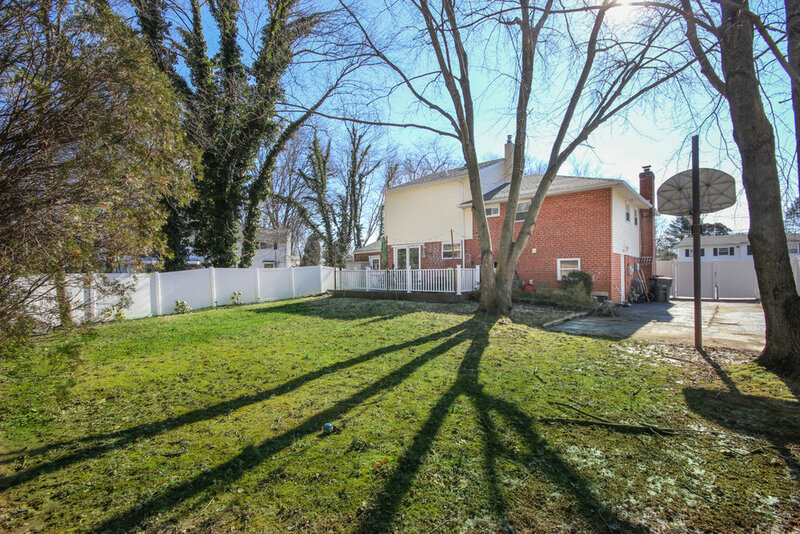 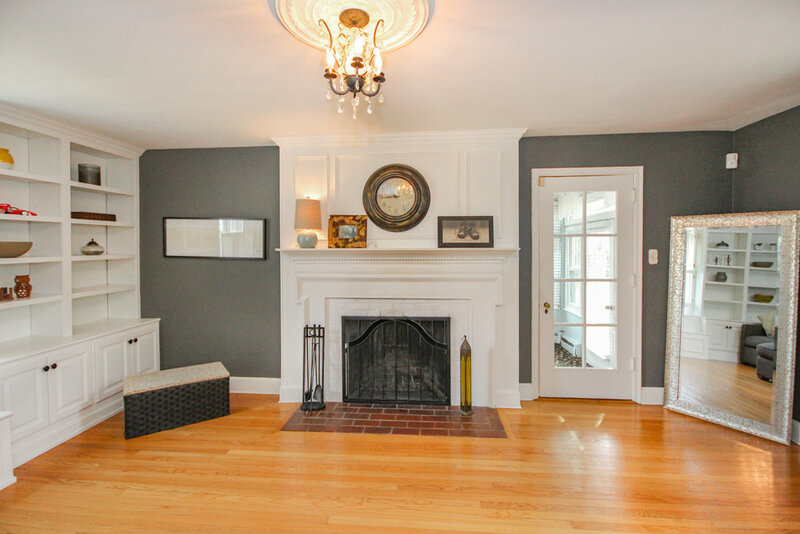 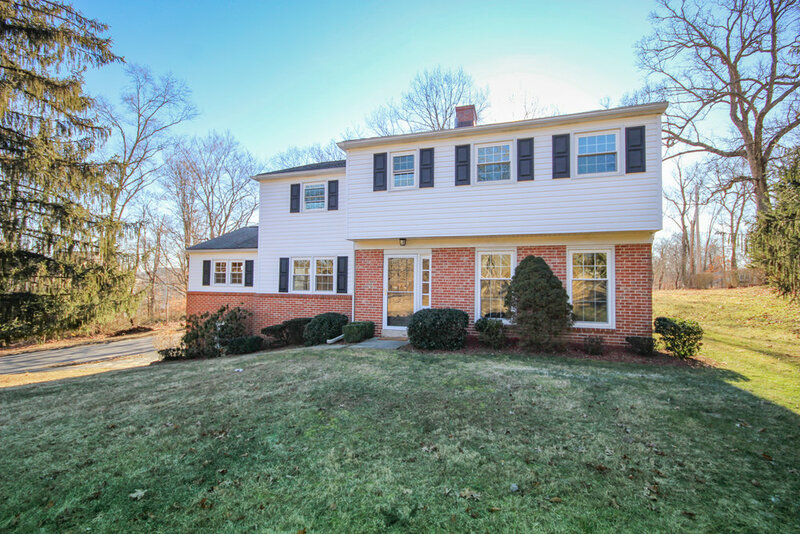 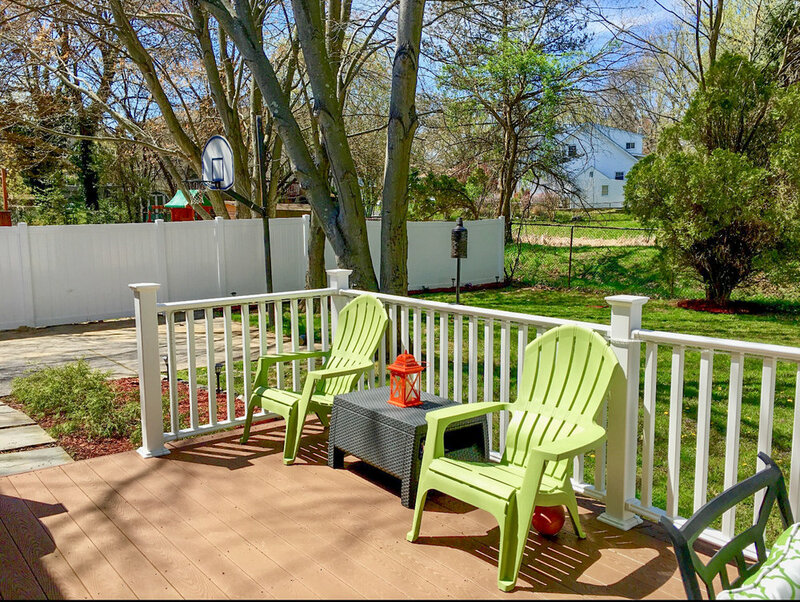 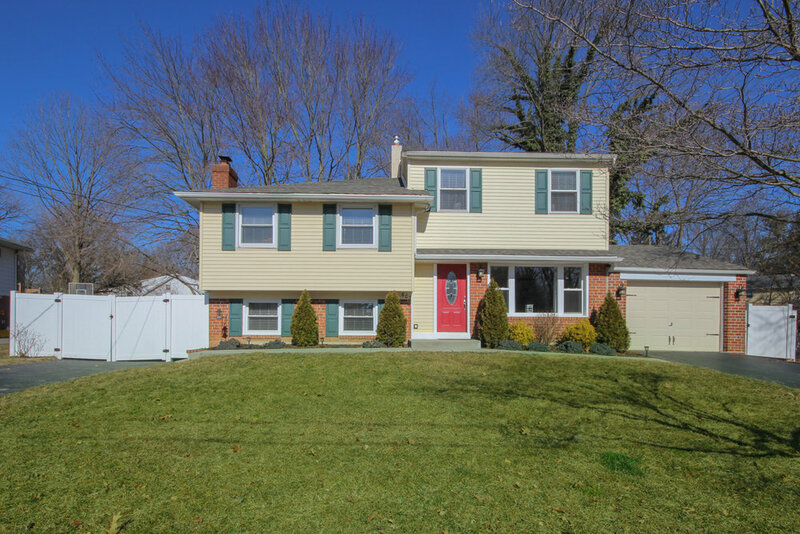 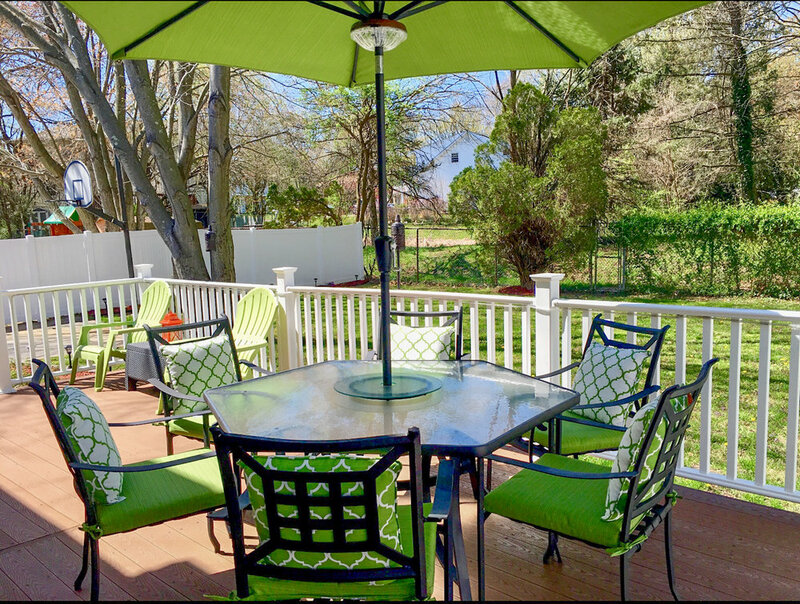 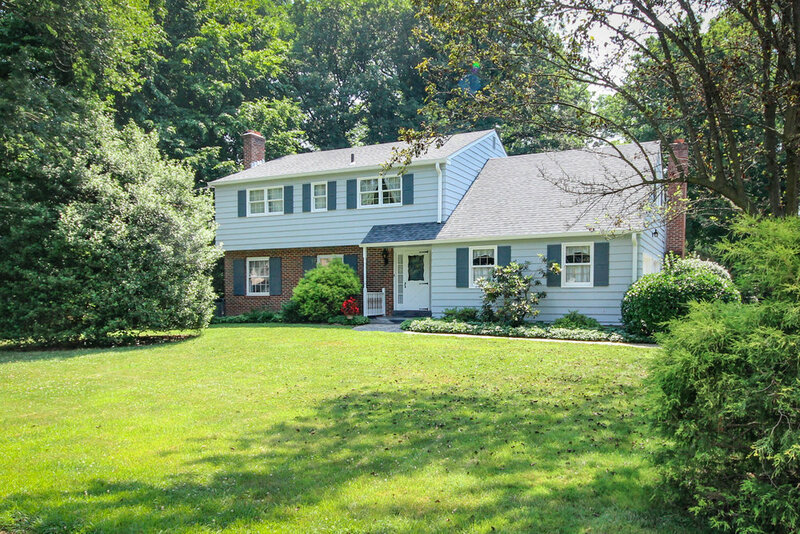 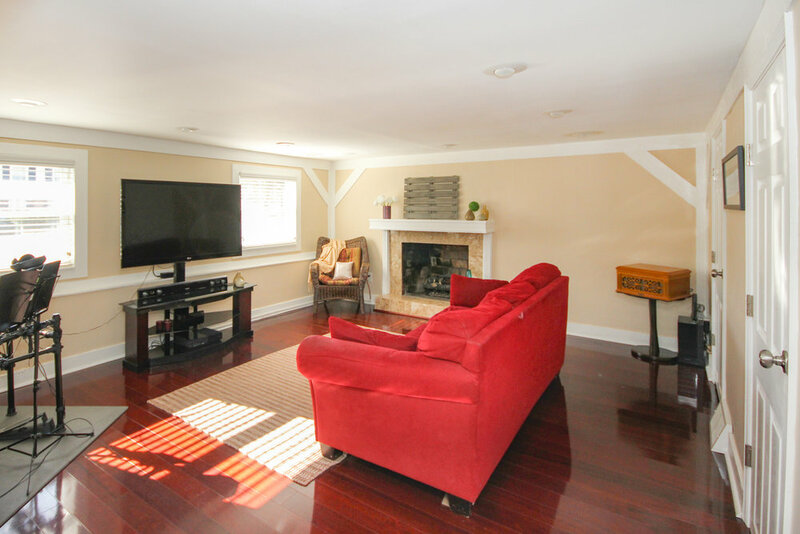 Sitting on an expanded lot in the Colonial Park neighborhood of Springfield, 128 School Lane features off street parking and an amazing yard. 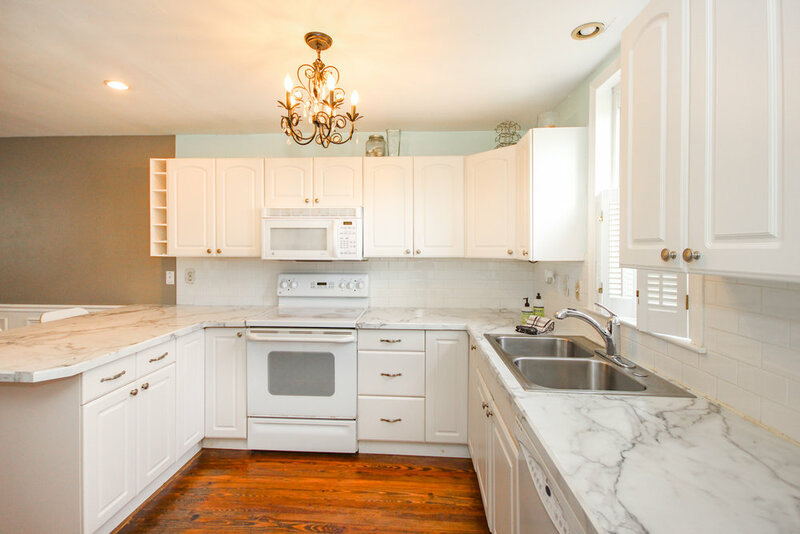 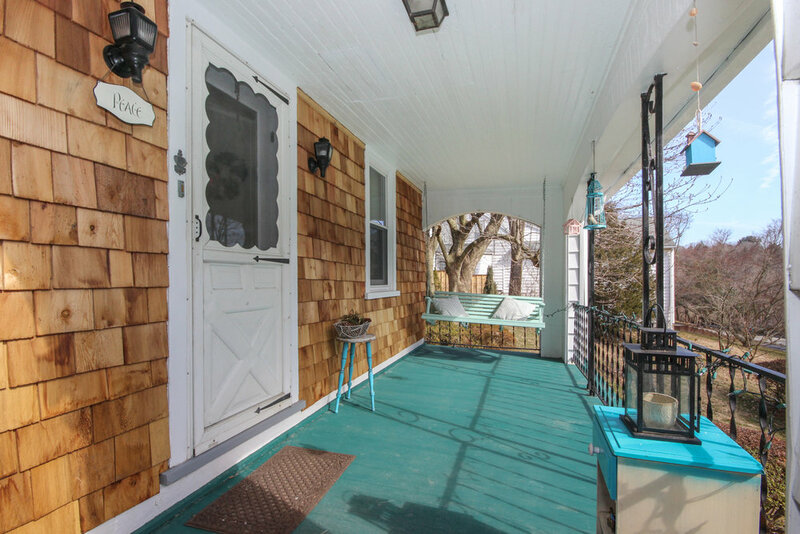 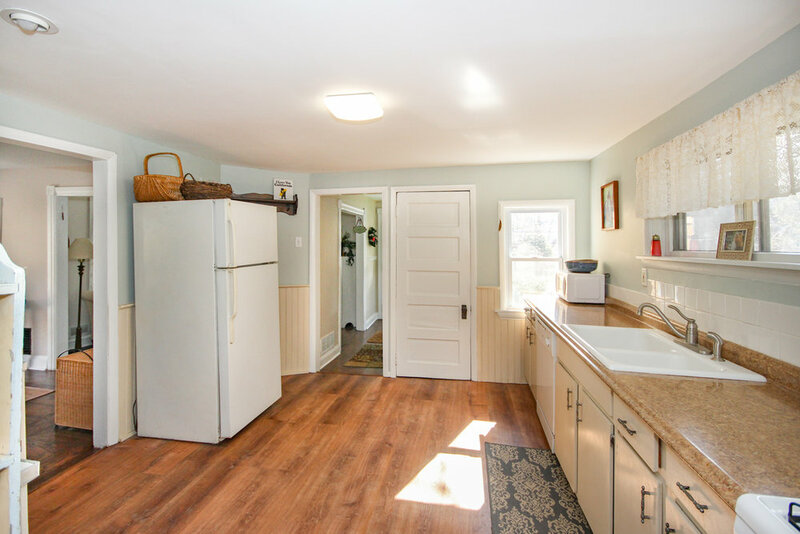 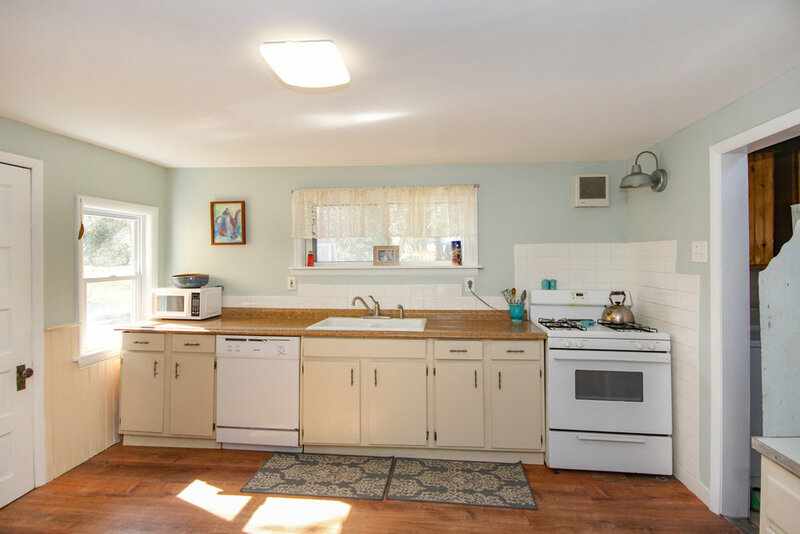 This home has it all, including updated roof, updated kitchen, newer bathroom and extra living space in the basement. 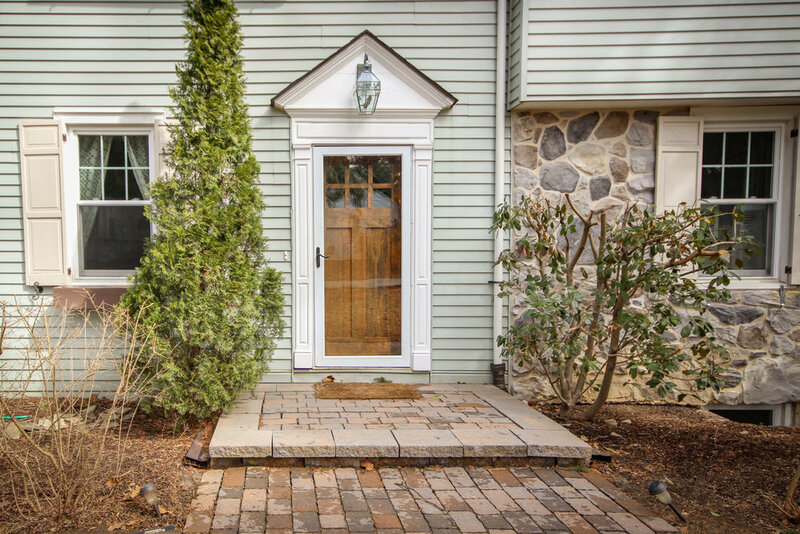 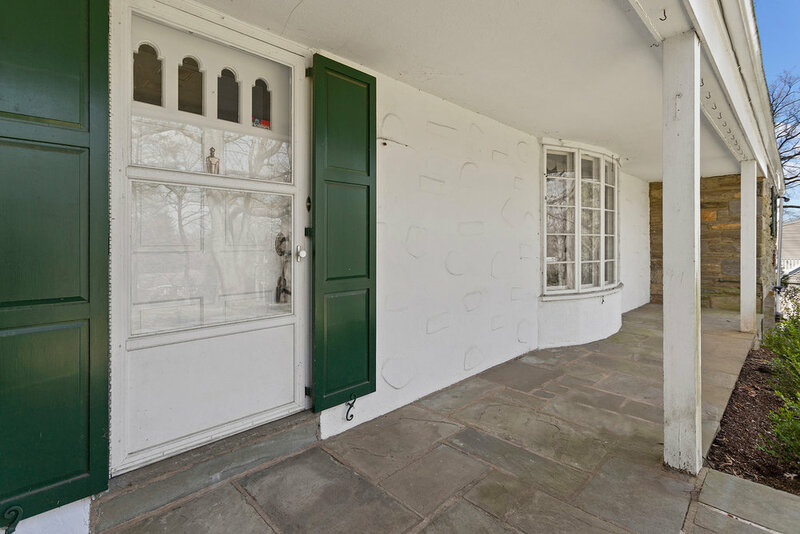 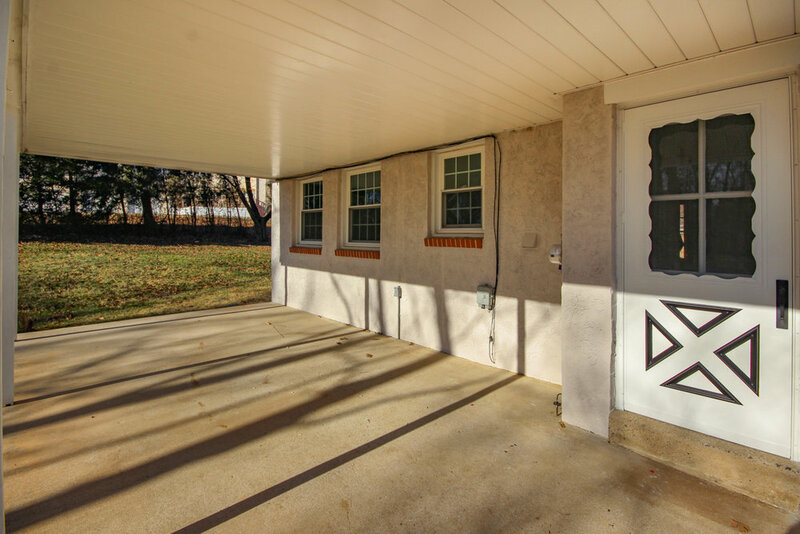 A concrete patio sits at the entrance to this home which opens into the large living room. 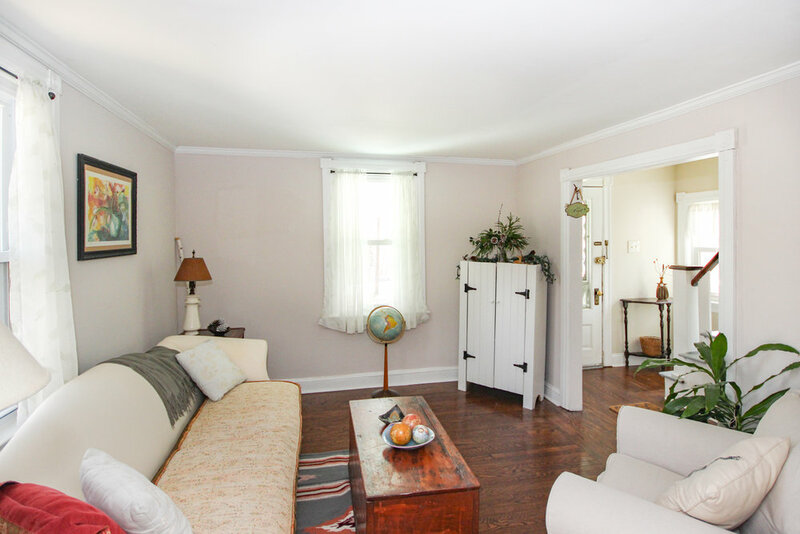 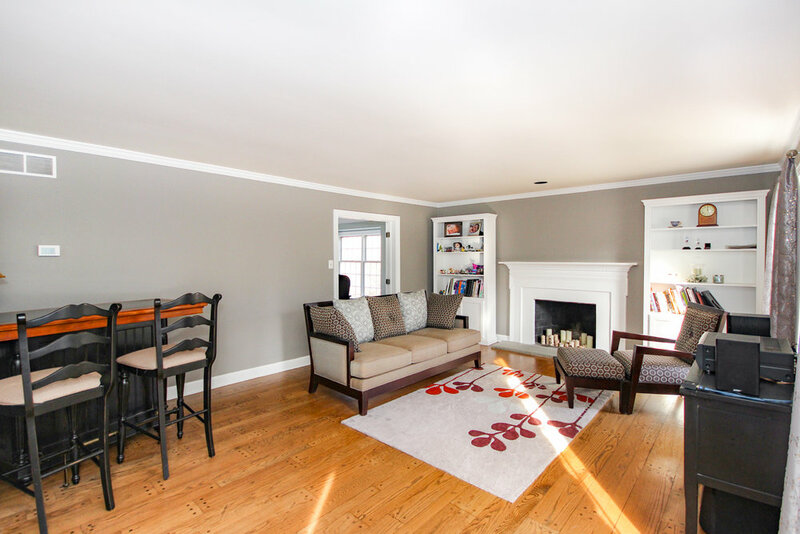 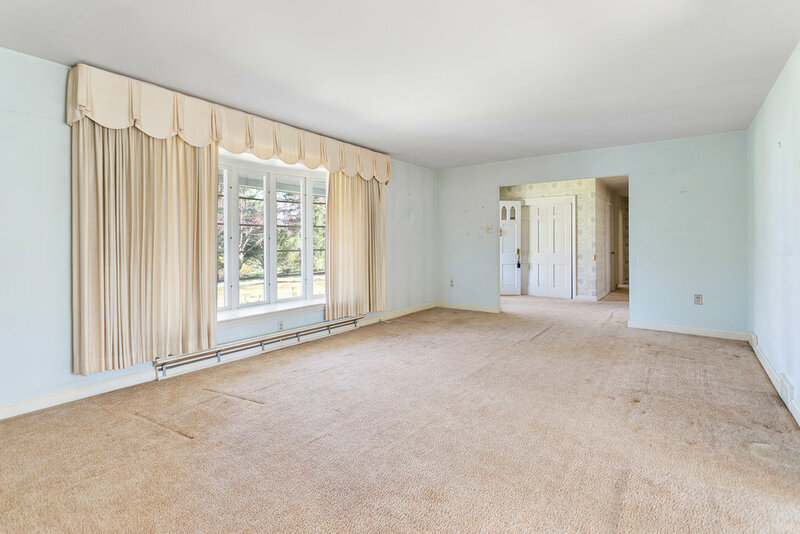 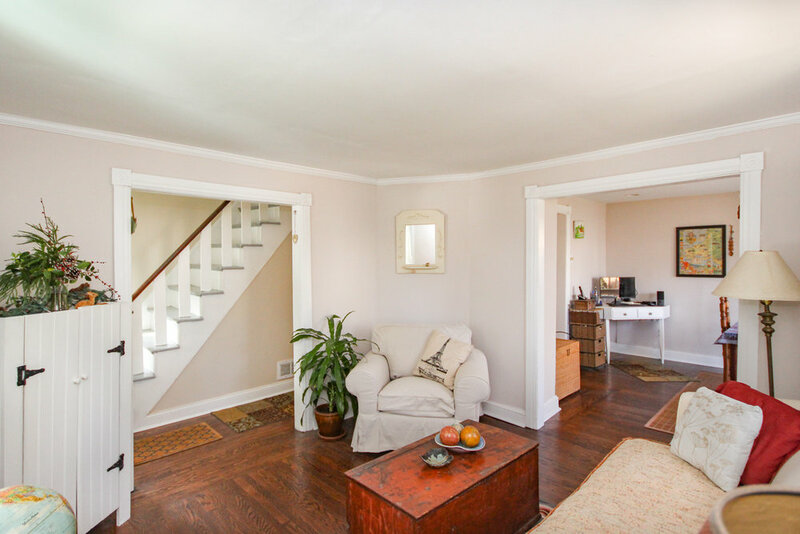 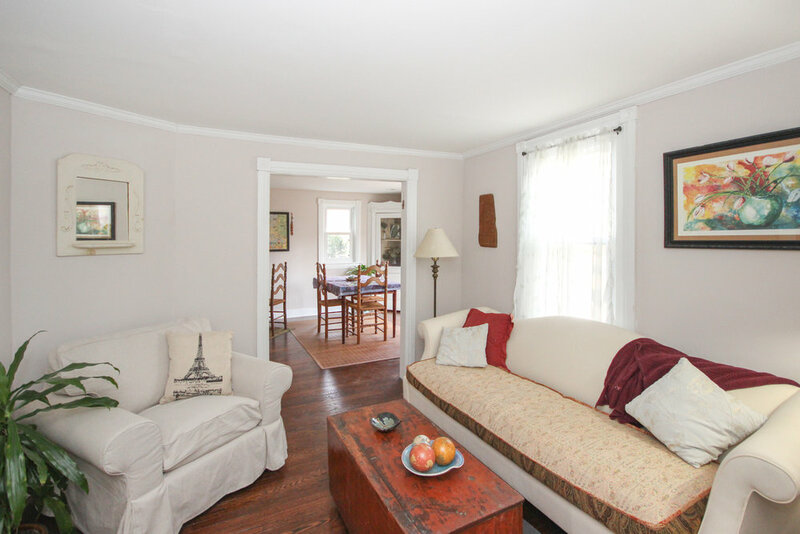 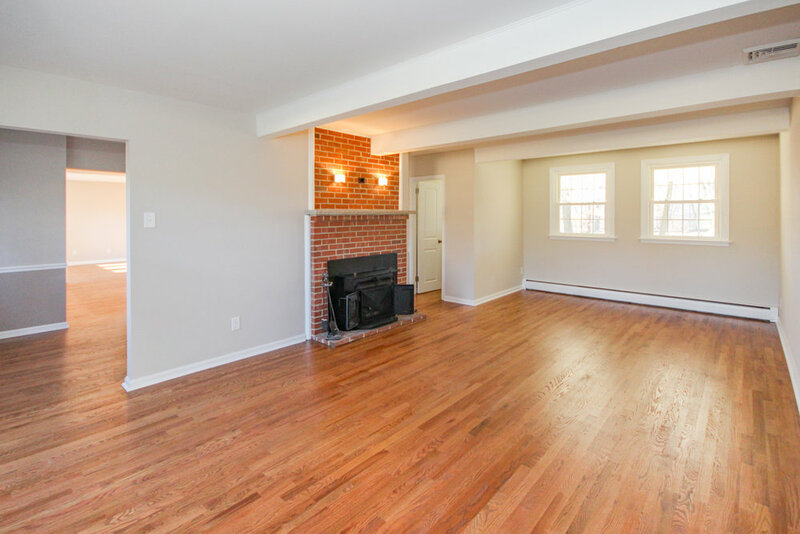 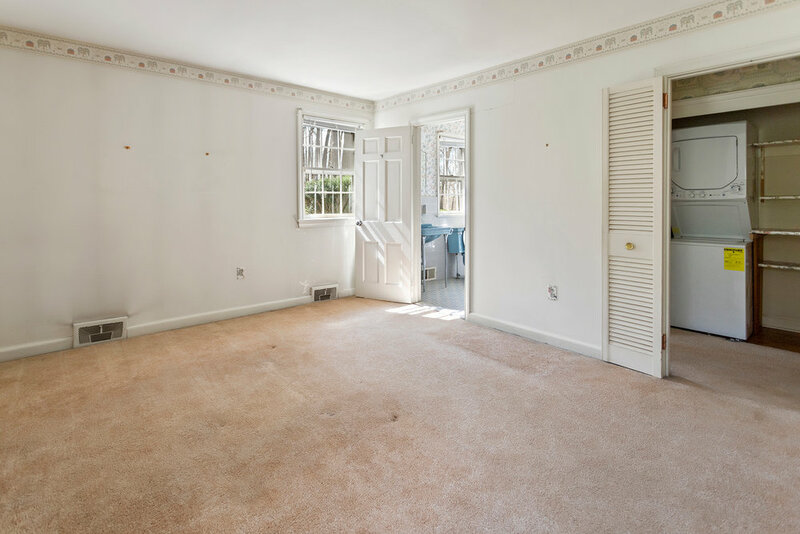 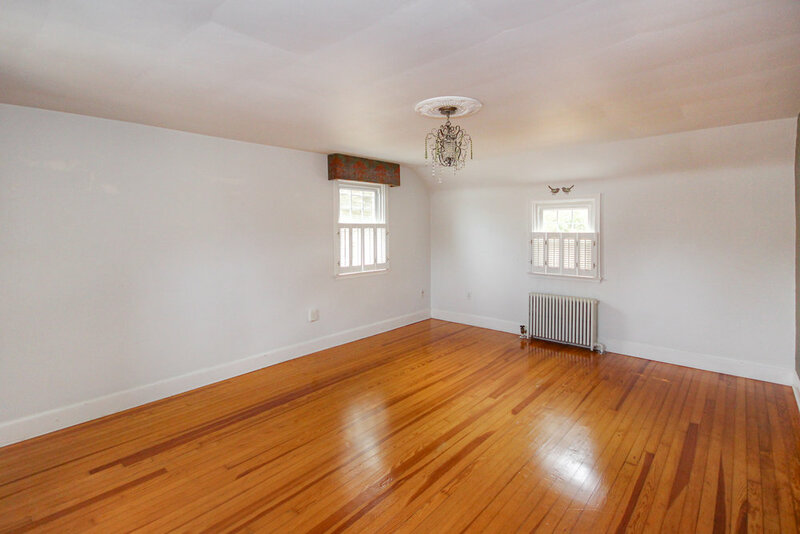 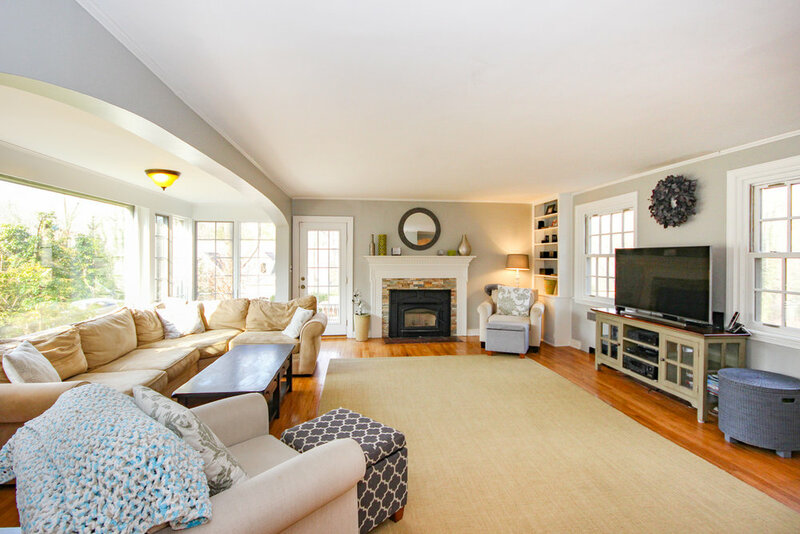 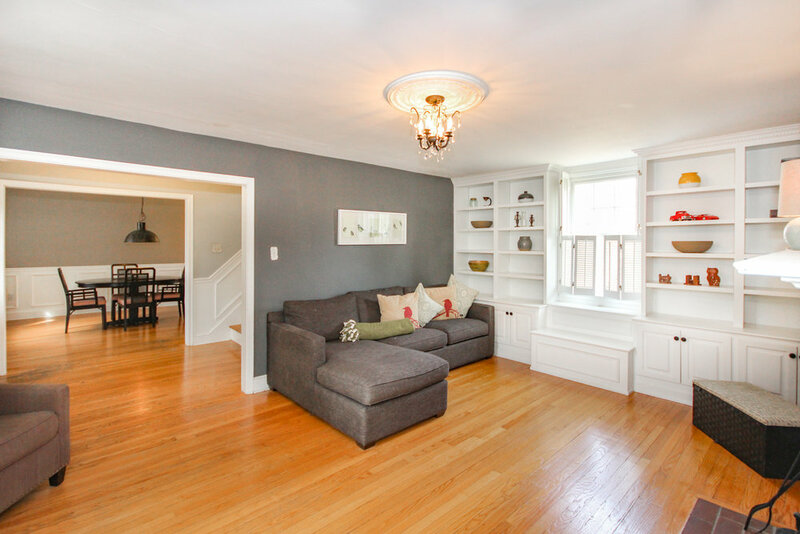 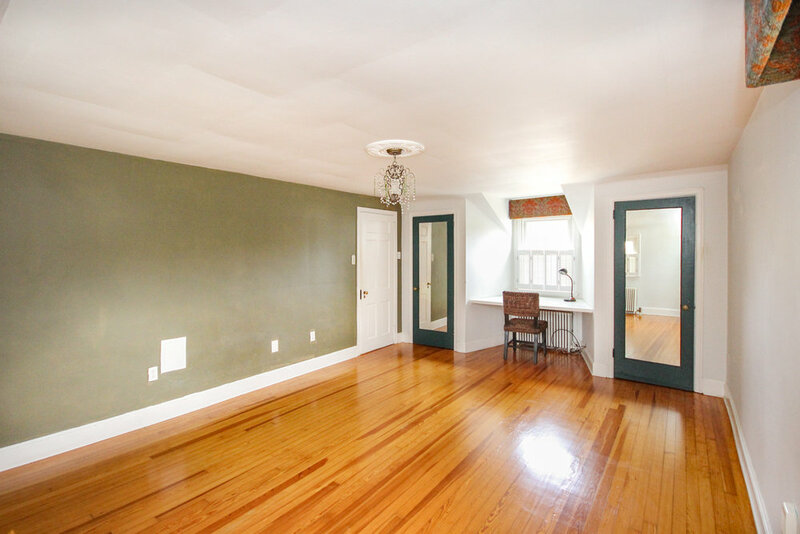 Living room has character with arched doorways, hardwood flooring that continues throughout the home and a useful coat closet. 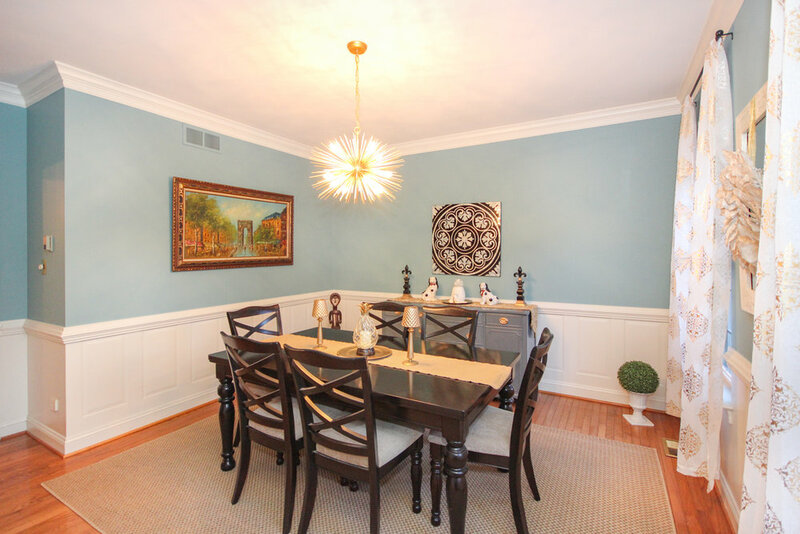 Dining room is full of unique flare with built-in cabinet display shelves and storage. 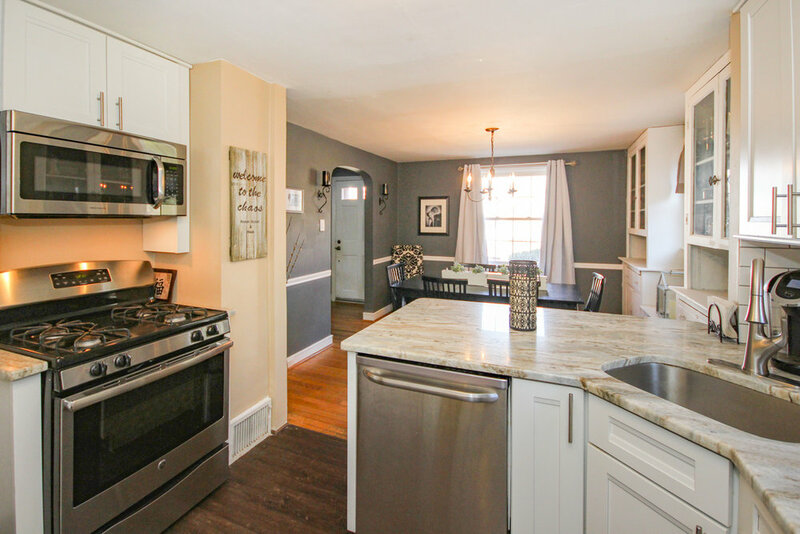 This room sits open to the fully updated kitchen with stainless steel sink and appliances, white shaker cabinets and gorgeous granite counter with breakfast bar. 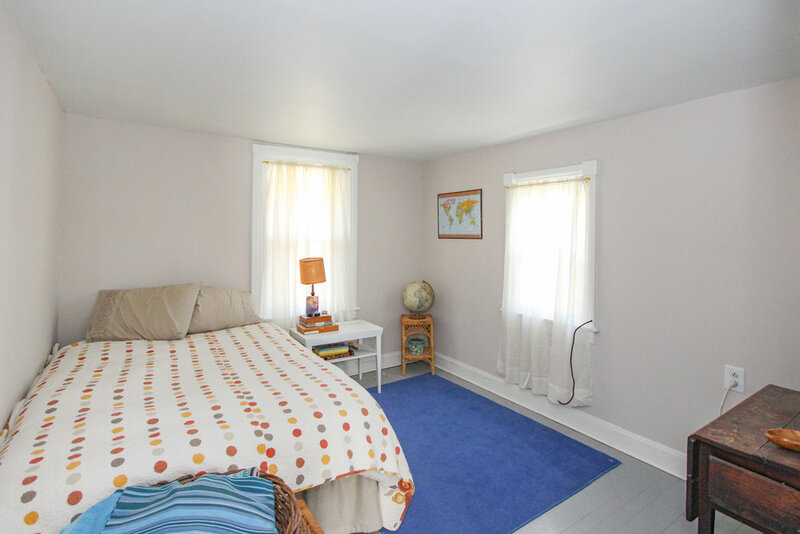 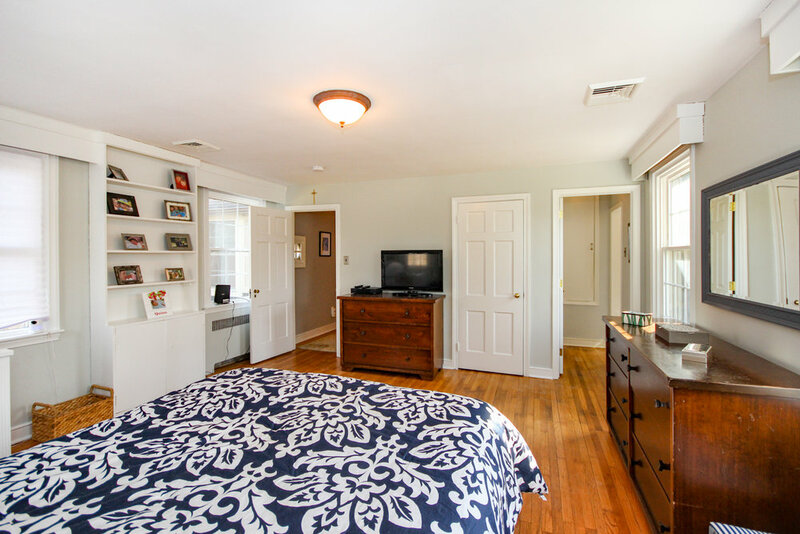 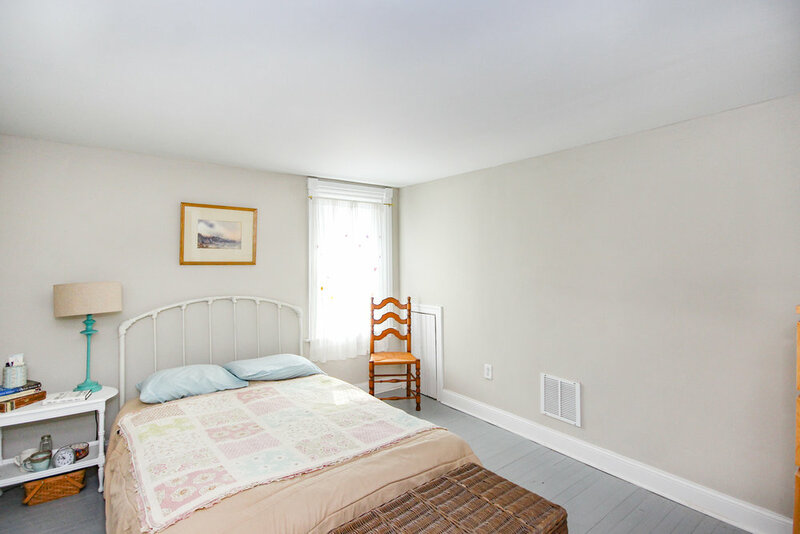 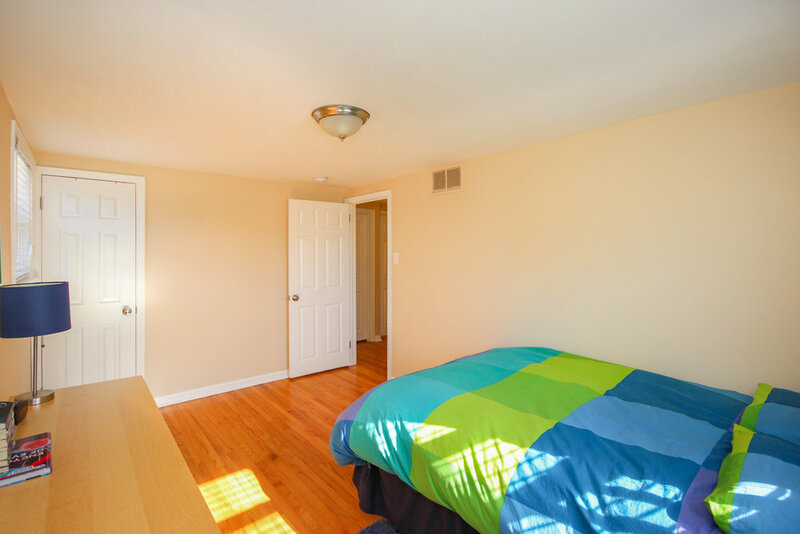 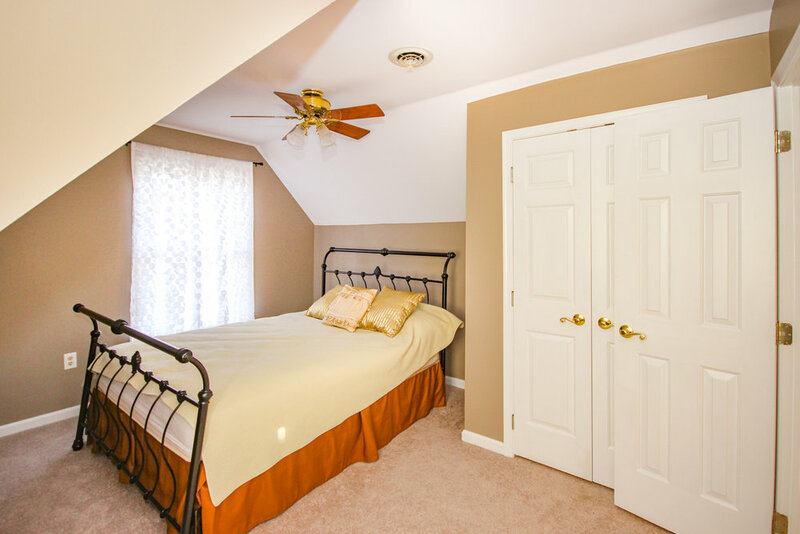 Upstairs has three nice sized bedrooms all with wall-to-wall carpeting and lighted ceiling fans. 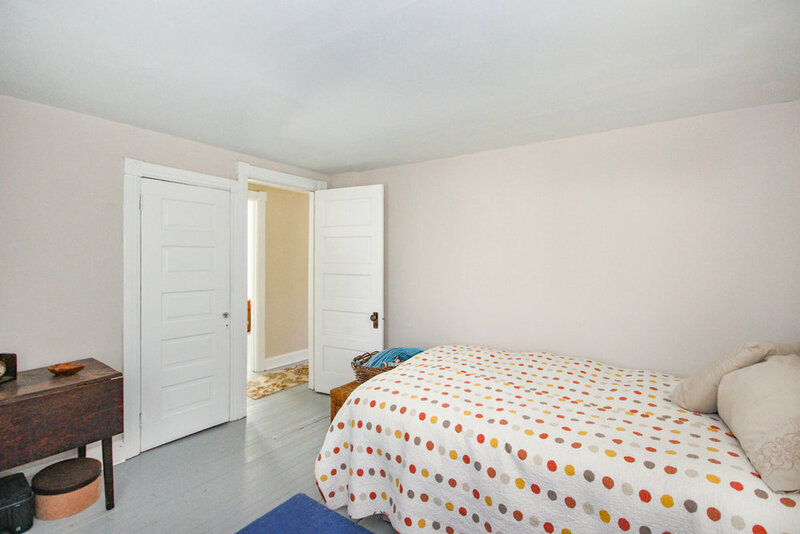 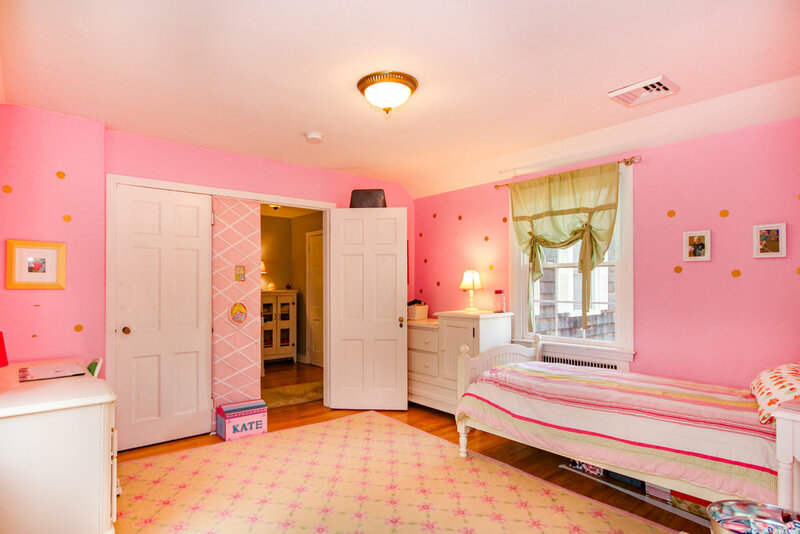 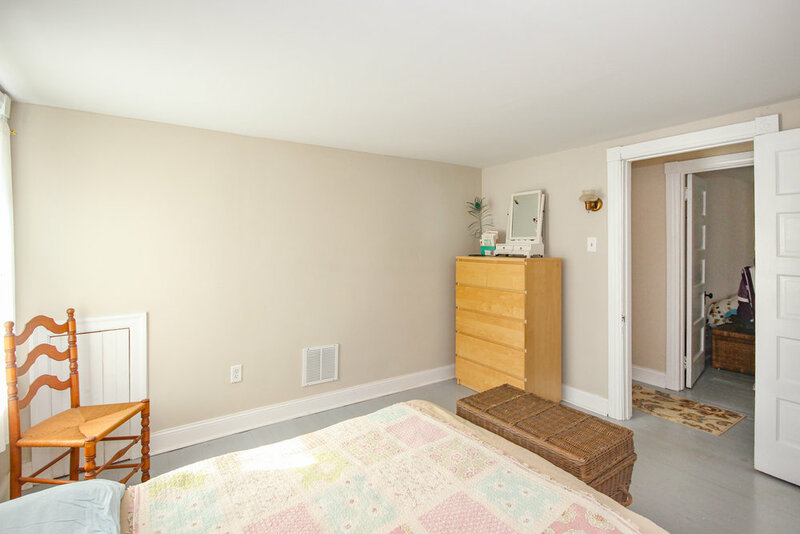 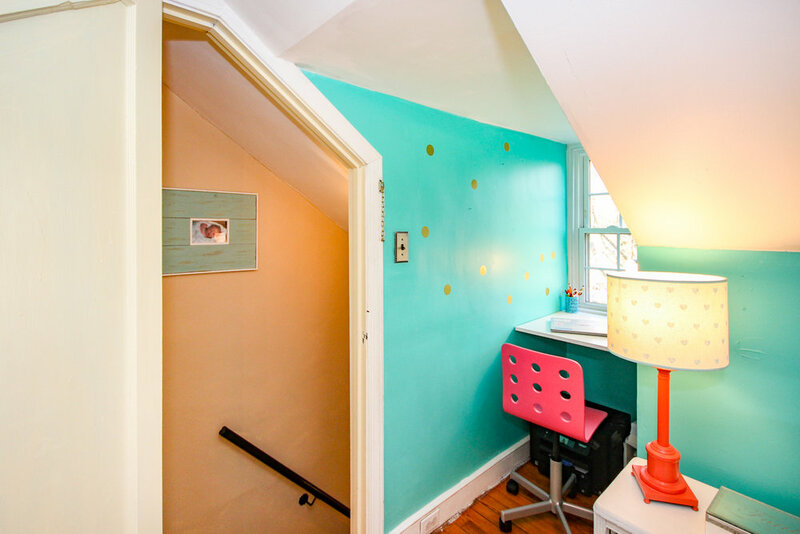 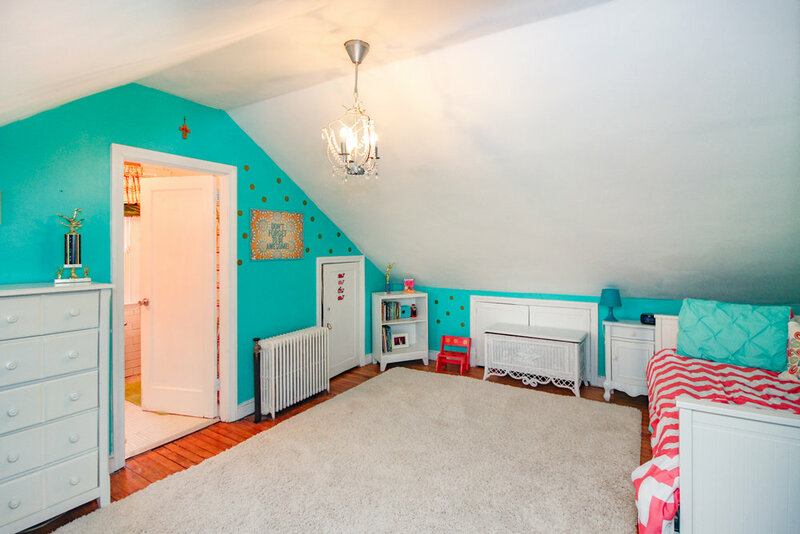 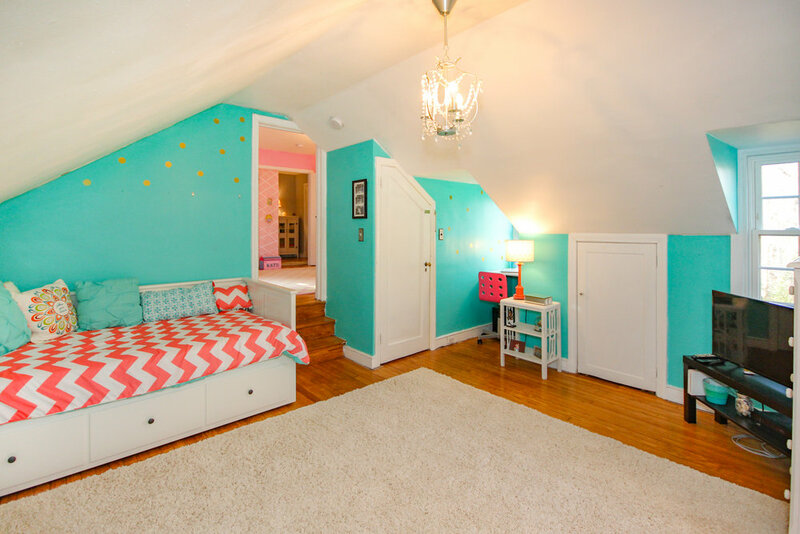 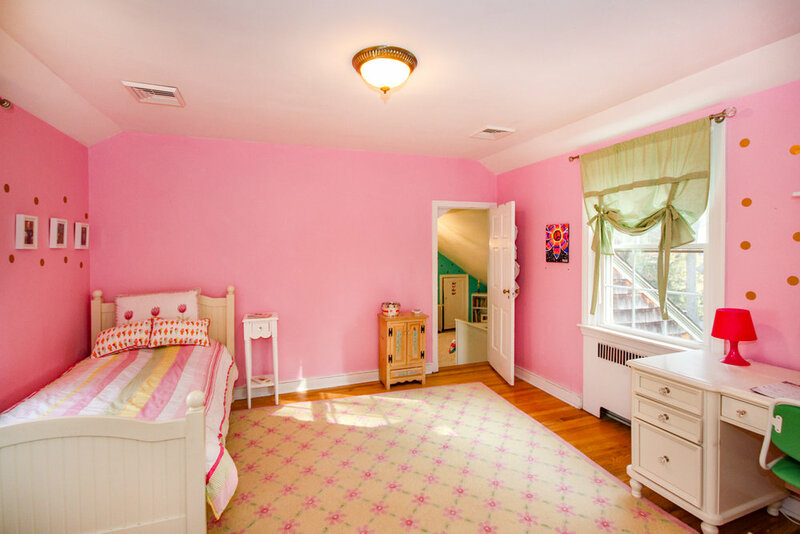 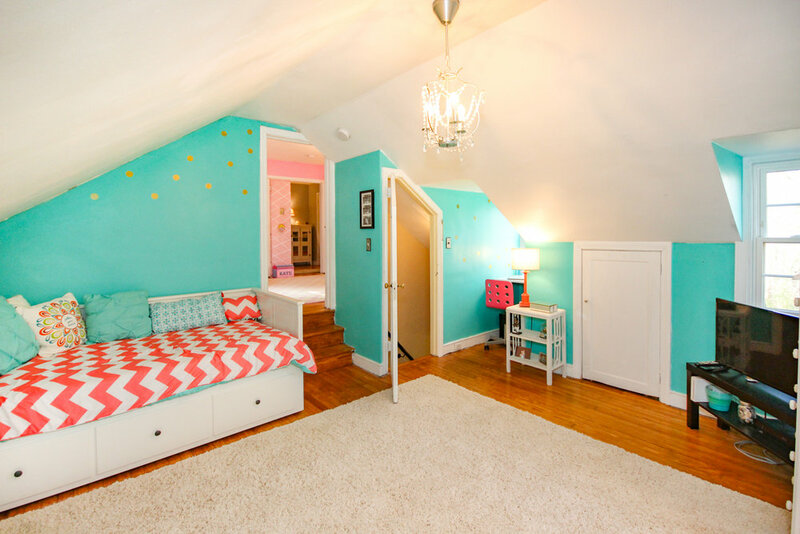 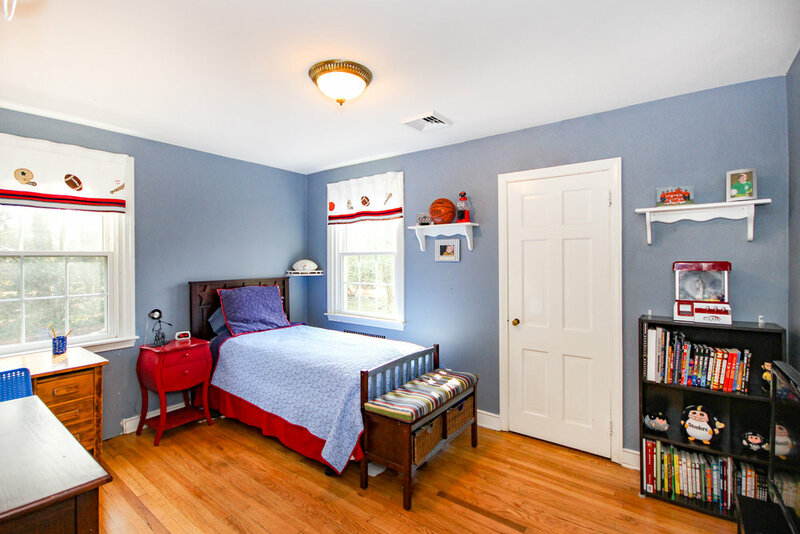 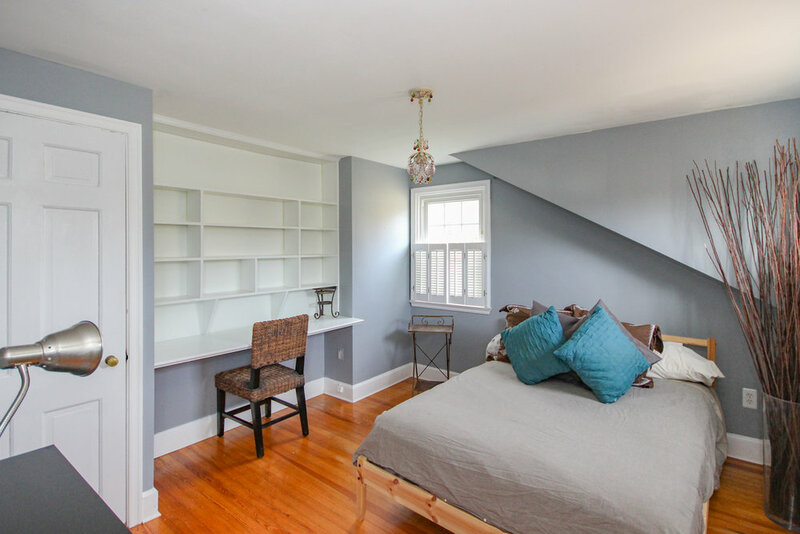 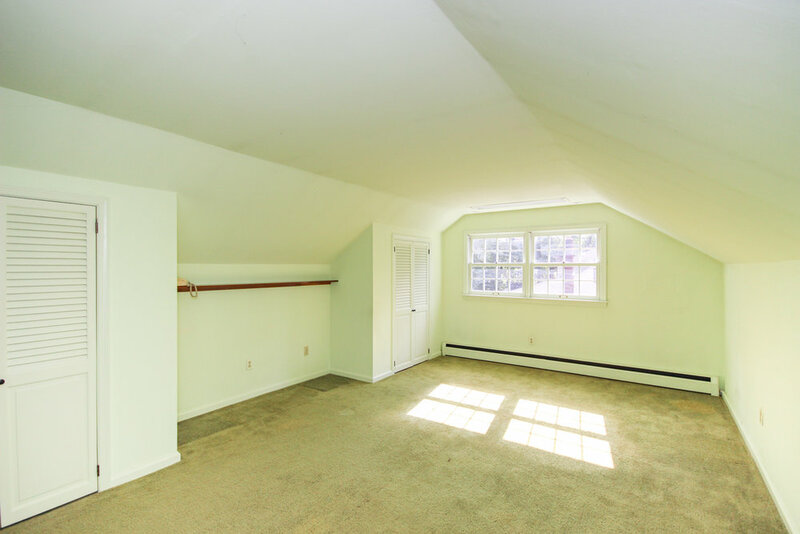 The front bedroom also offers double closet space and pull down stairs to the attic. 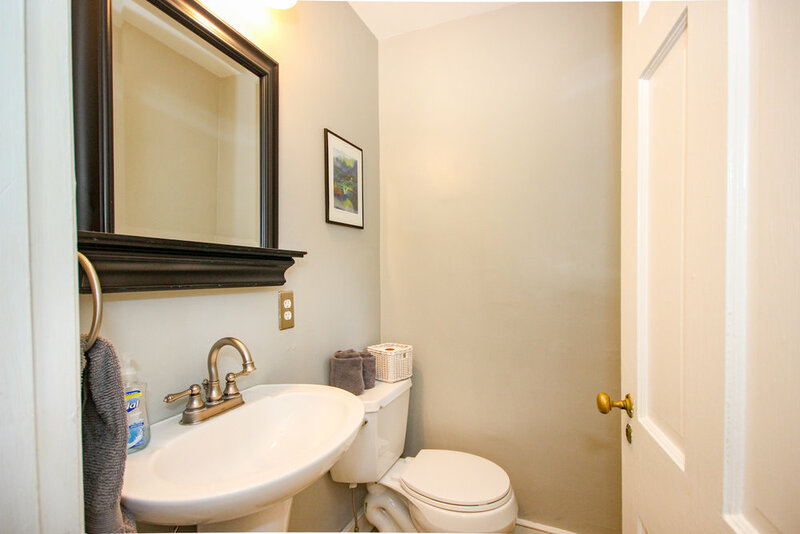 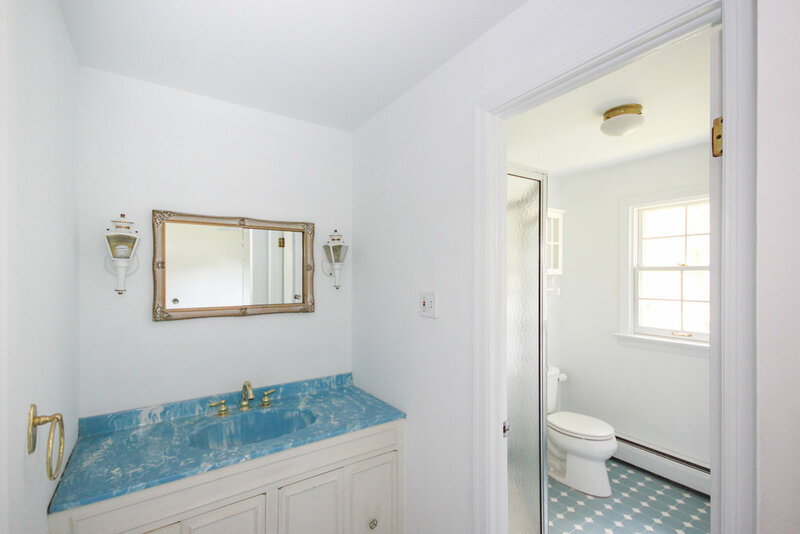 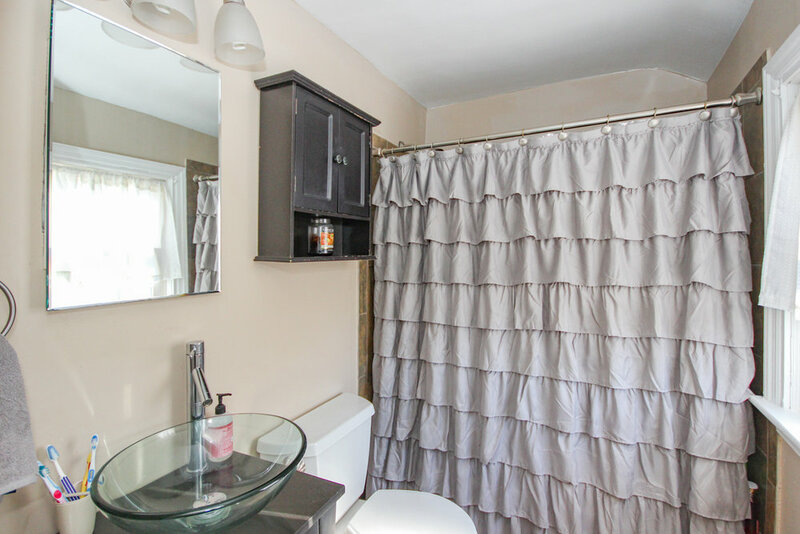 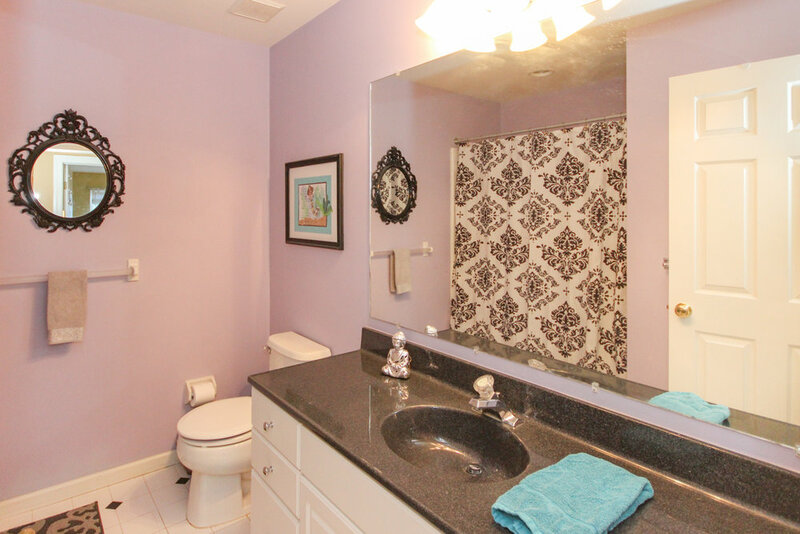 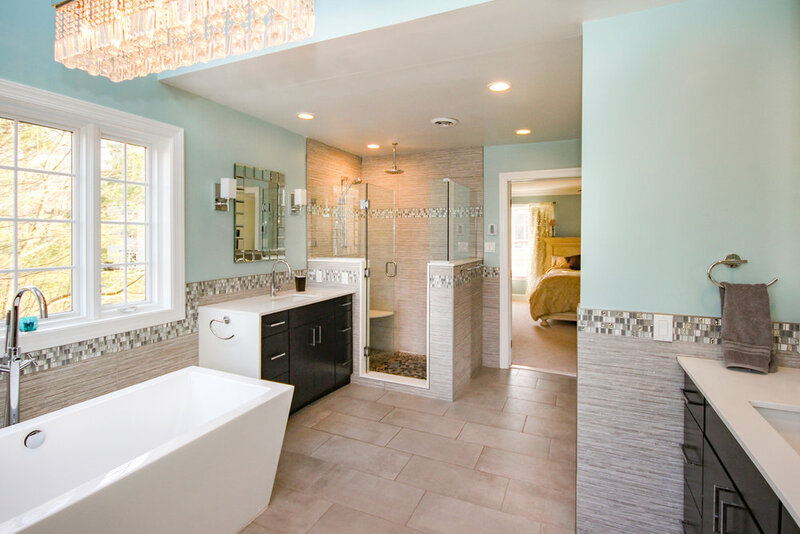 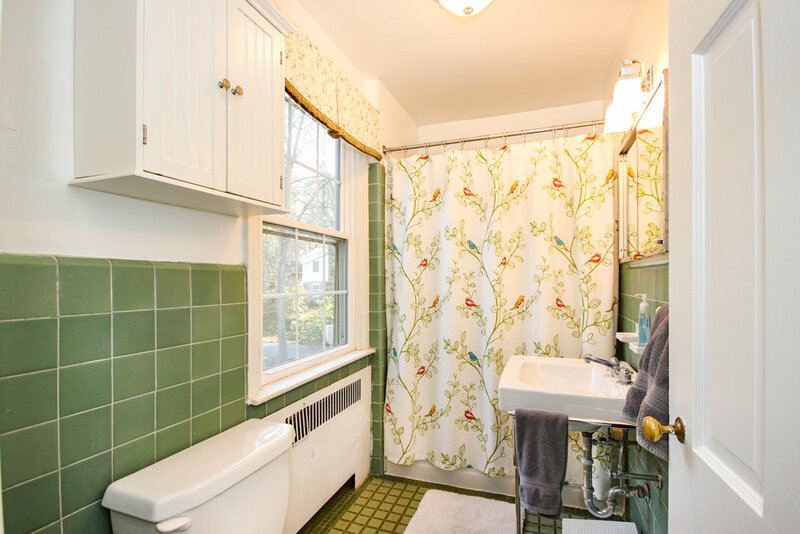 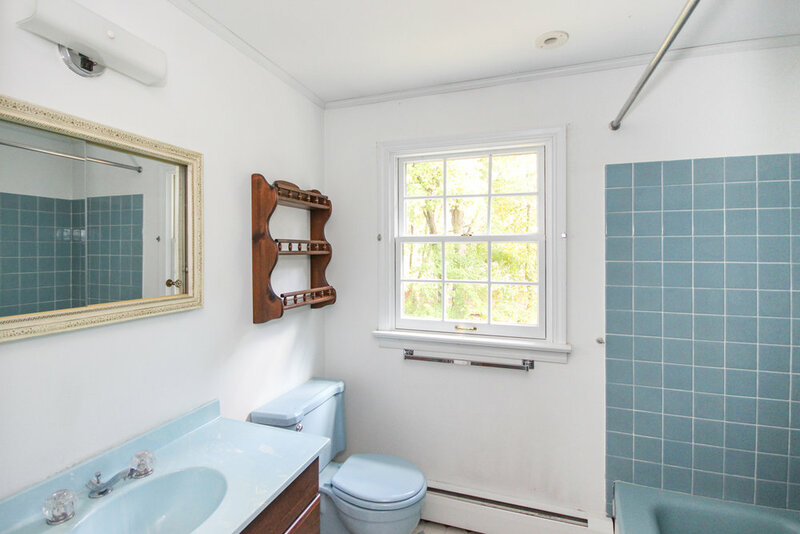 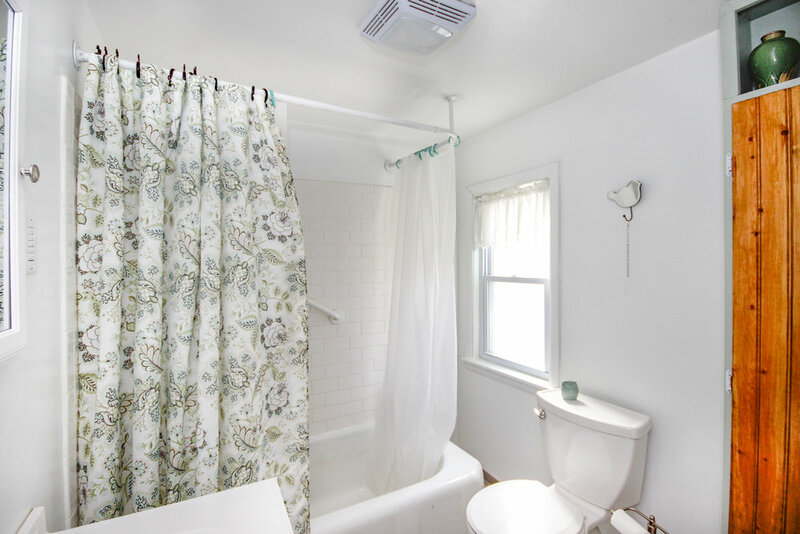 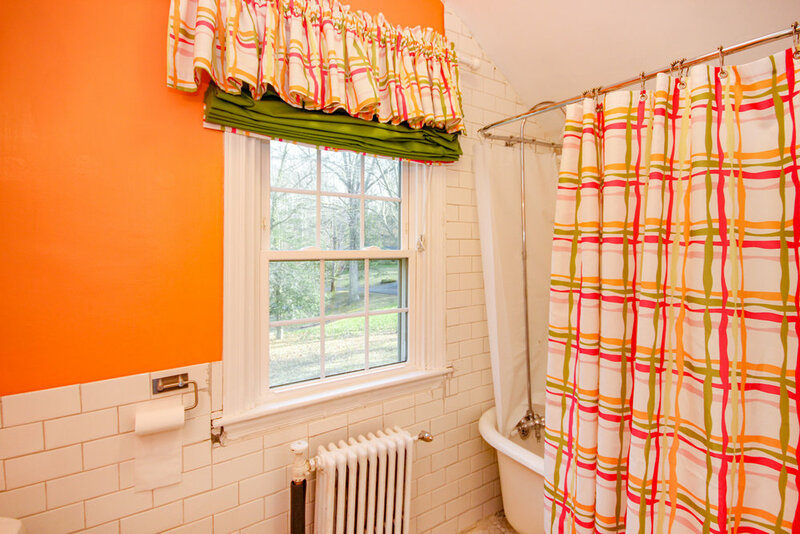 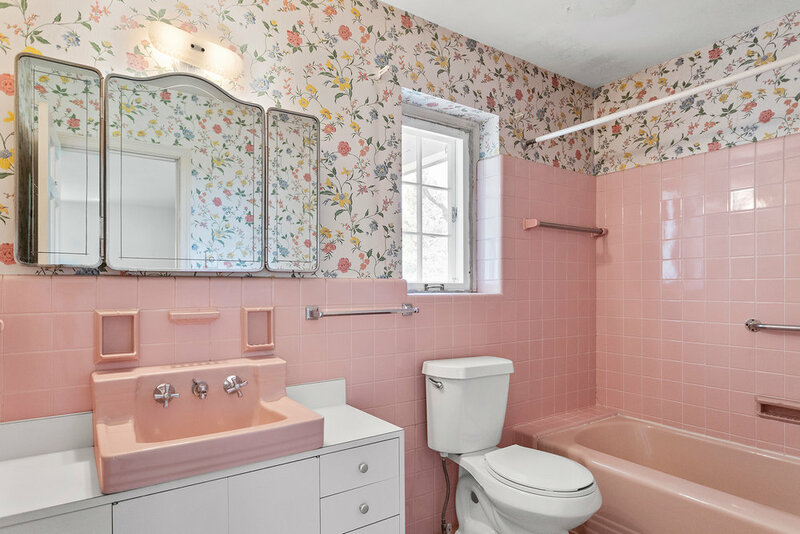 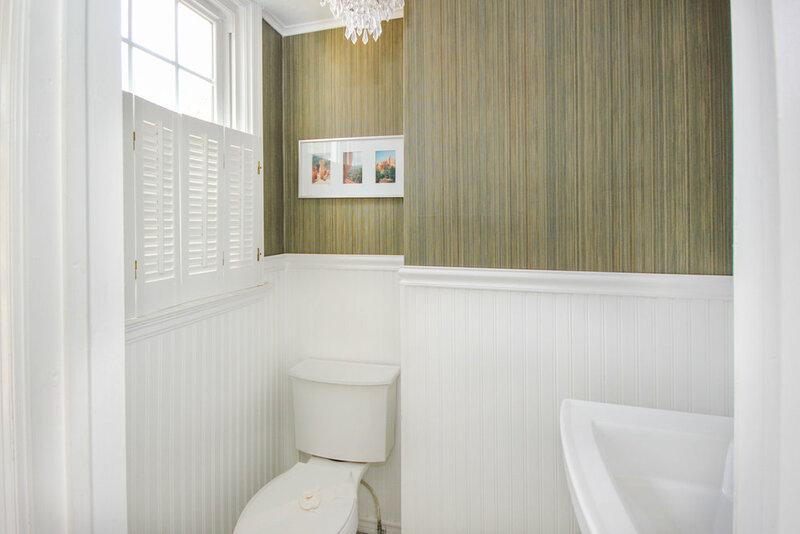 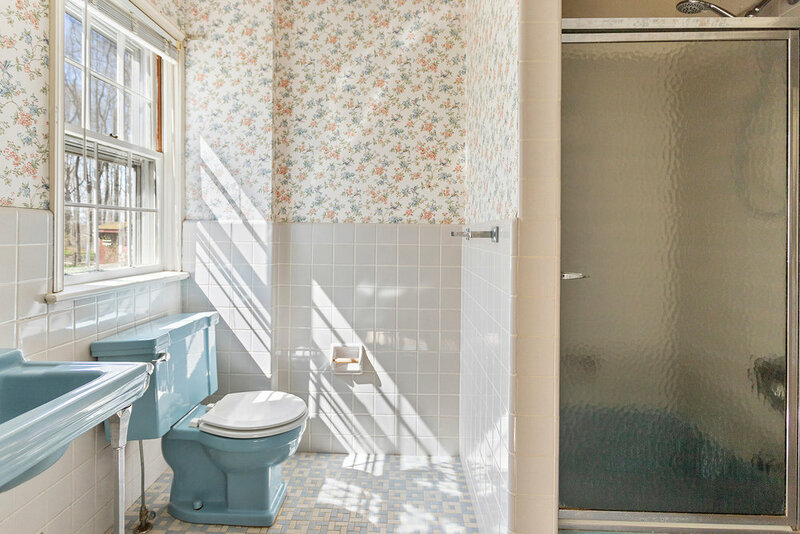 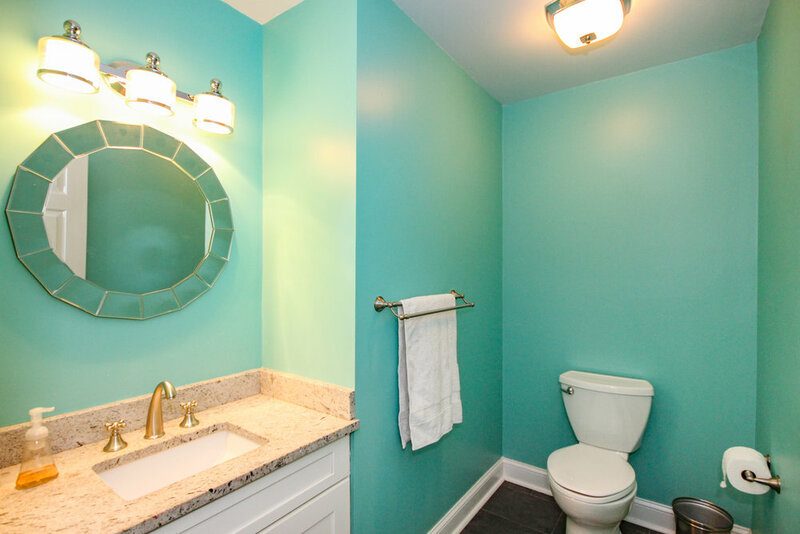 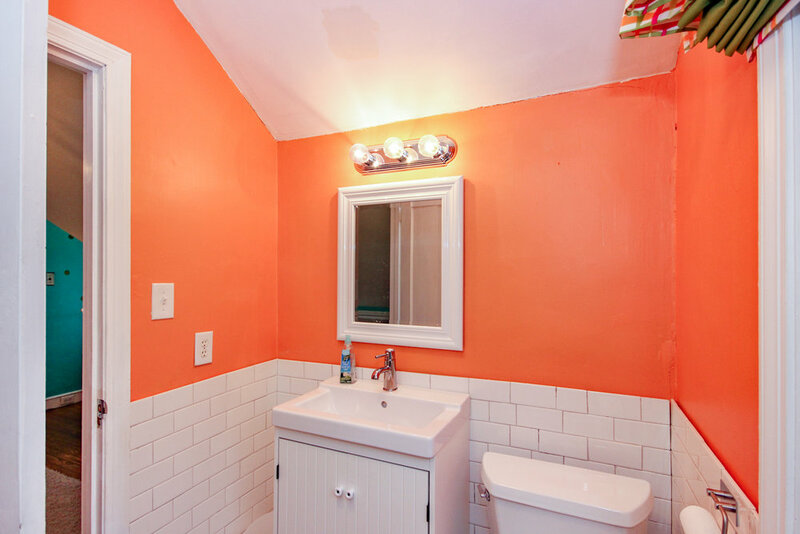 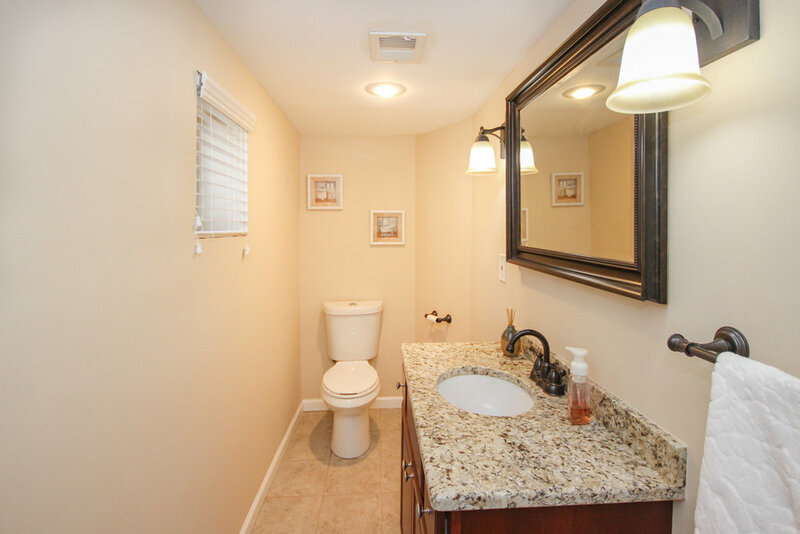 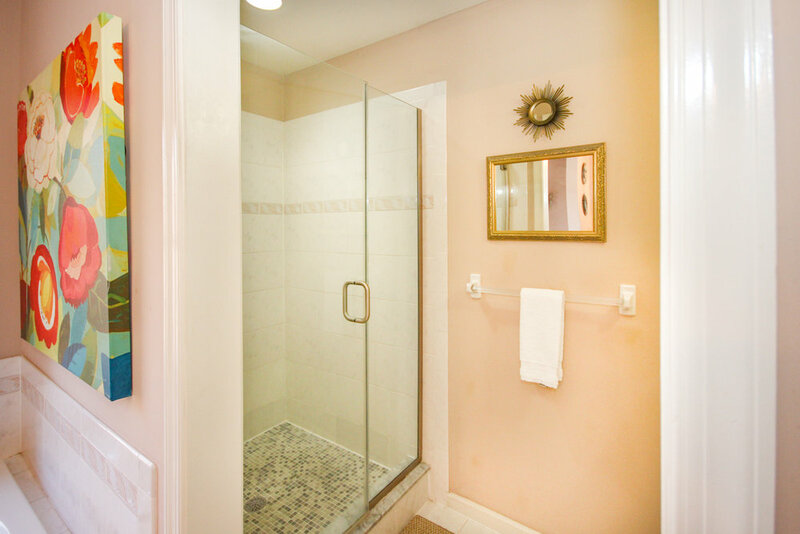 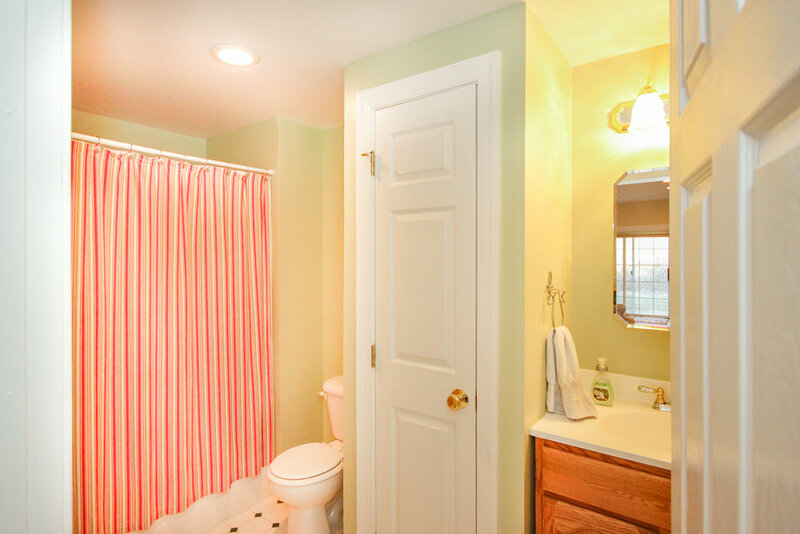 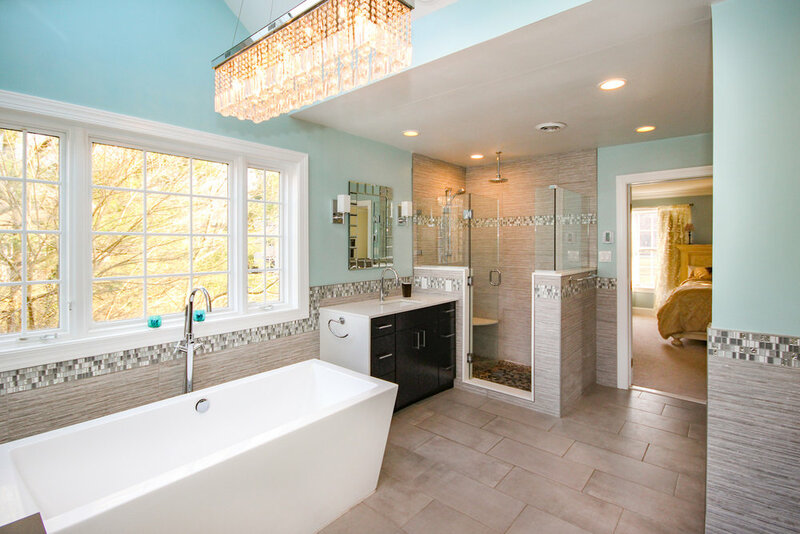 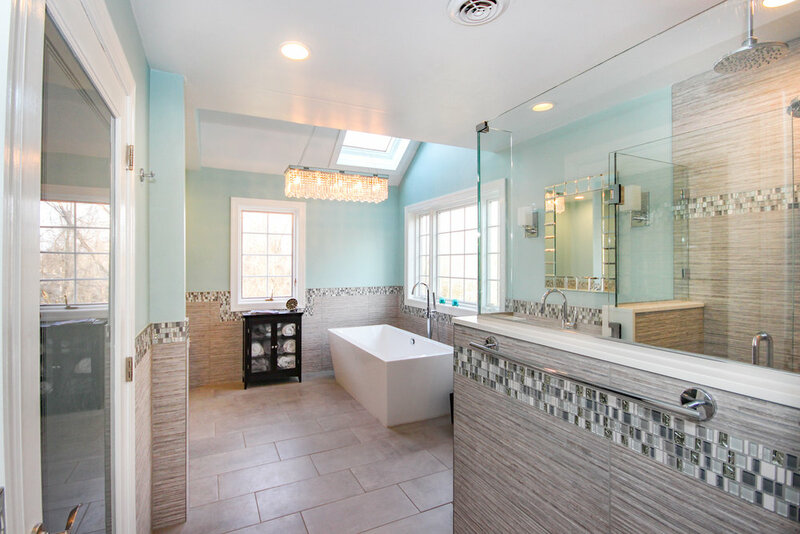 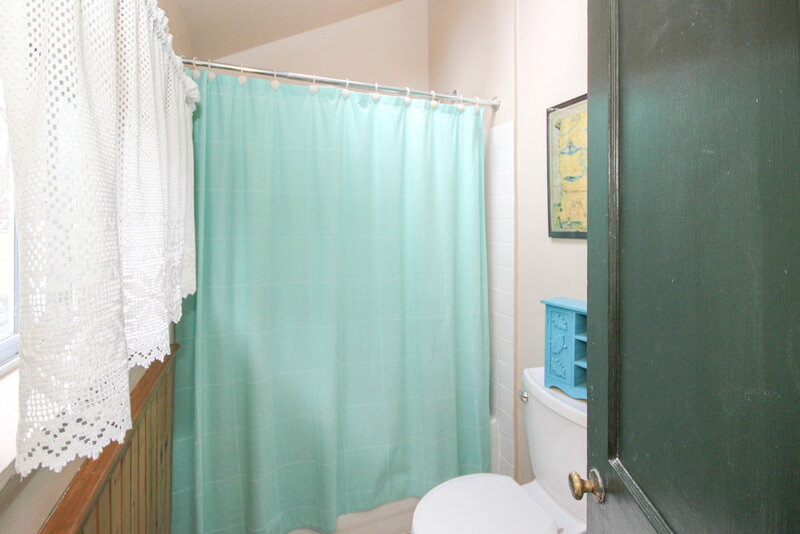 Bright and sunny hall bathroom has been updated with a modern vanity, matching medicine cabinet and ceramic tile tub surround. 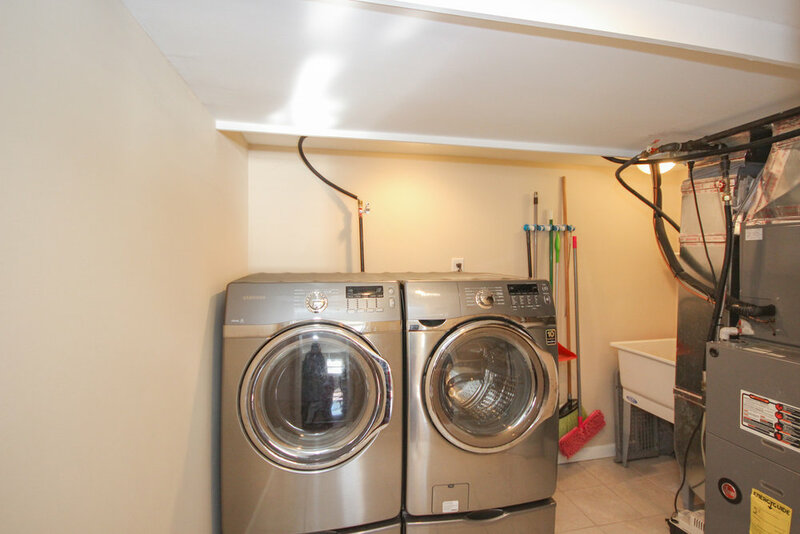 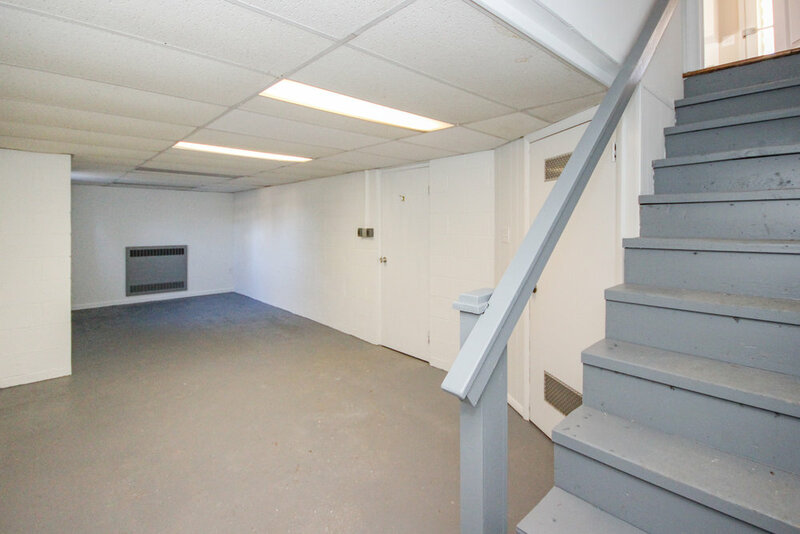 Partially finished basement includes additional living space with laminate flooring and a separate storage/utility/laundry room. 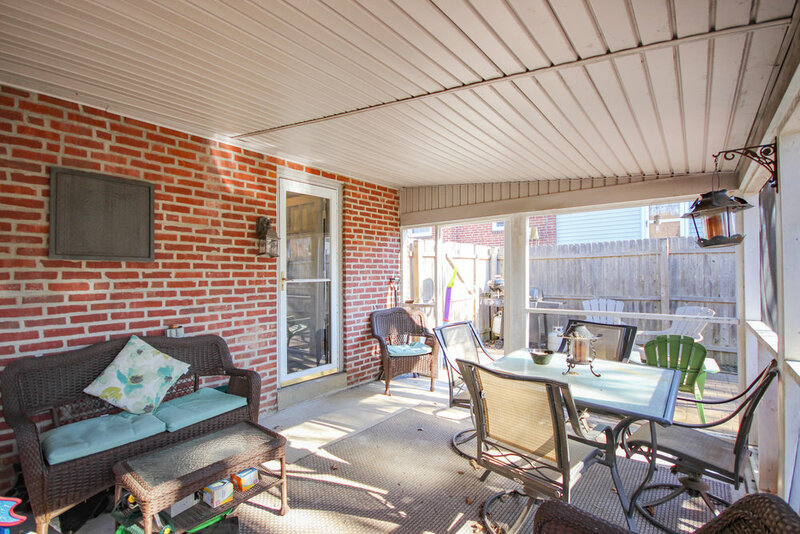 Backyard covered porch has been screened in for enjoying a summer evening separate from mosquitoes, and the level, fully fenced in yard can be used for all outdoor activities. 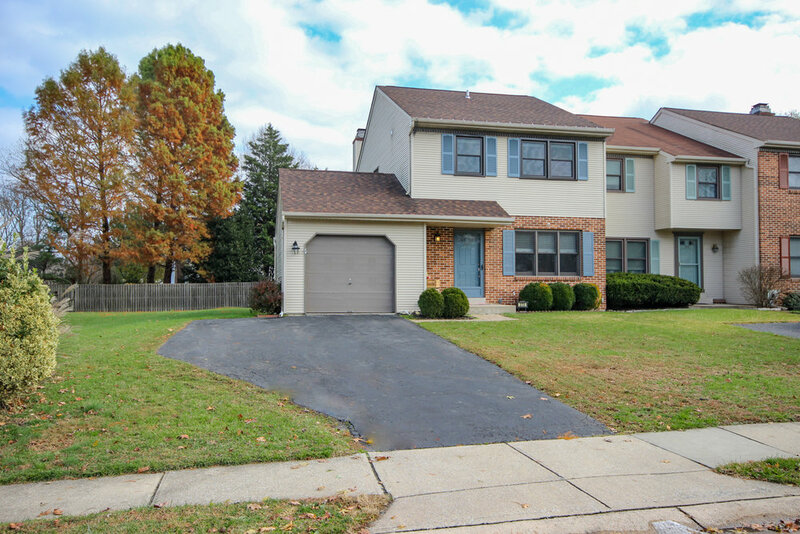 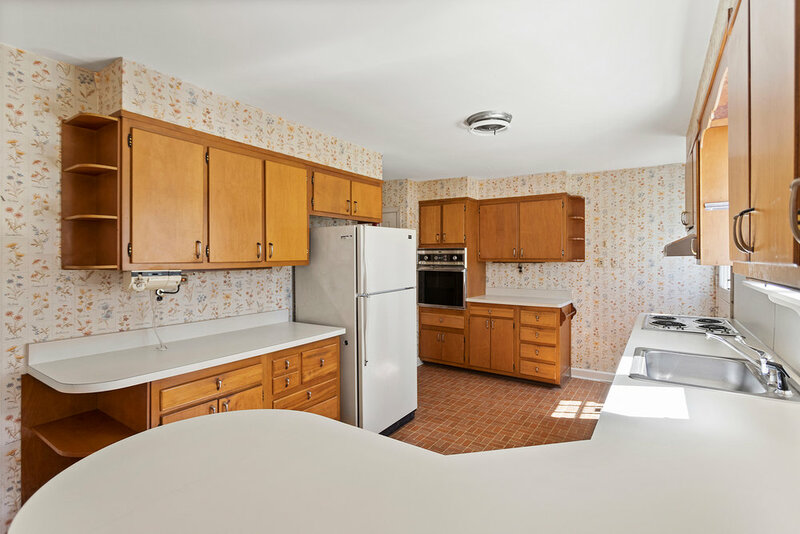 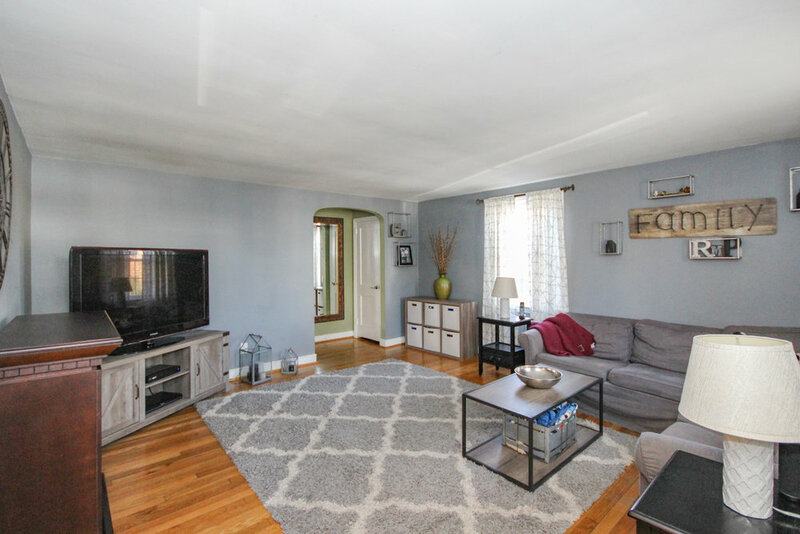 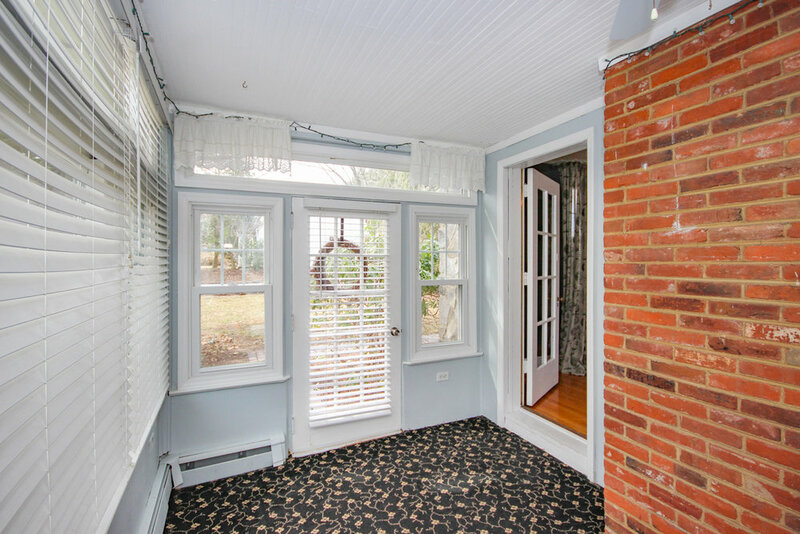 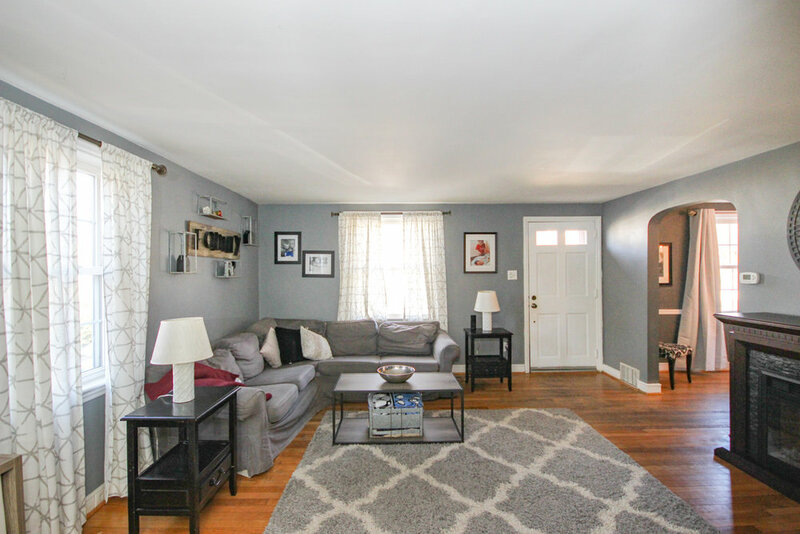 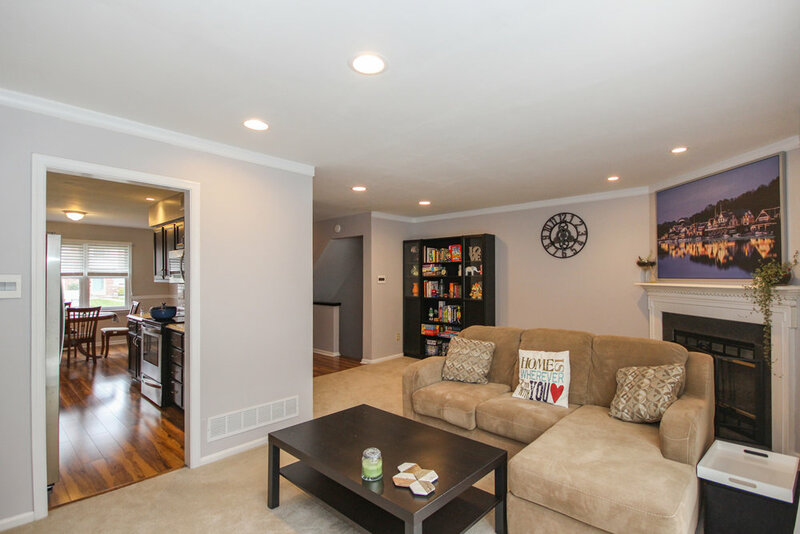 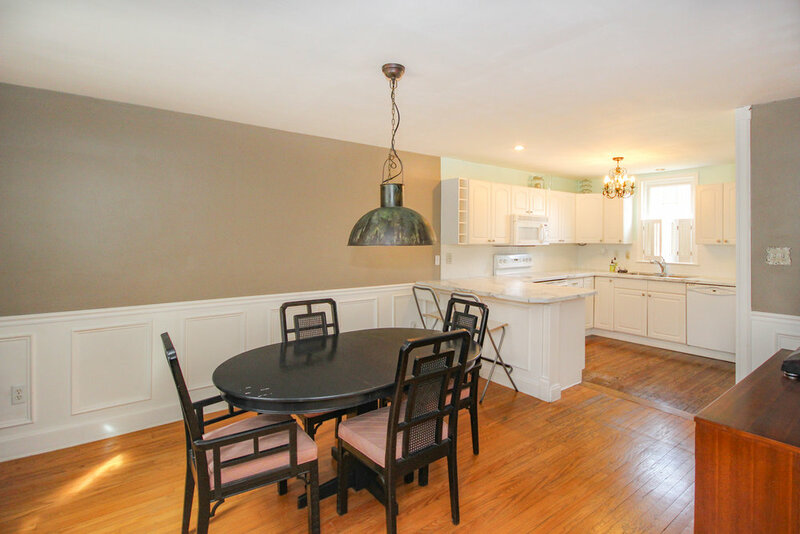 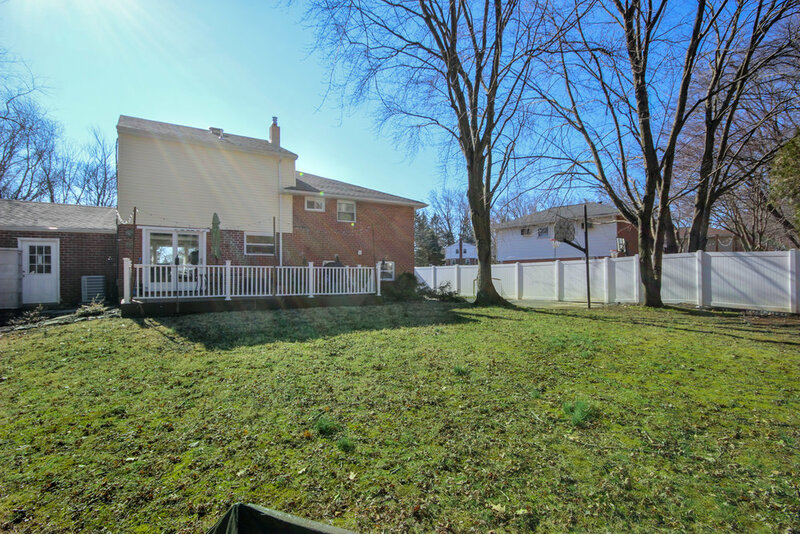 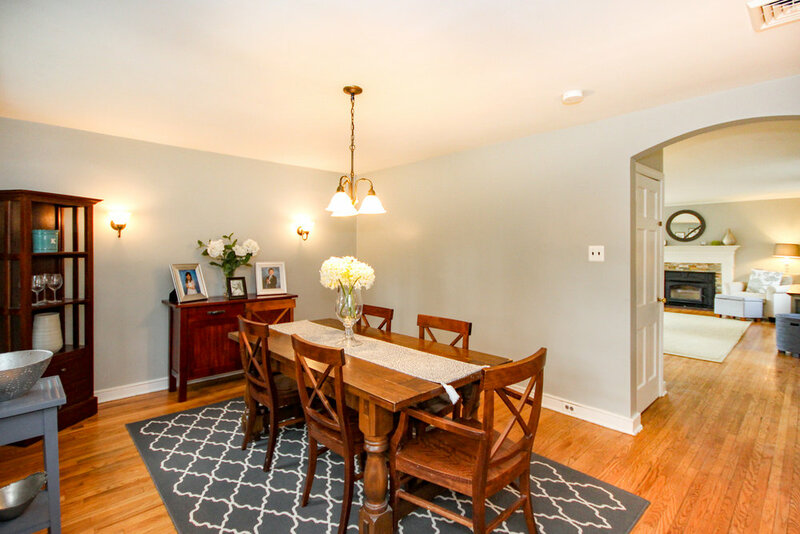 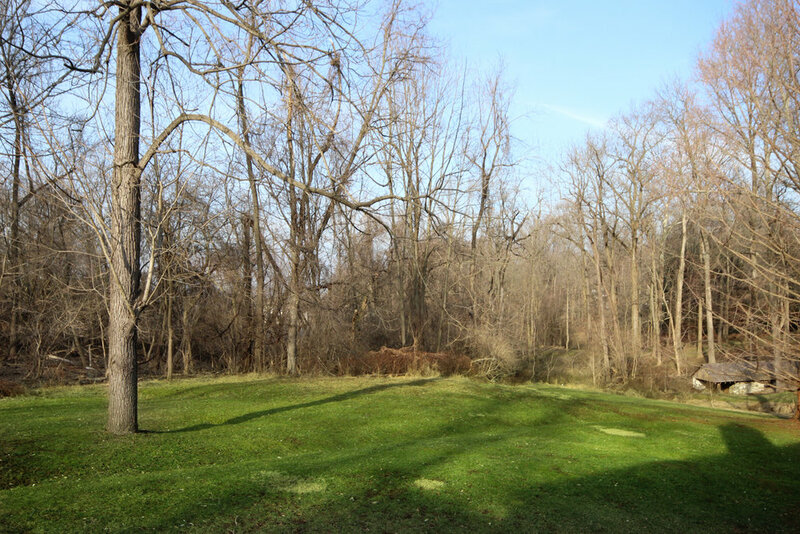 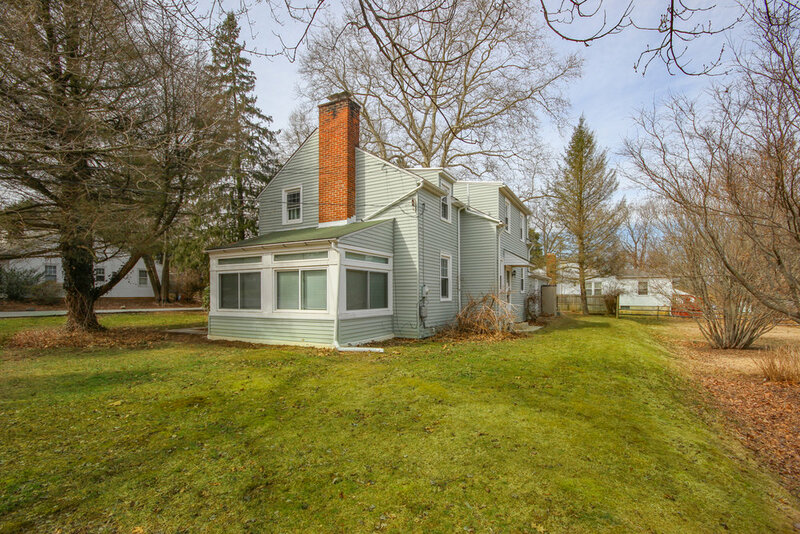 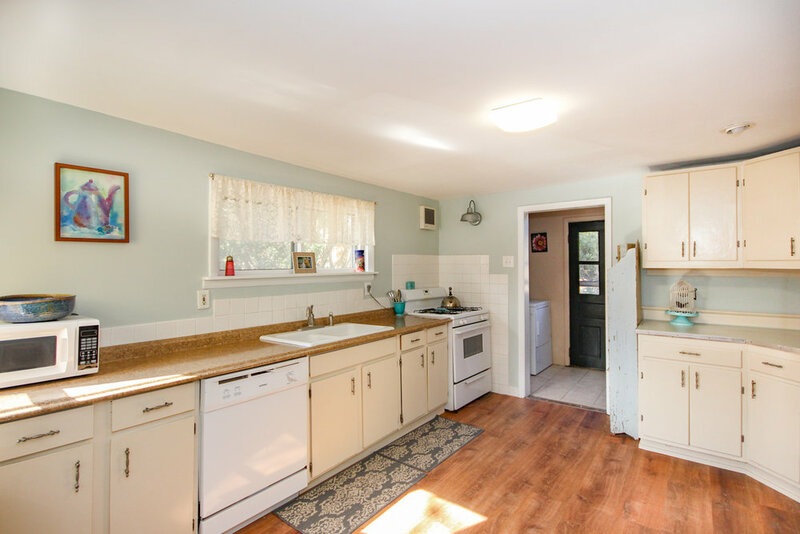 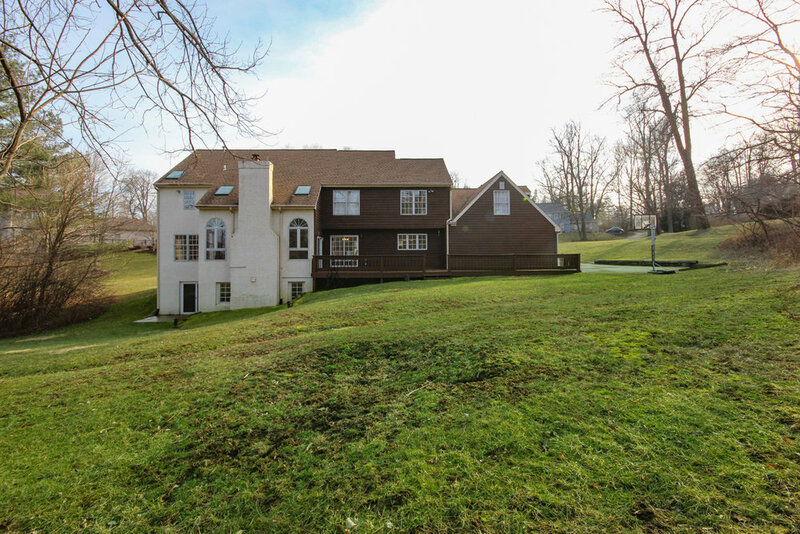 Close to everything Springfield has to offer, this home is located .2 mile from SEPTA’s light rail, .5 mile from Springfield Township library, and about 1 mile from the local high school. 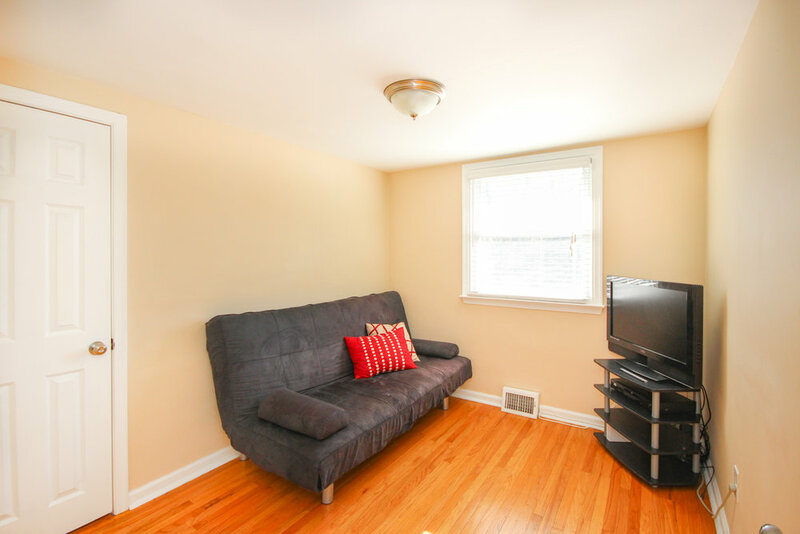 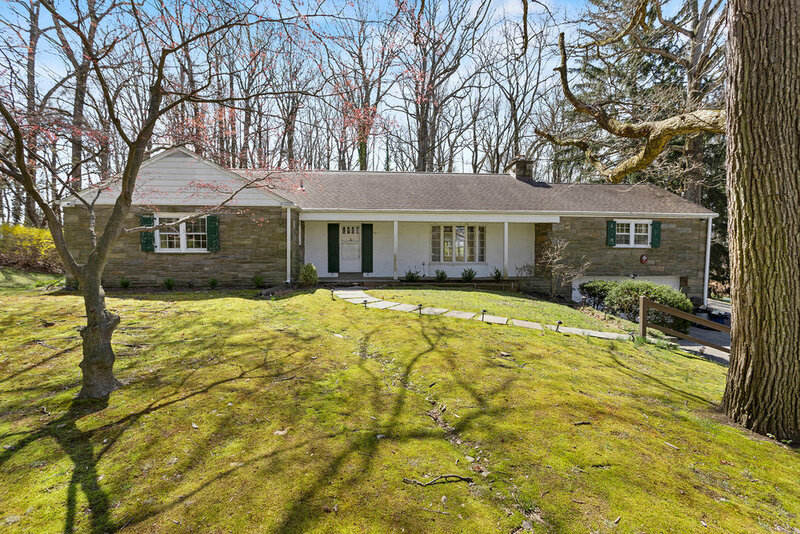 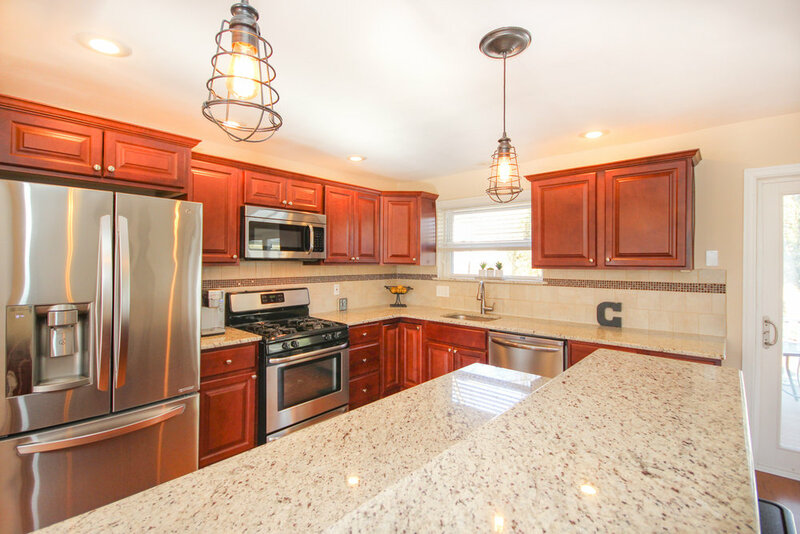 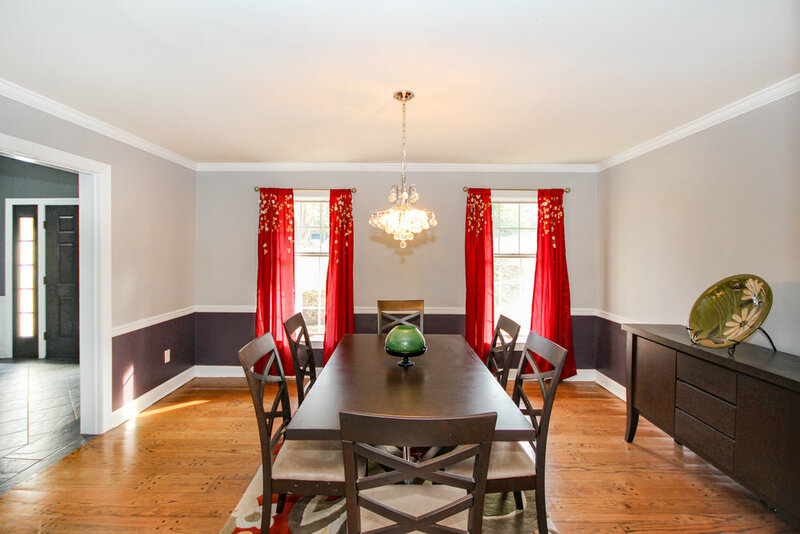 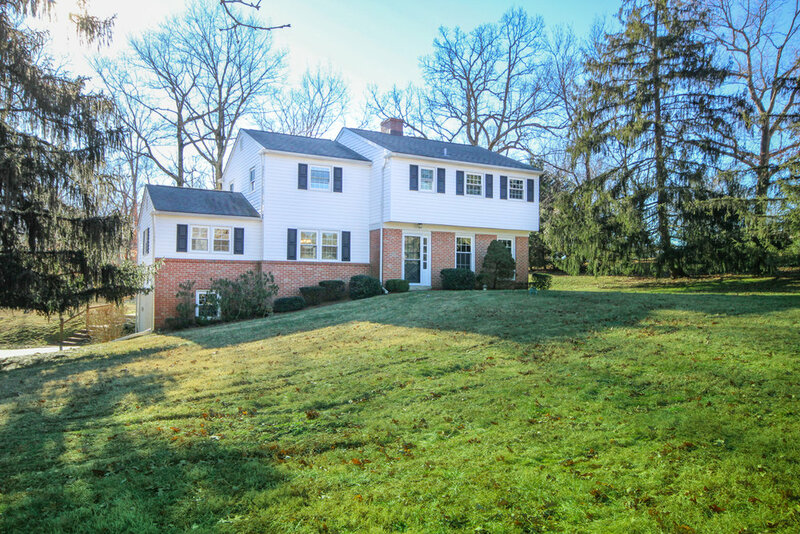 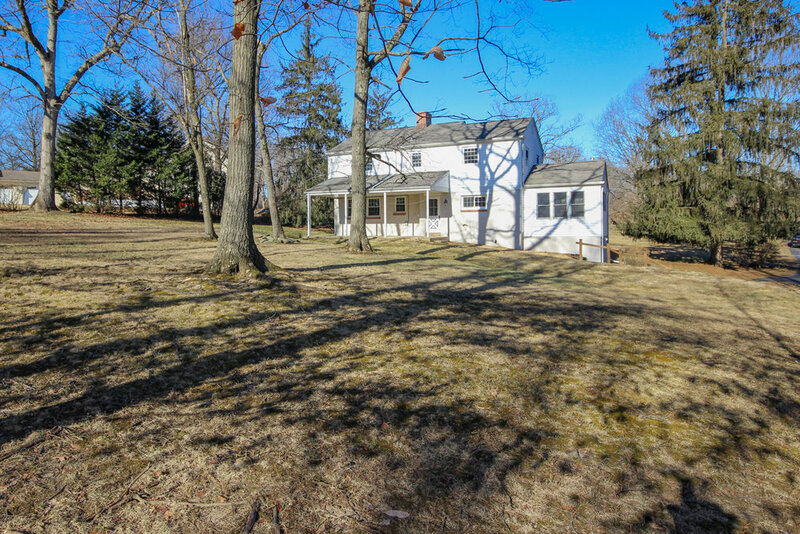 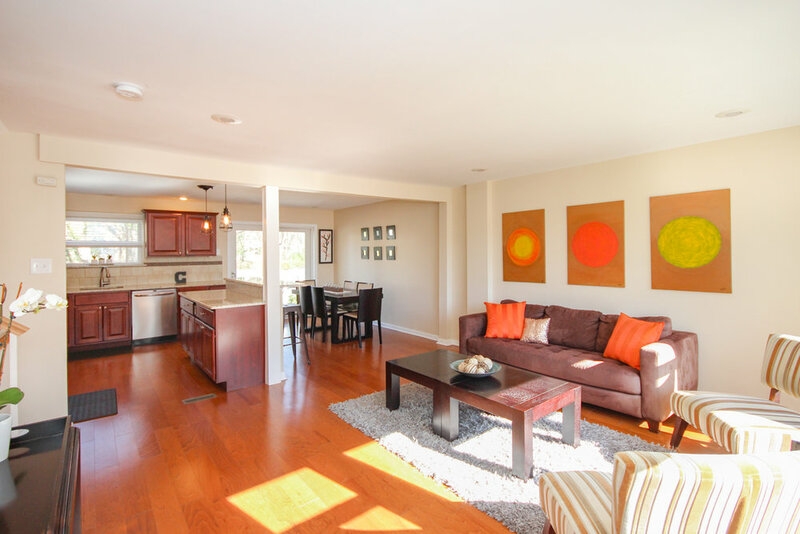 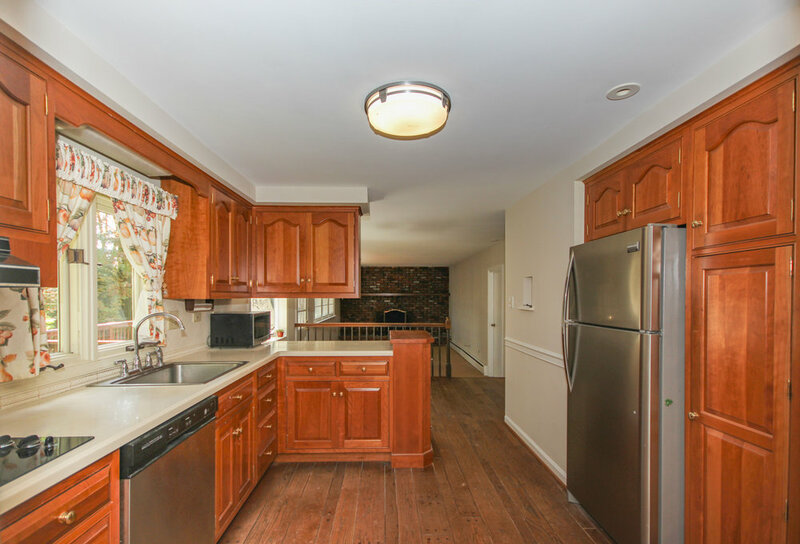 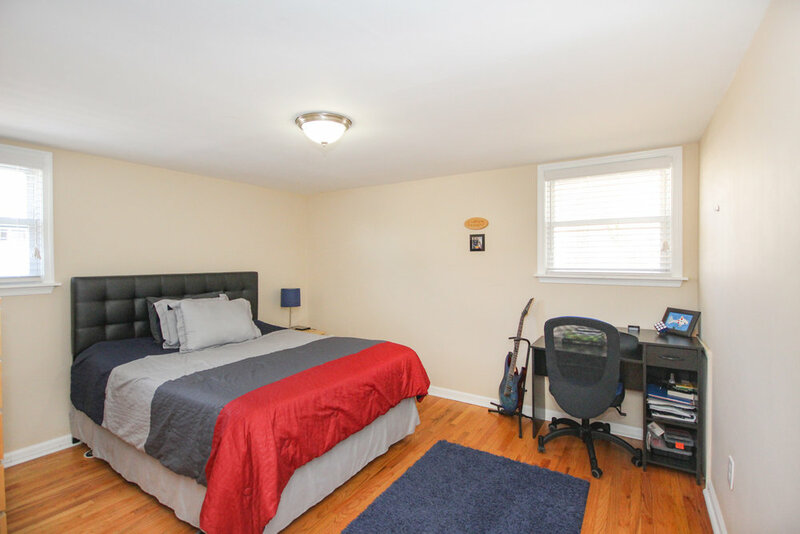 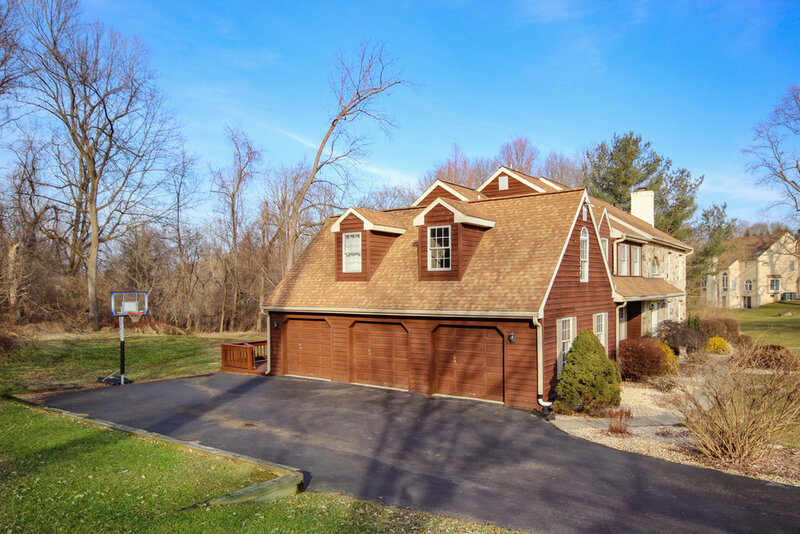 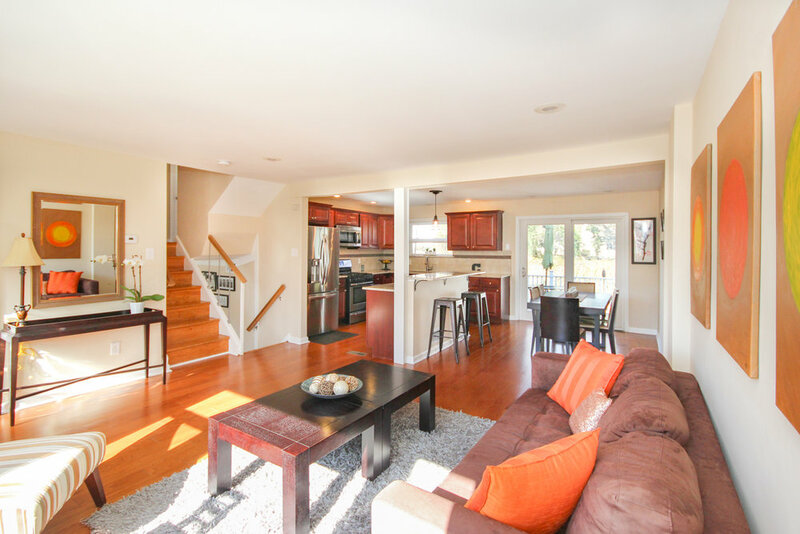 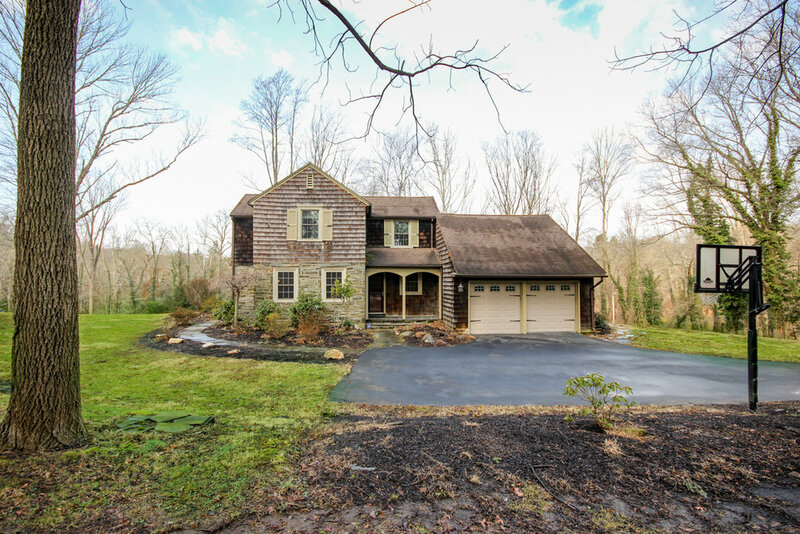 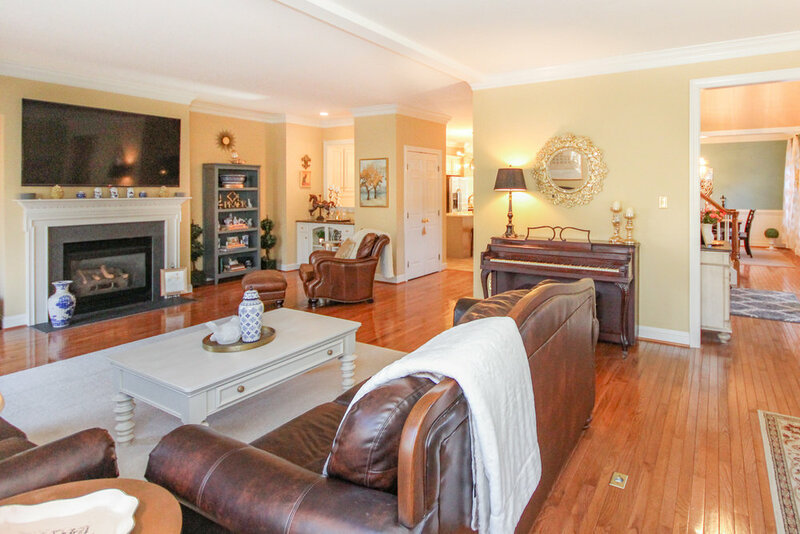 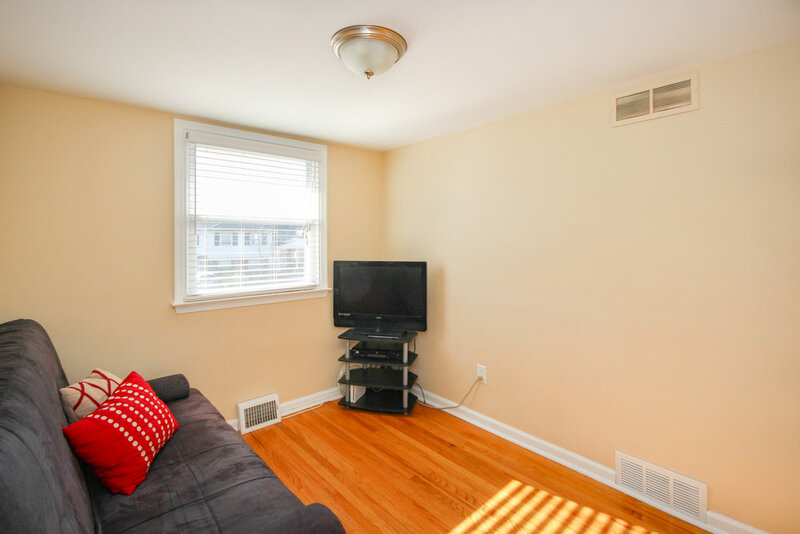 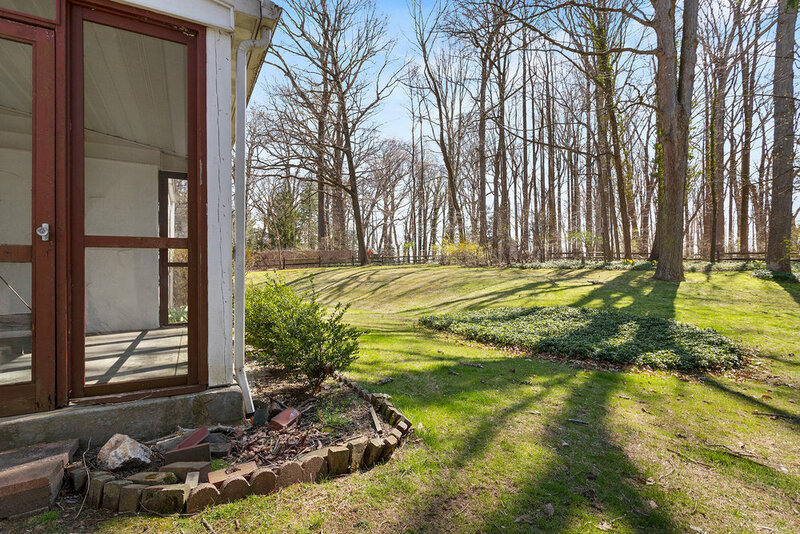 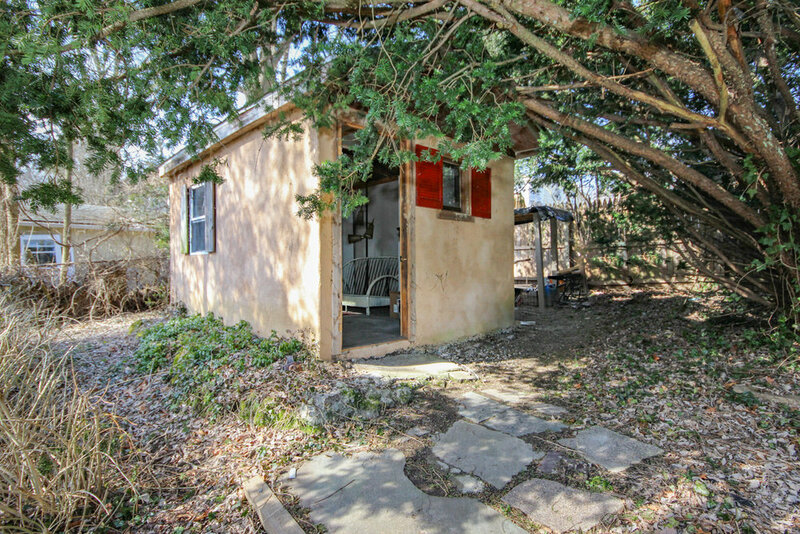 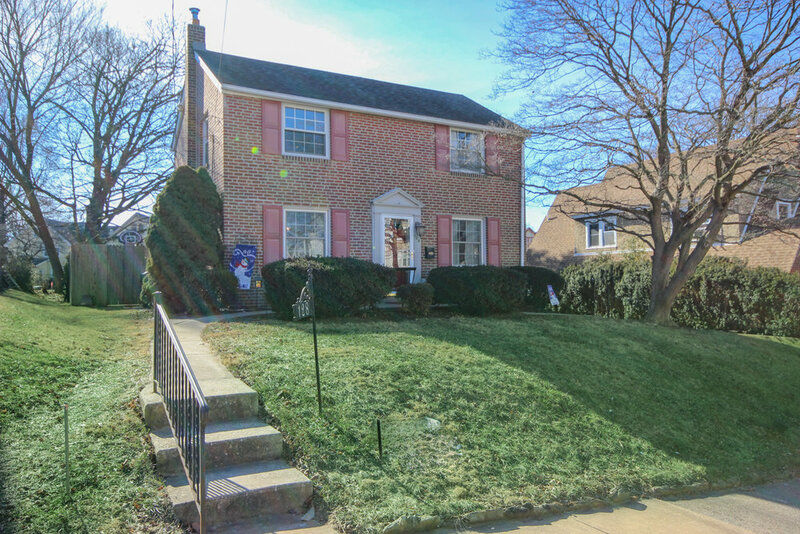 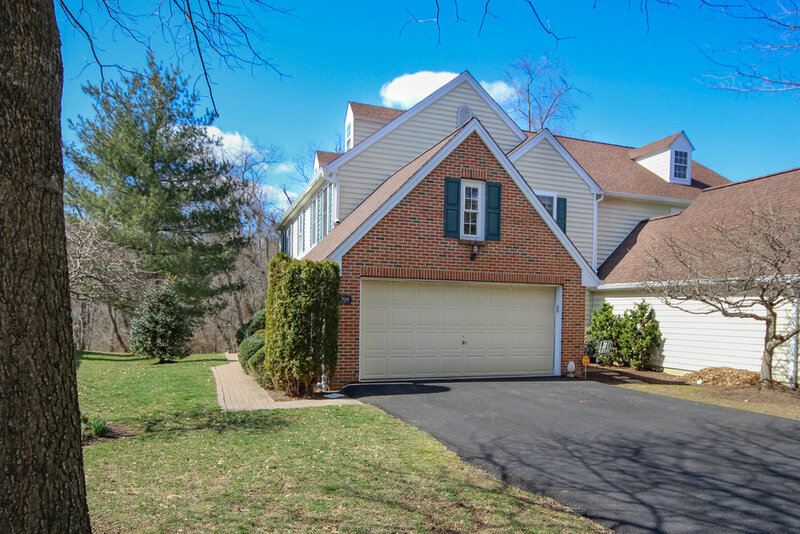 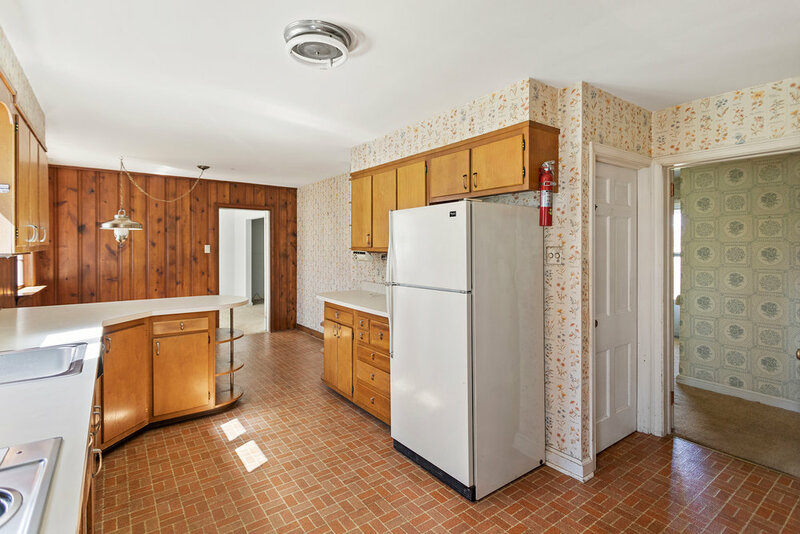 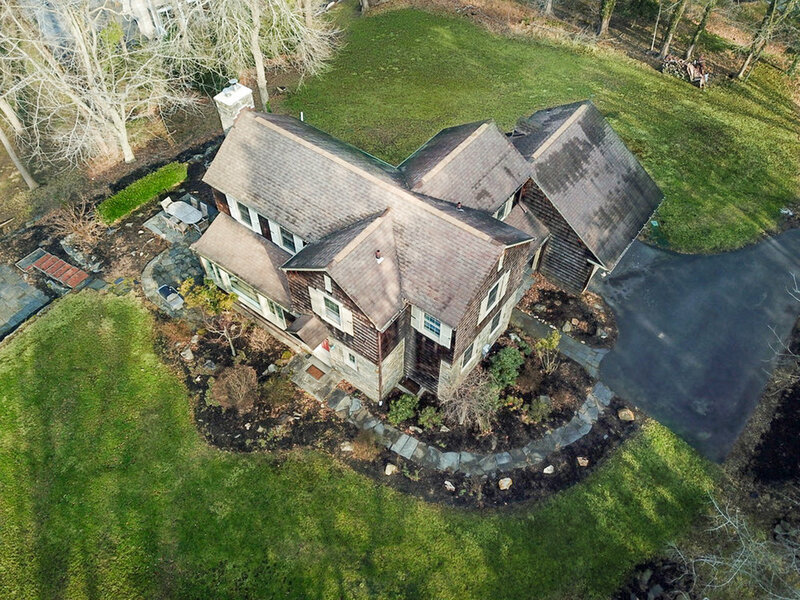 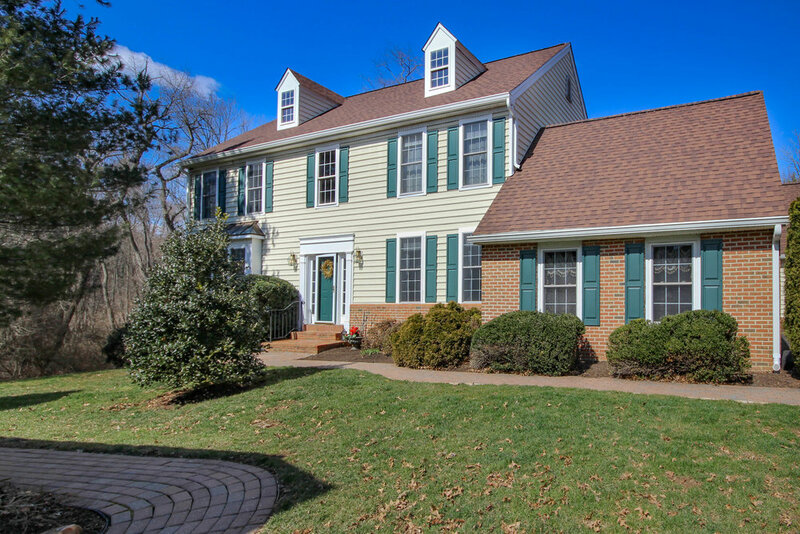 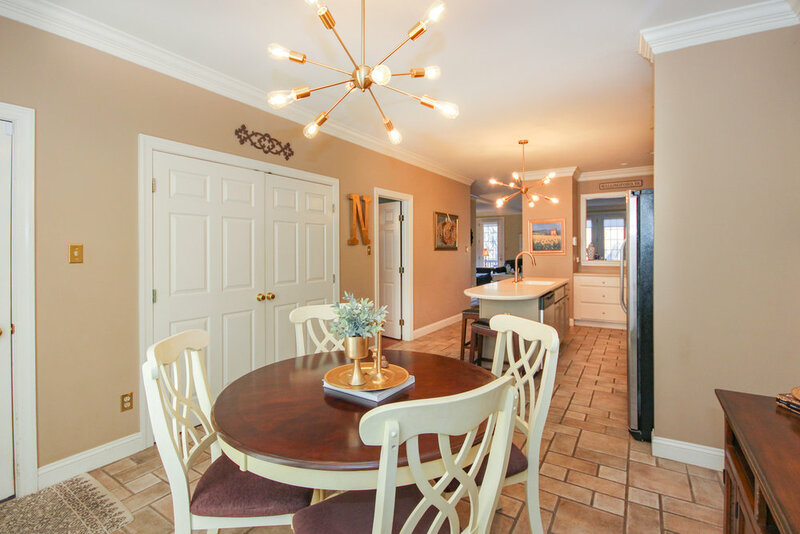 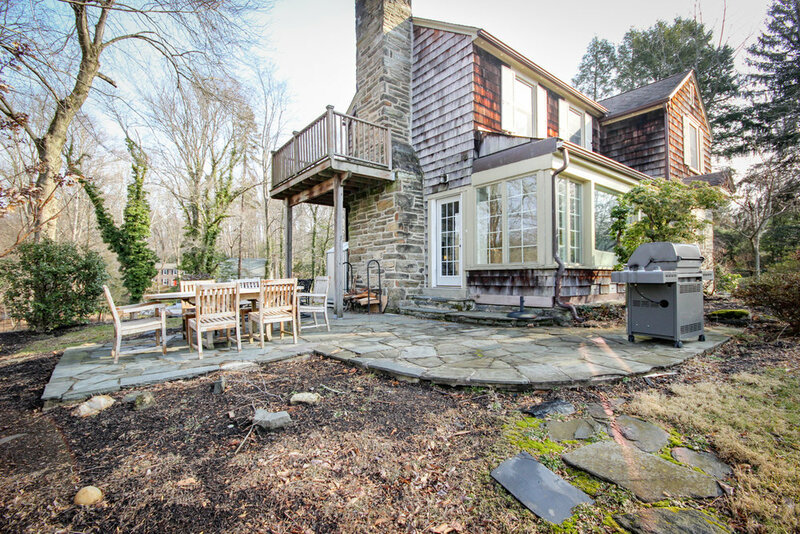 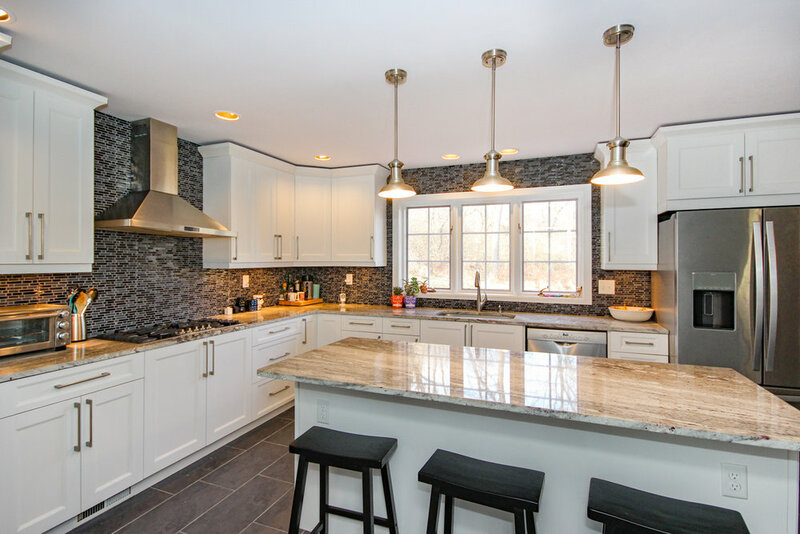 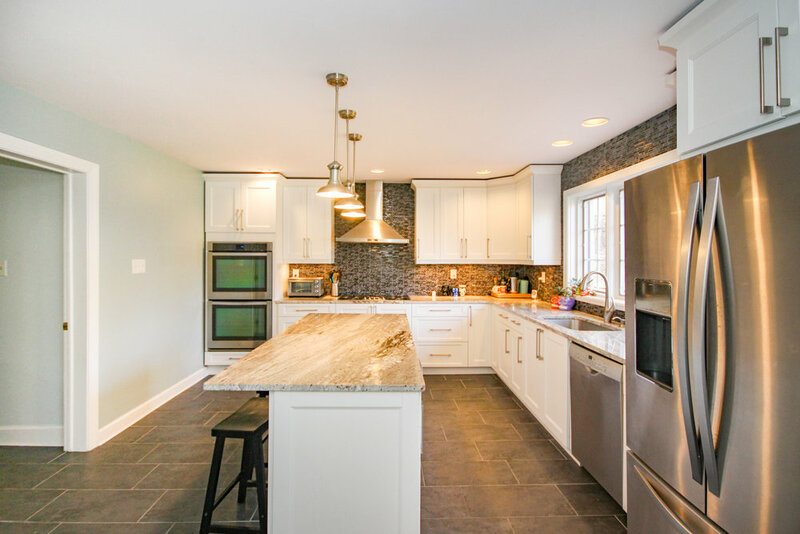 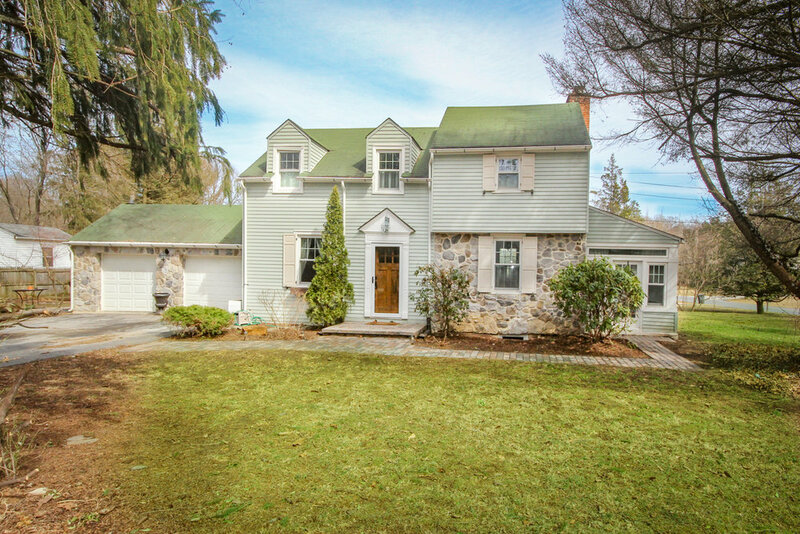 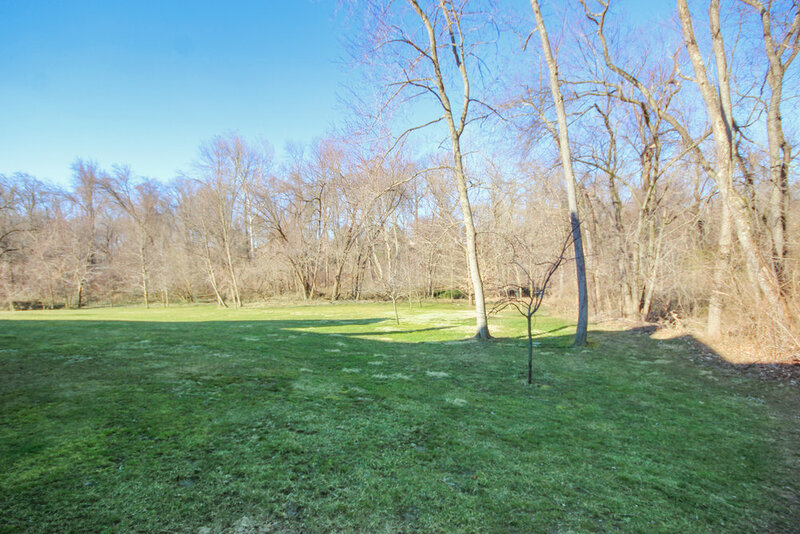 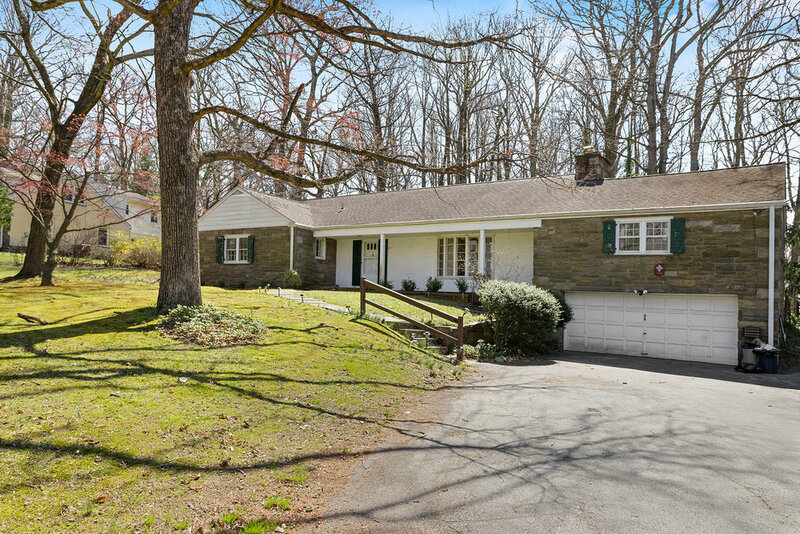 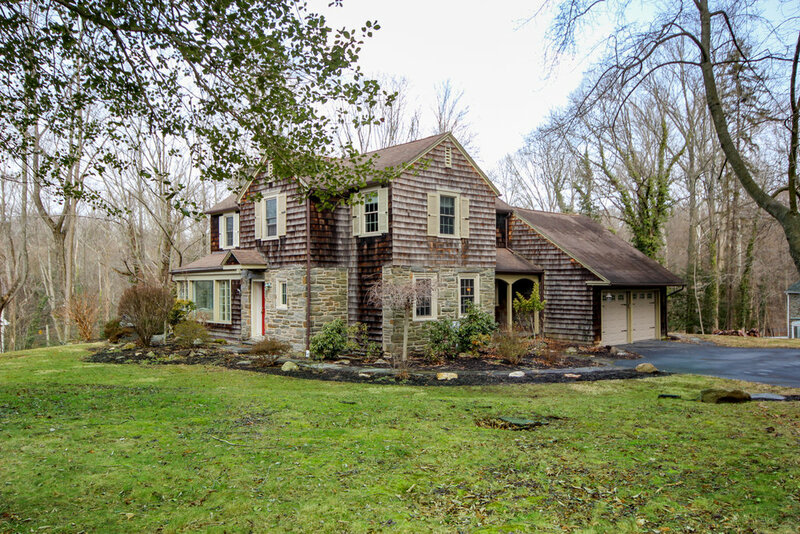 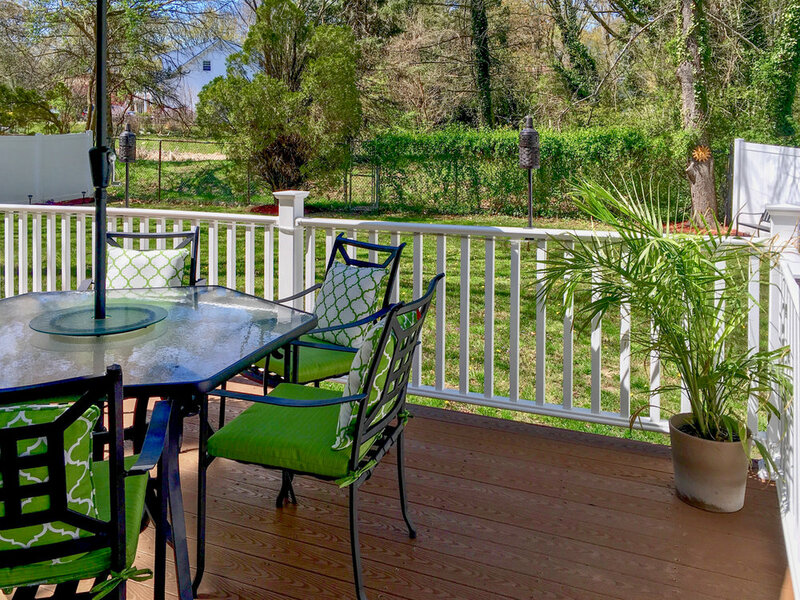 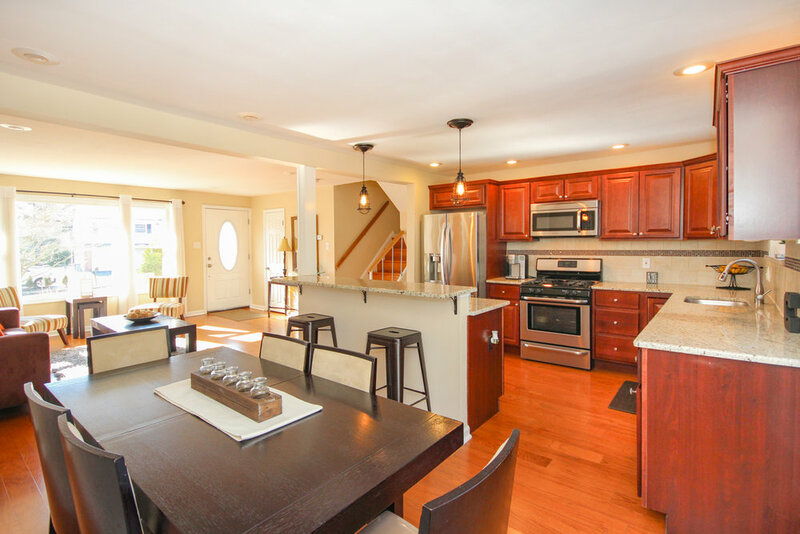 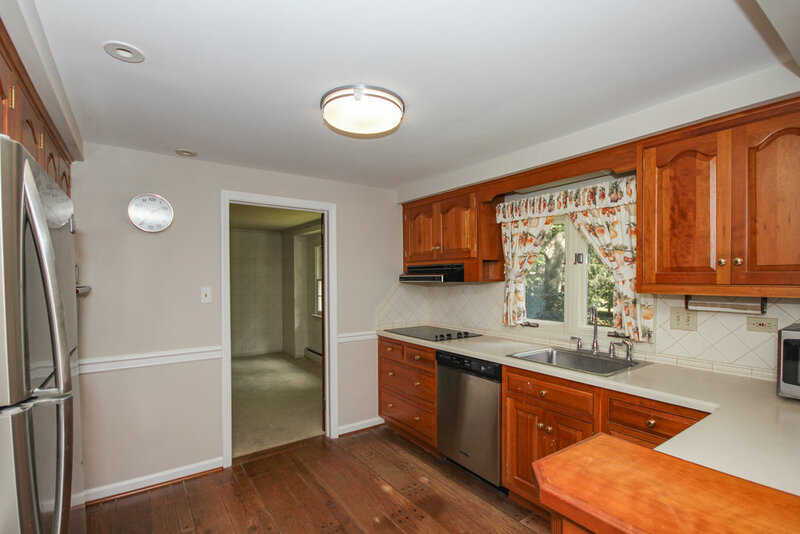 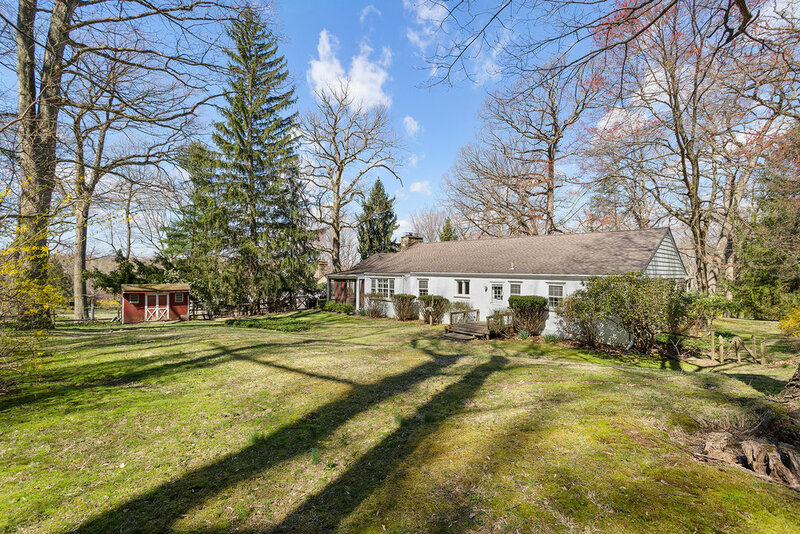 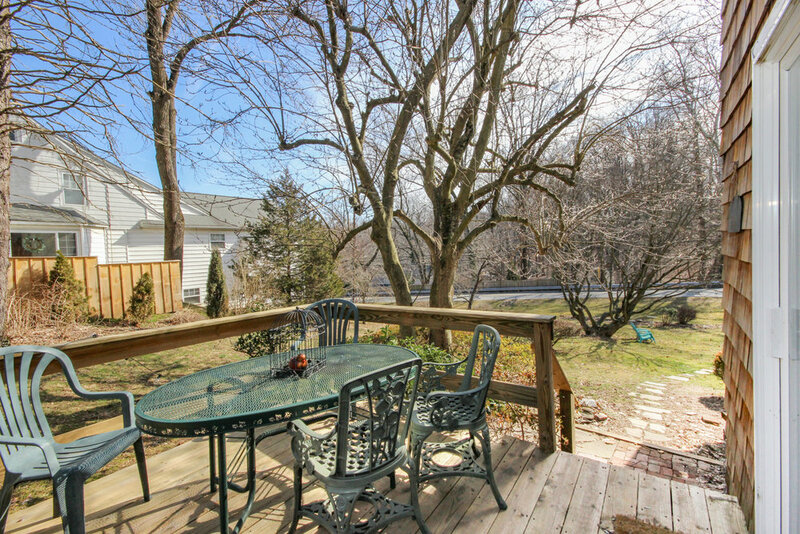 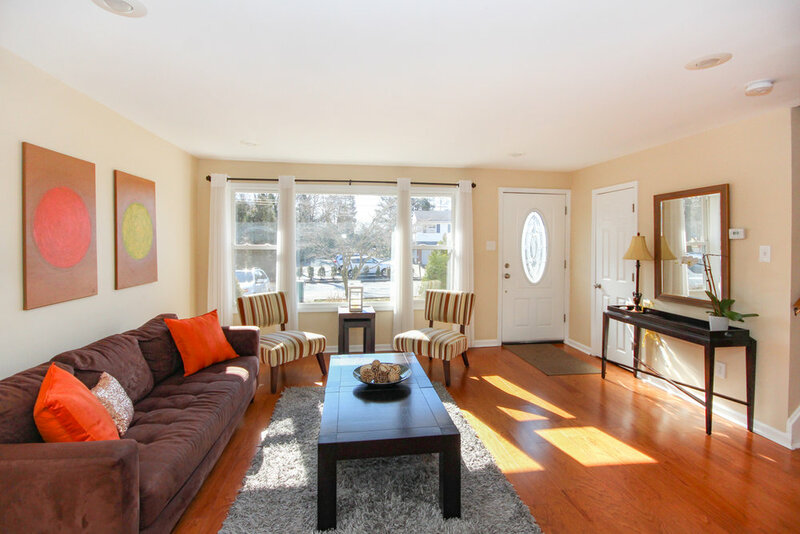 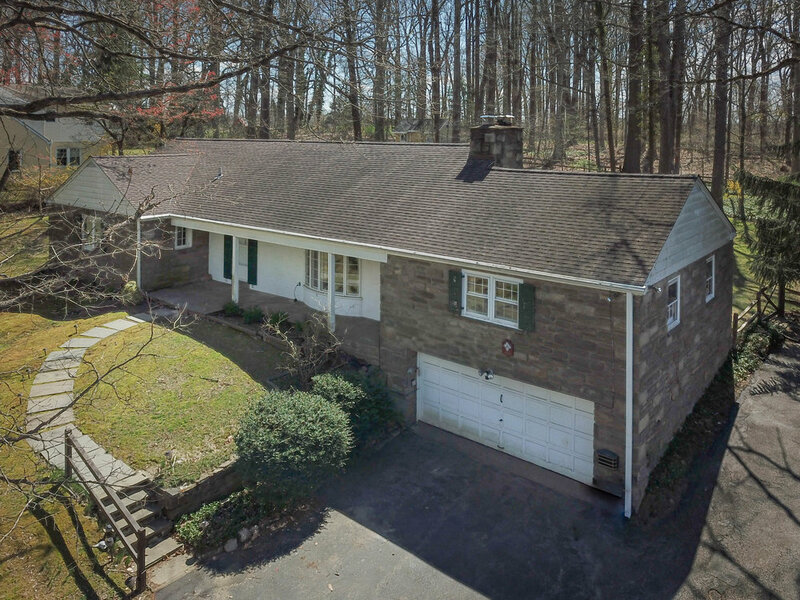 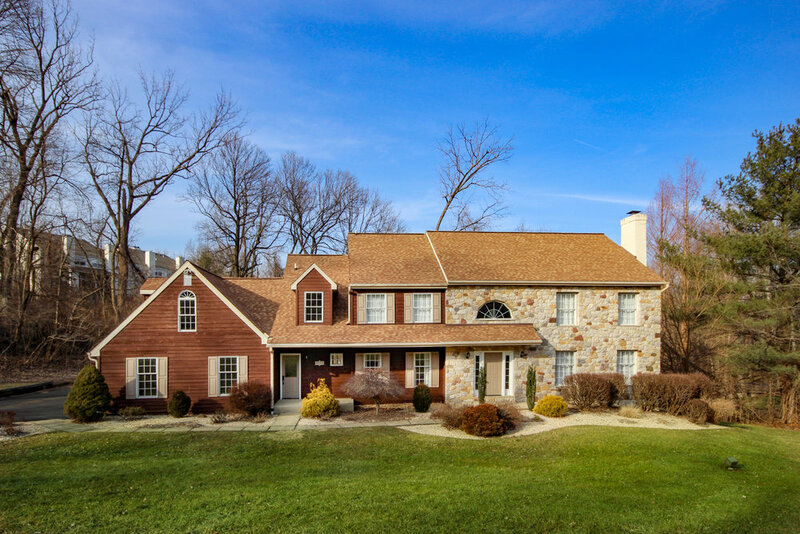 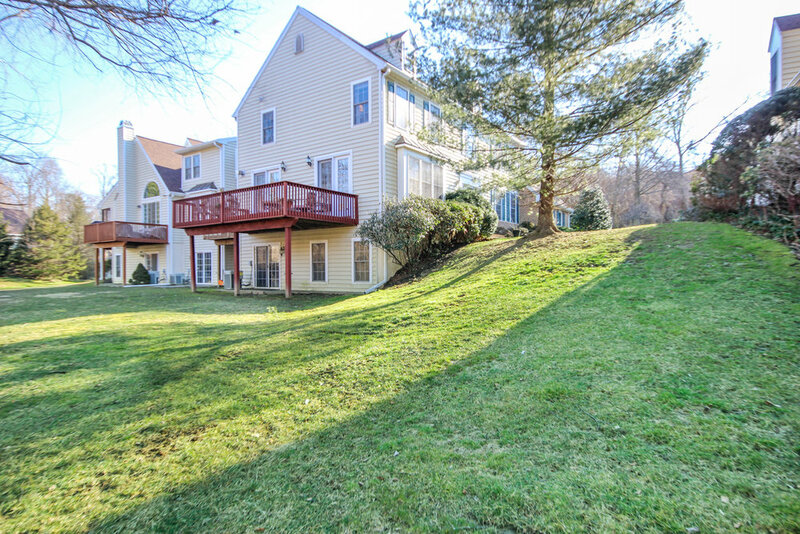 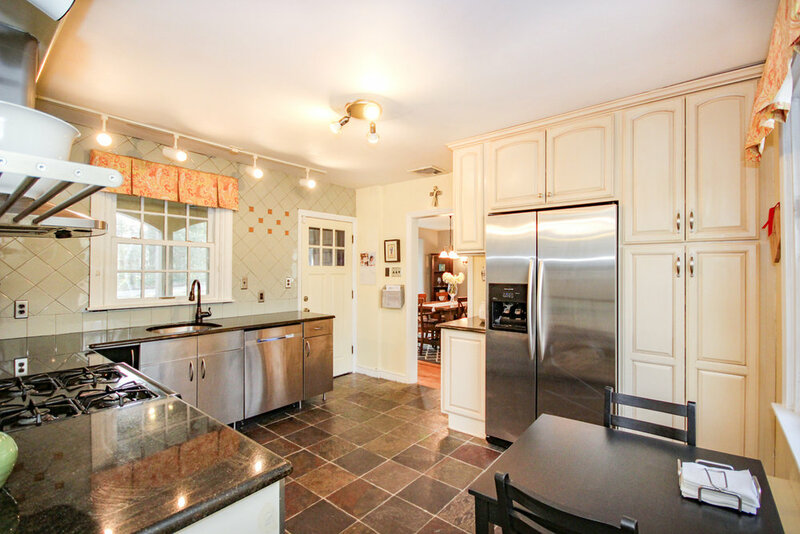 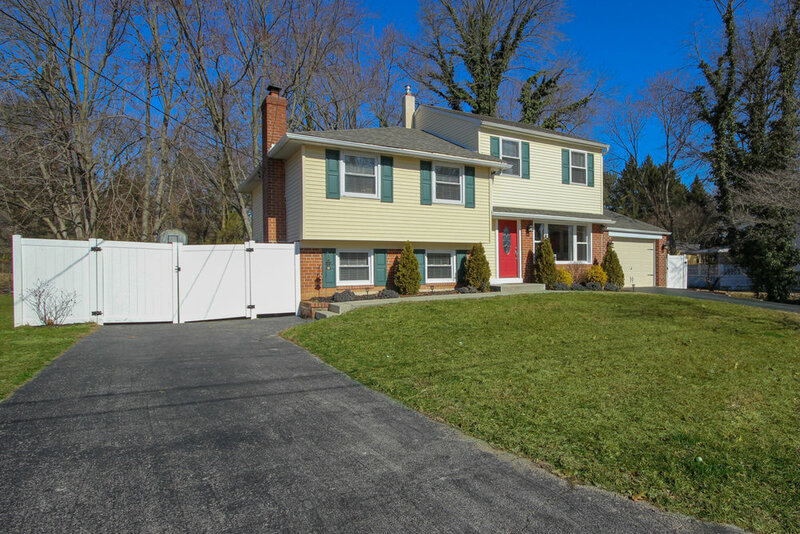 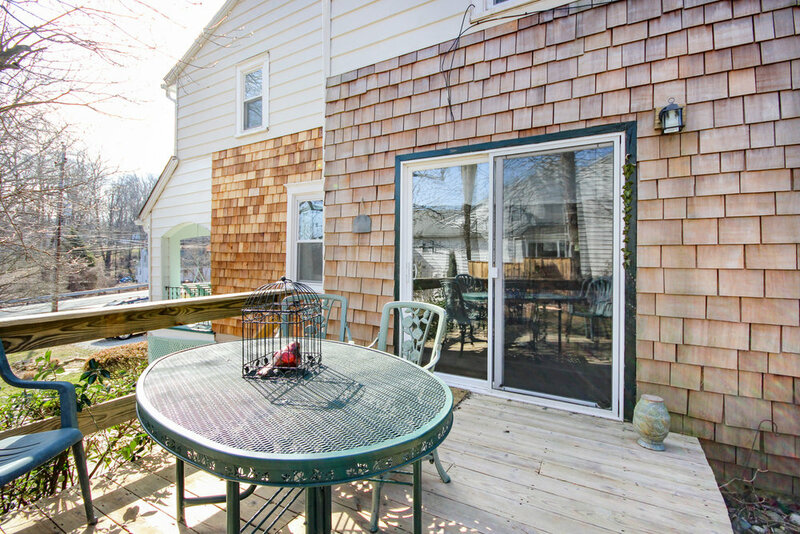 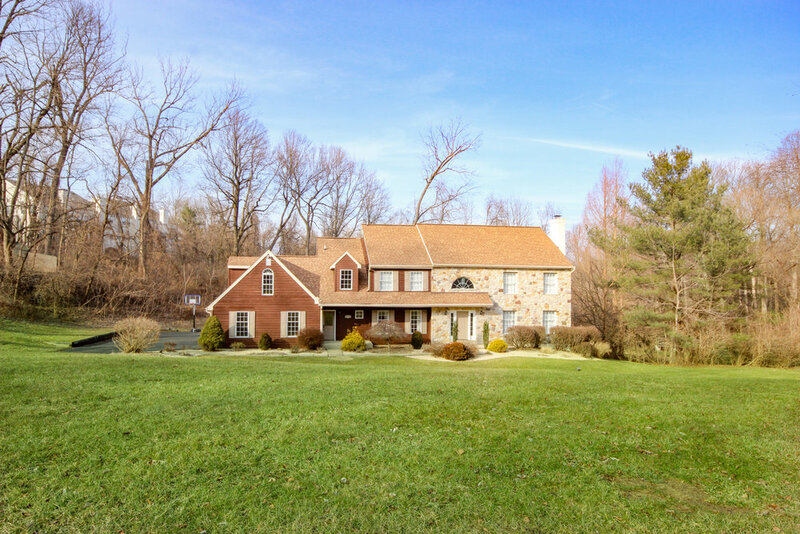 Also close to Baltimore Pike shops and restaurants and nearby parks while still being less than 5 miles I-476 and connections to all major roads. 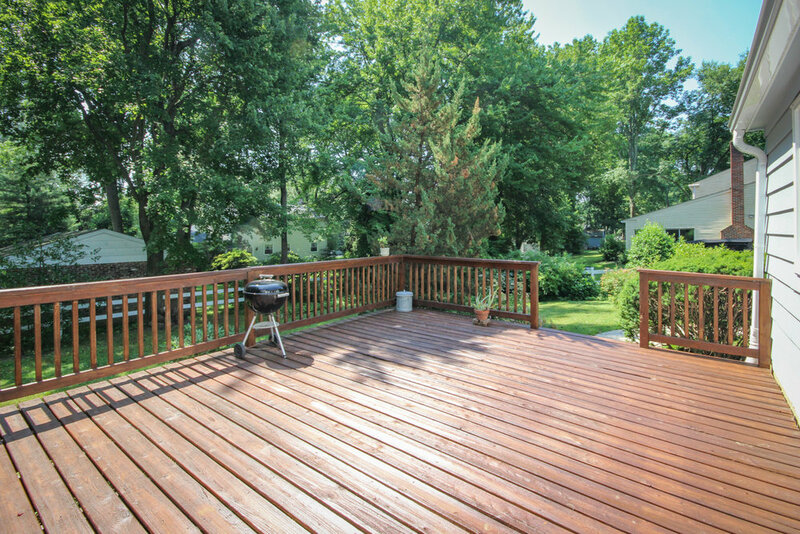 Check out Springfield Township website for a list of frequent neighborhood parades and local outdoor dining events. 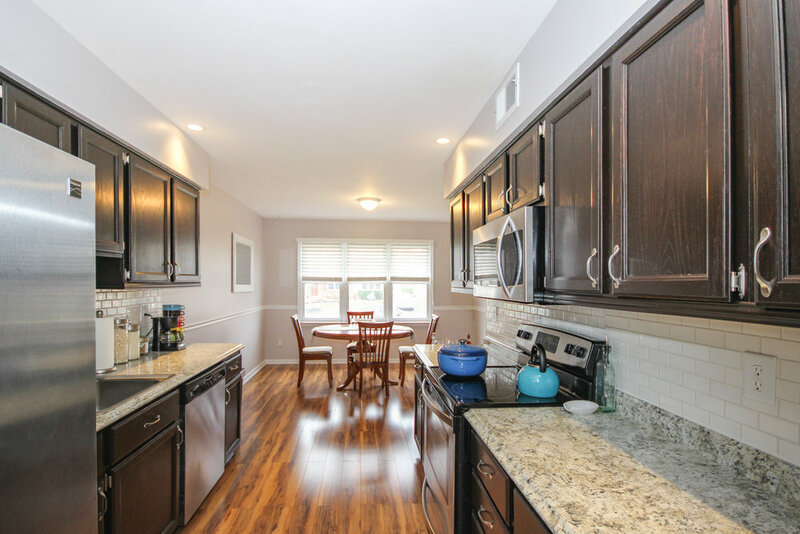 This 3 bedroom, 2.5 bathroom end unit townhome in the community of Trotter’s Lea is fully updated and ready for new owners to move right in! 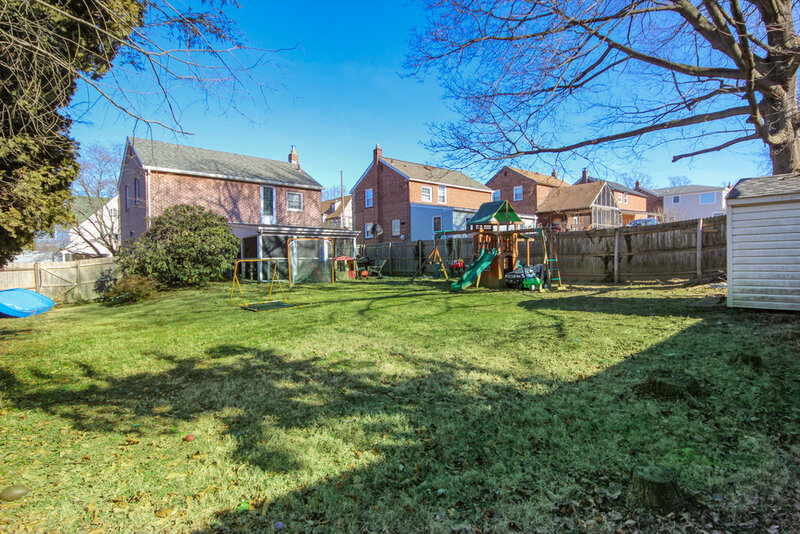 Park in the private driveway or garage and enter the welcoming entrance hall. 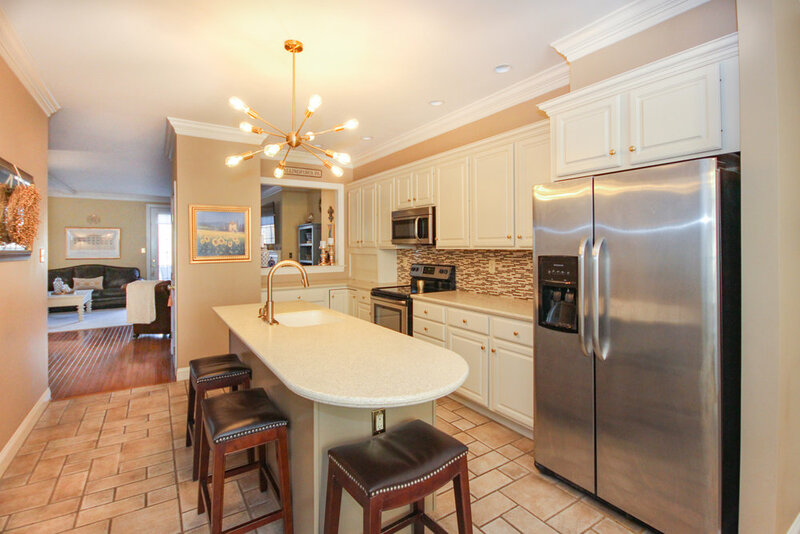 The home opens into a nice sized dining area and beautiful galley kitchen with granite counters, energy efficient appliances and hardwood flooring. 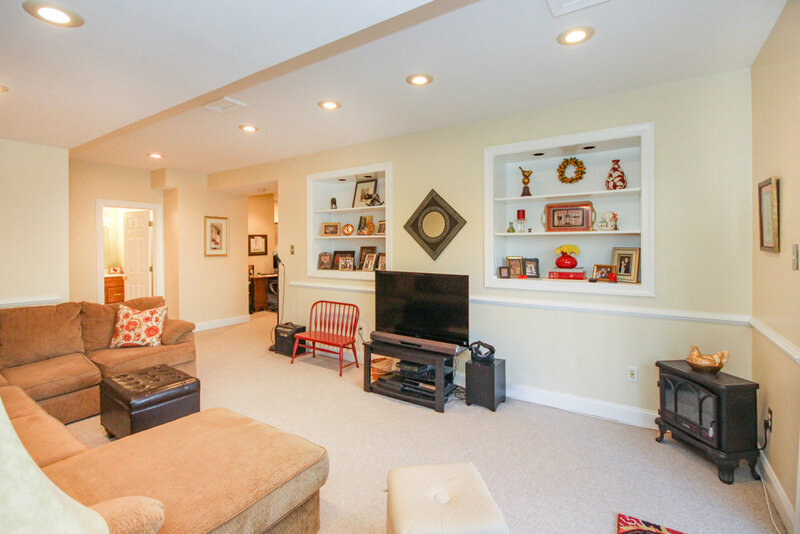 The entire back of the home is an open living space with gas fireplace, slider doors to the back deck, and wall to wall carpeting. 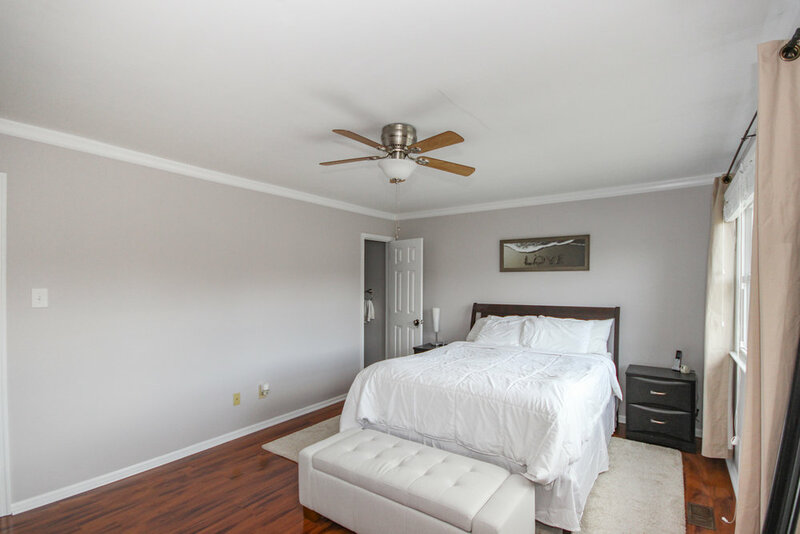 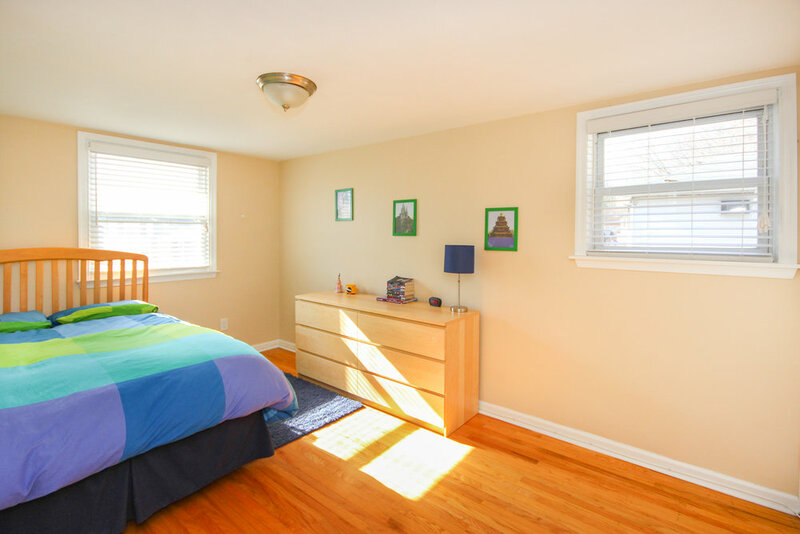 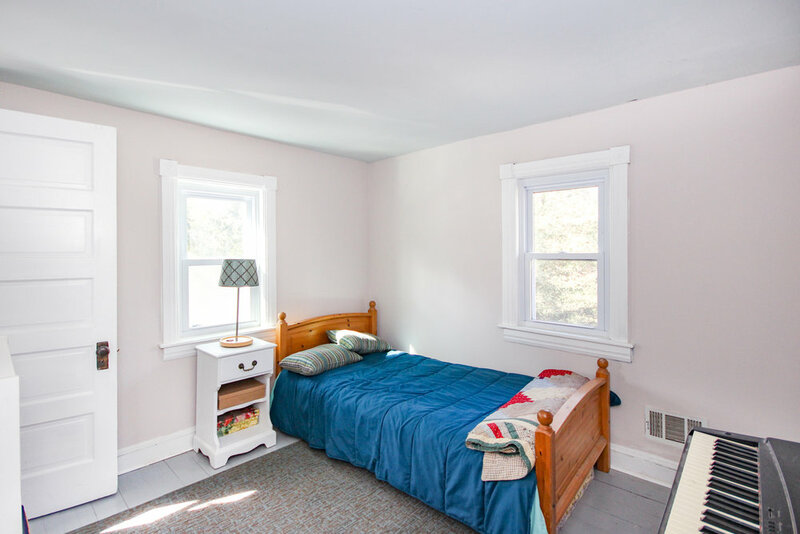 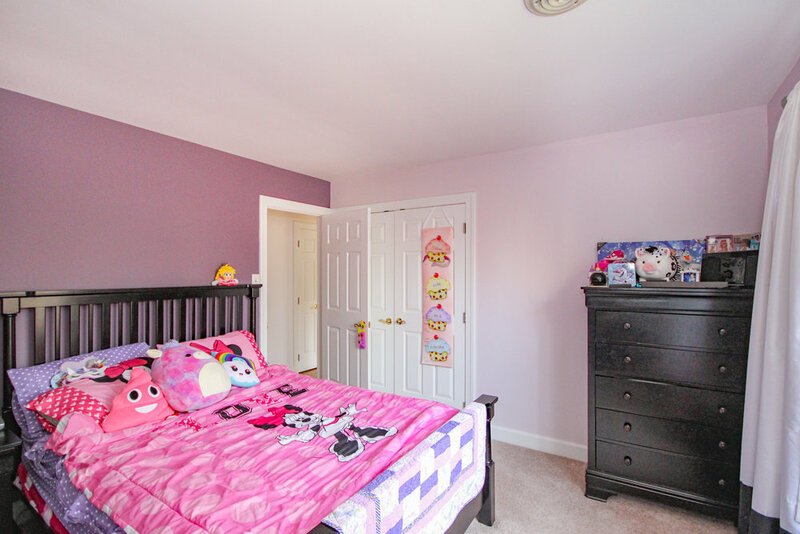 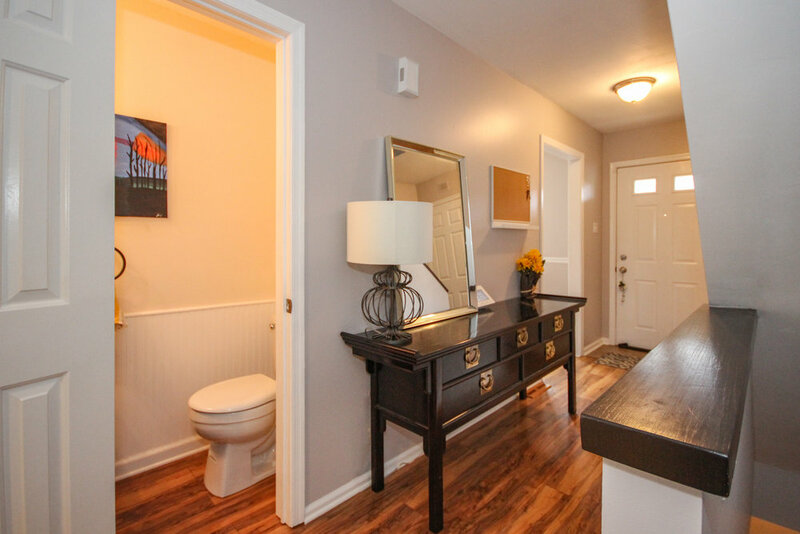 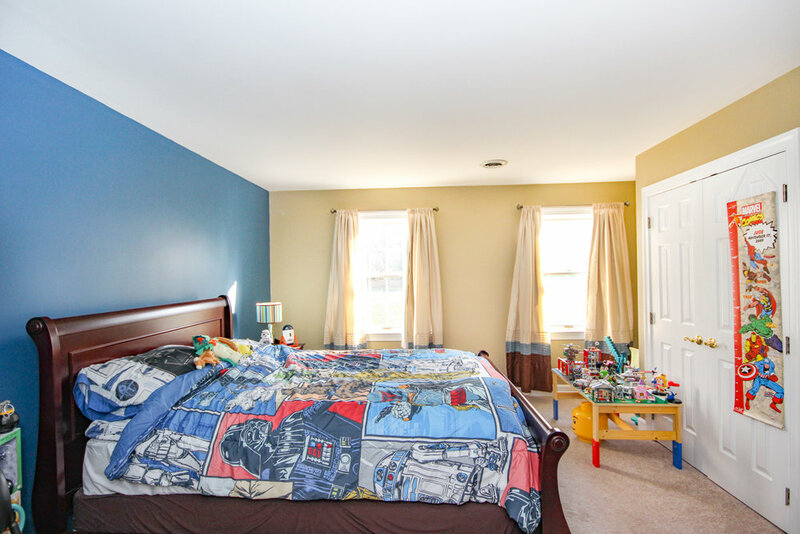 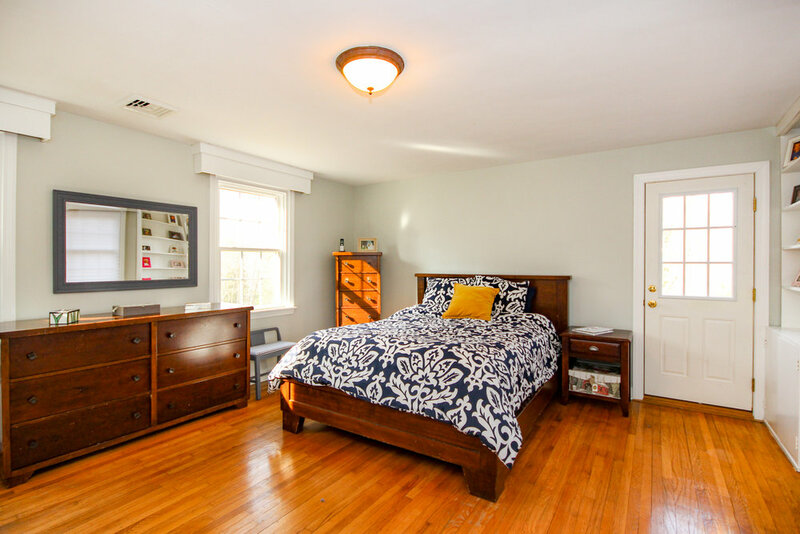 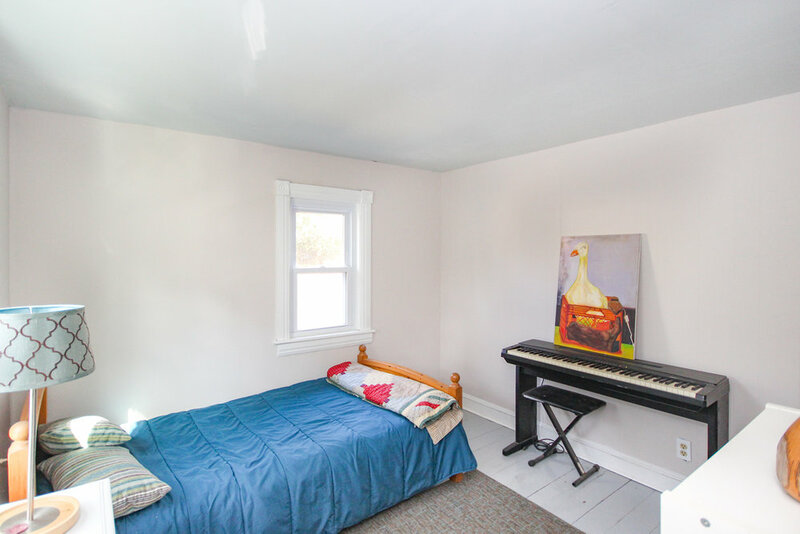 Upstairs, the master bedroom is also finished with hardwood flooring and includes an en suite bathroom. 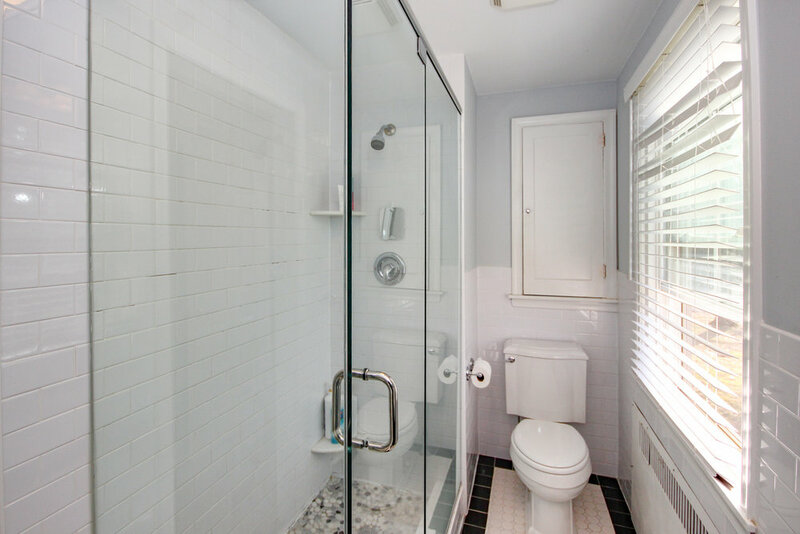 Bathroom has new vanity and large shower with glass doors. 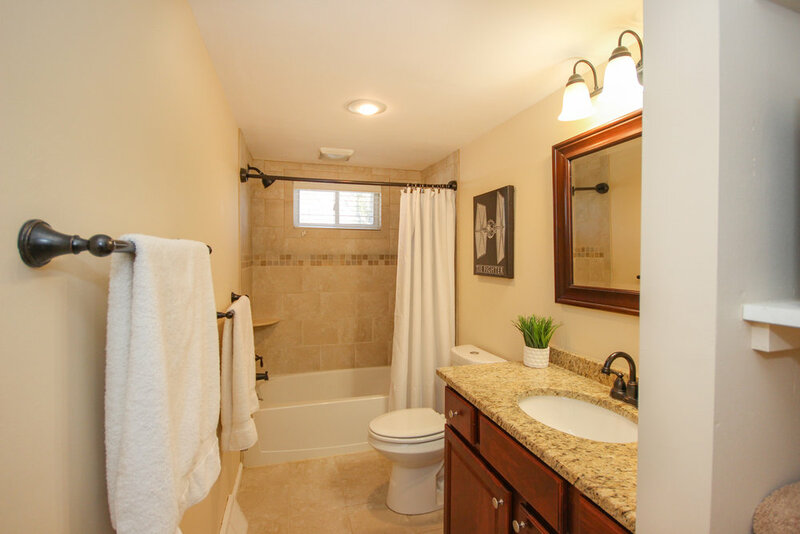 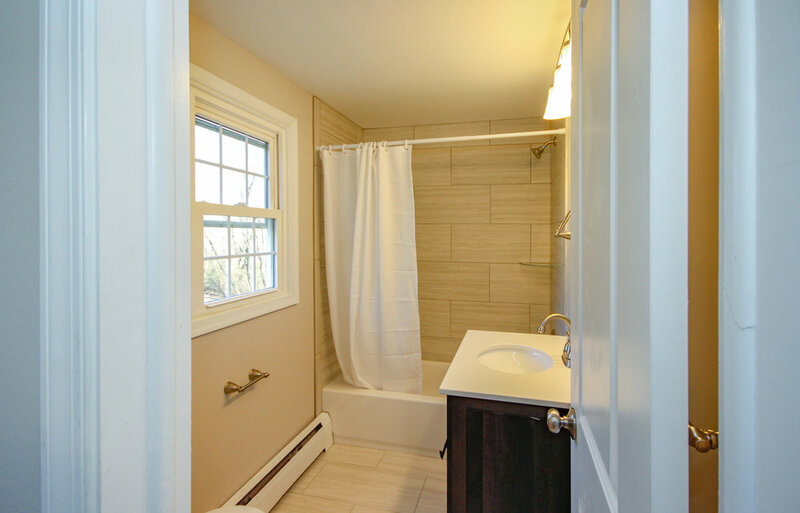 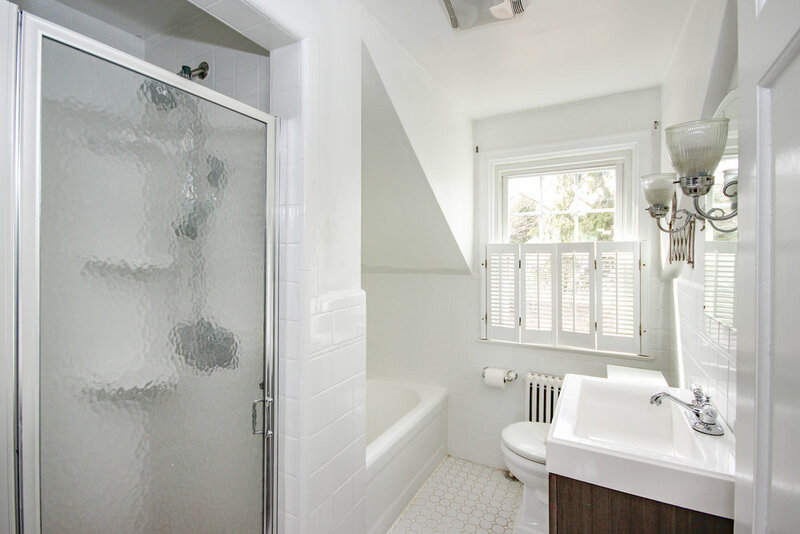 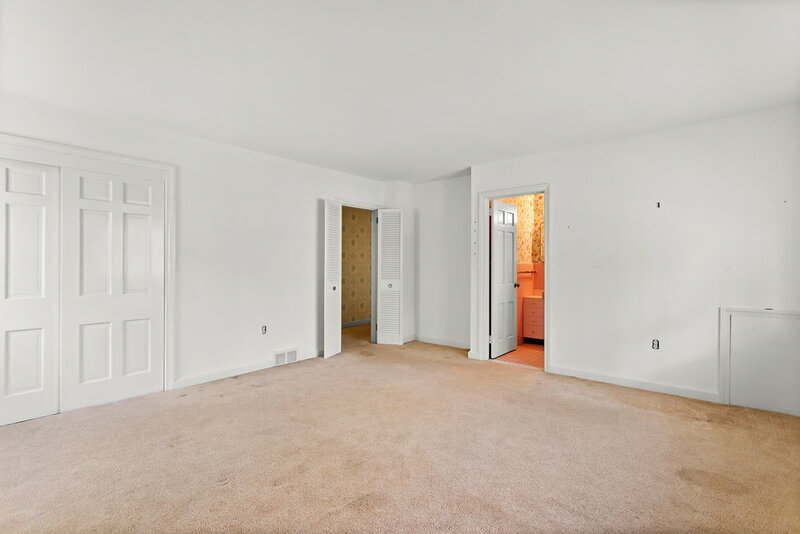 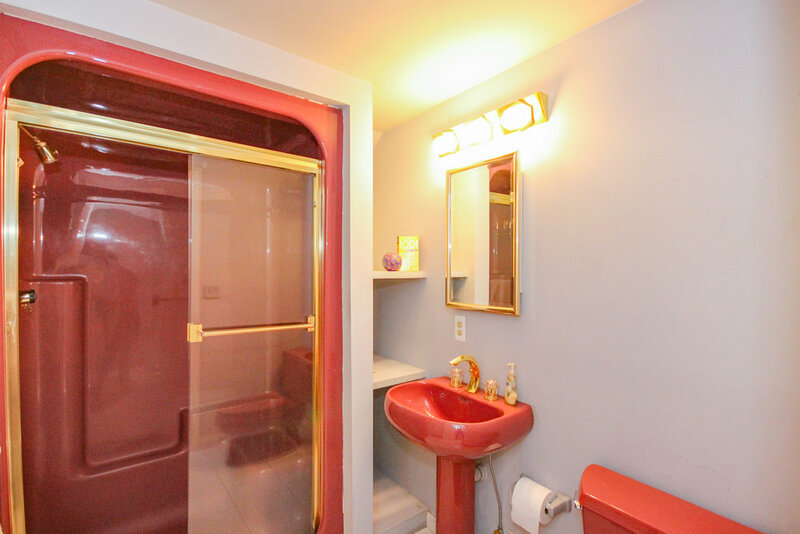 The remaining two bedrooms are separated from the master by a bright hall bath with tub surround. 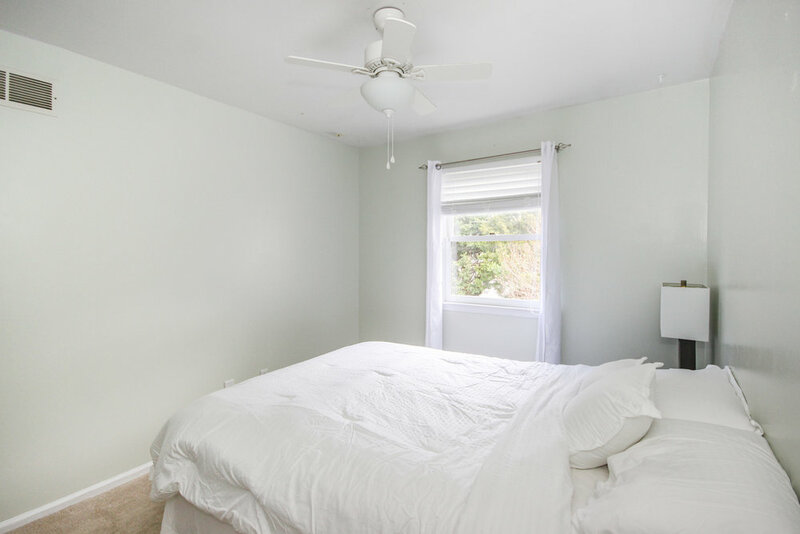 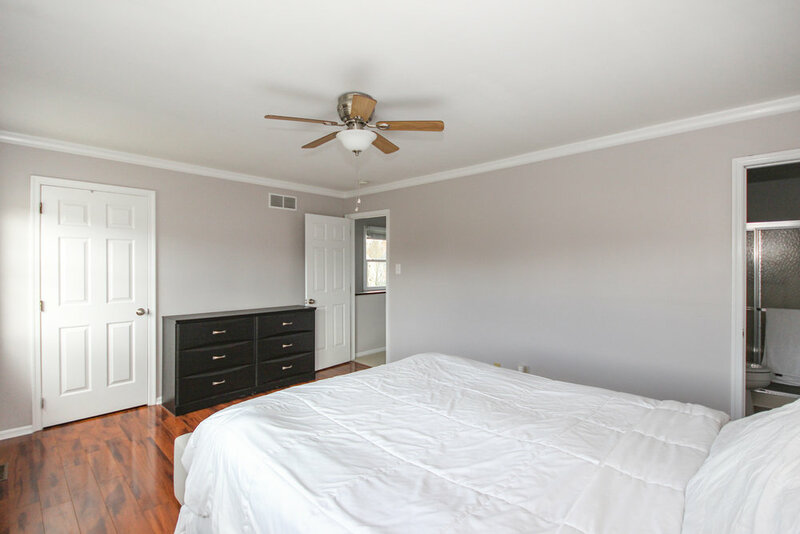 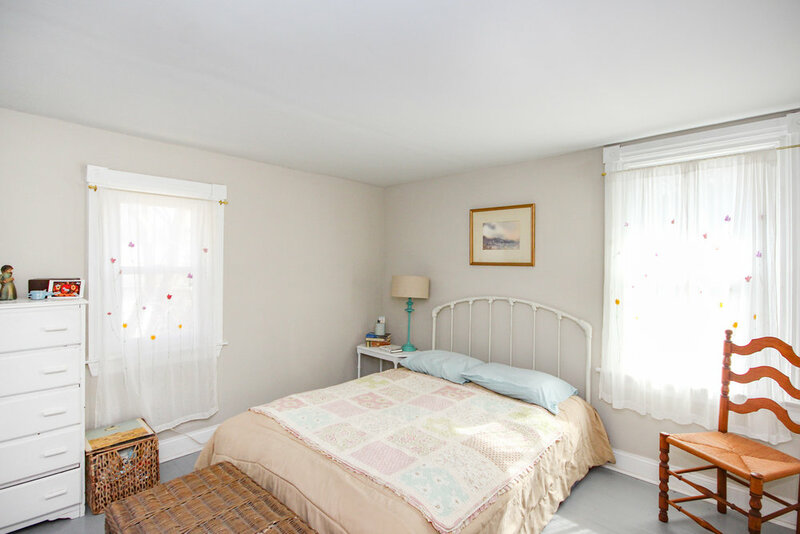 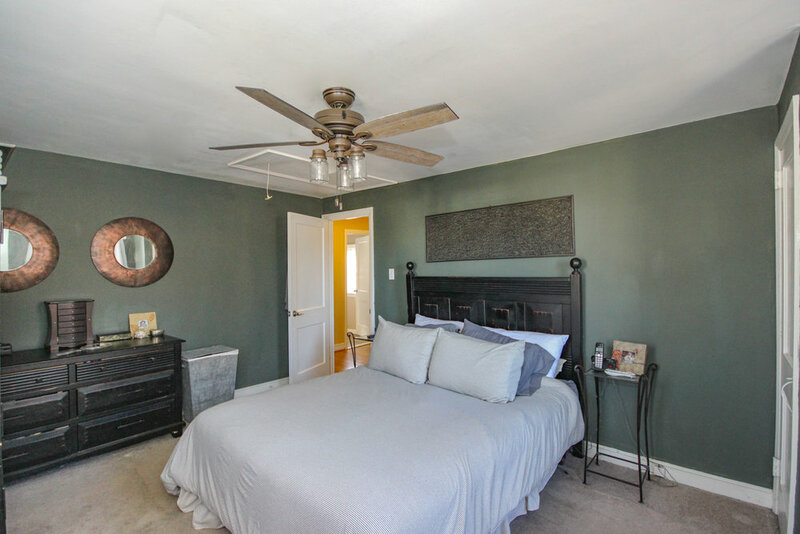 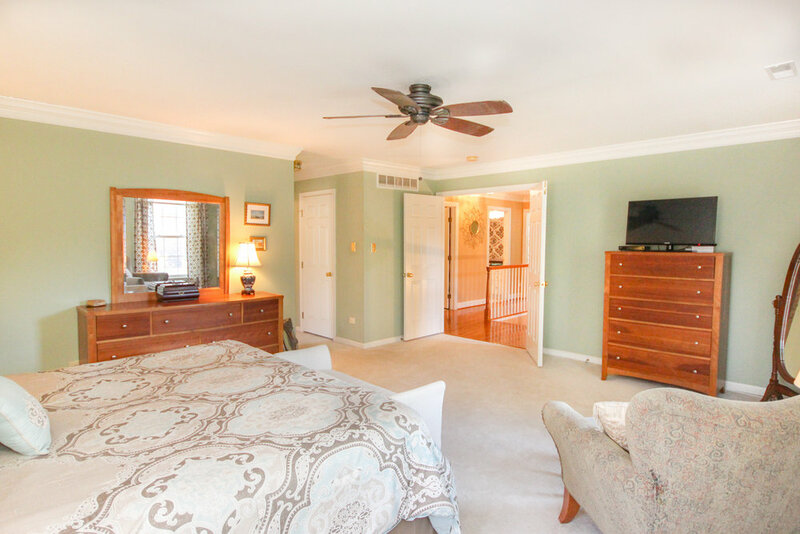 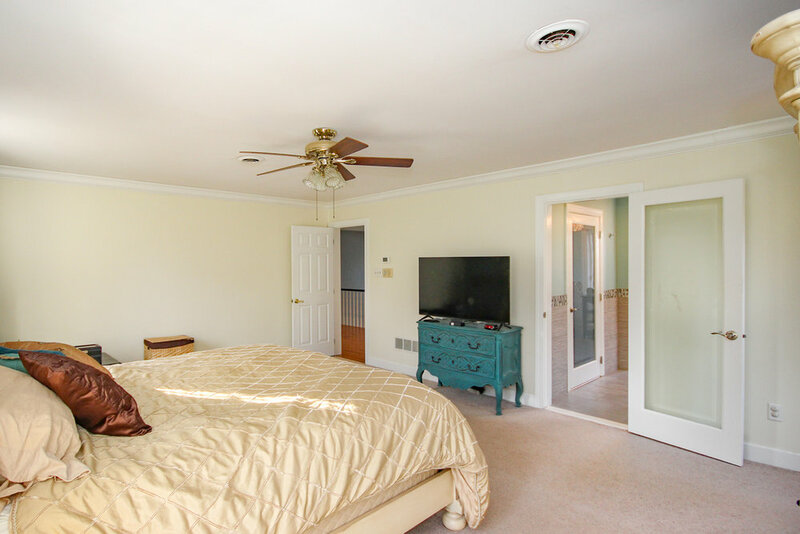 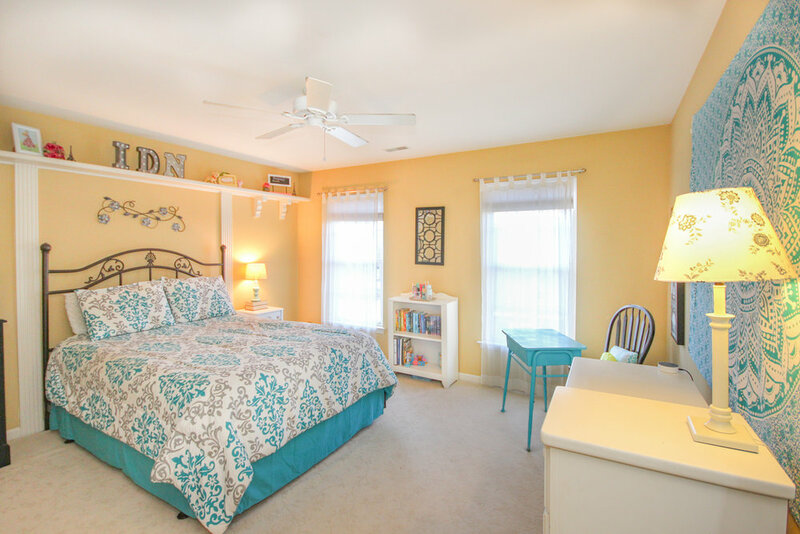 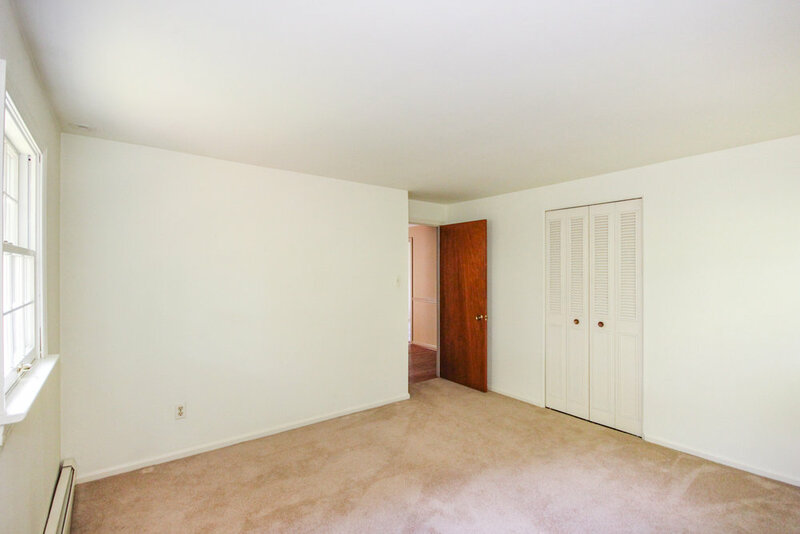 All bedrooms have lighted ceiling fans and pottery barn paint colors. 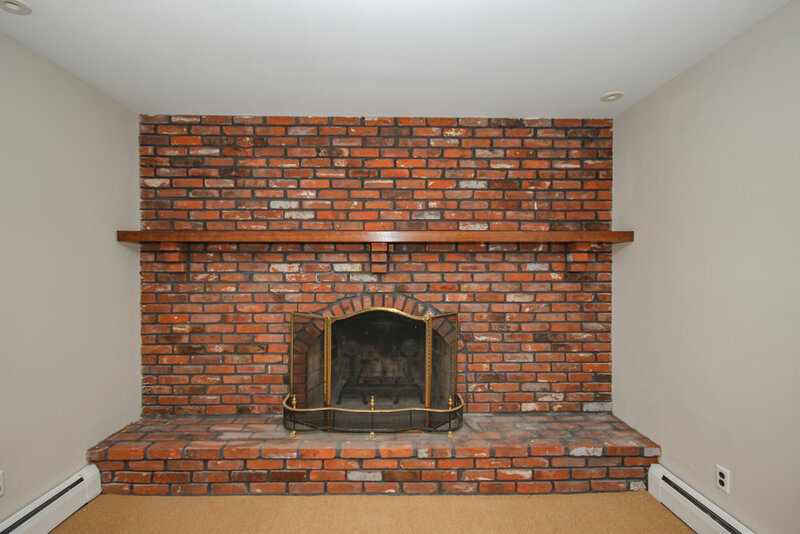 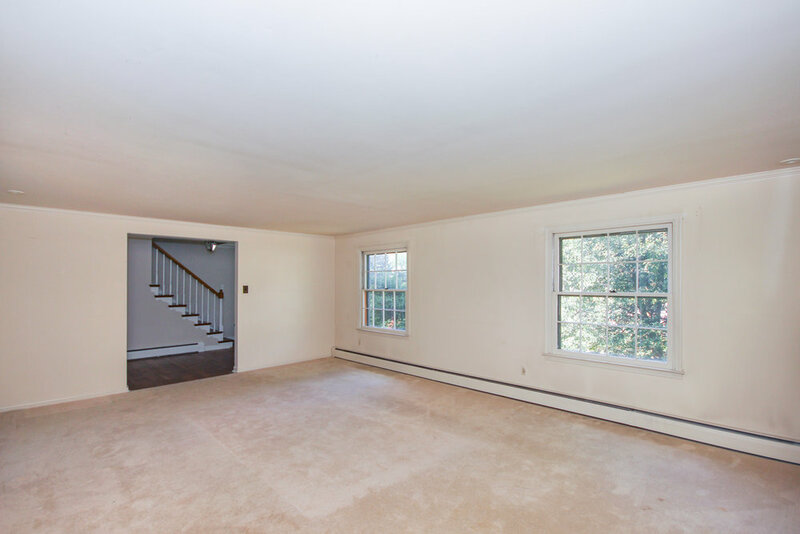 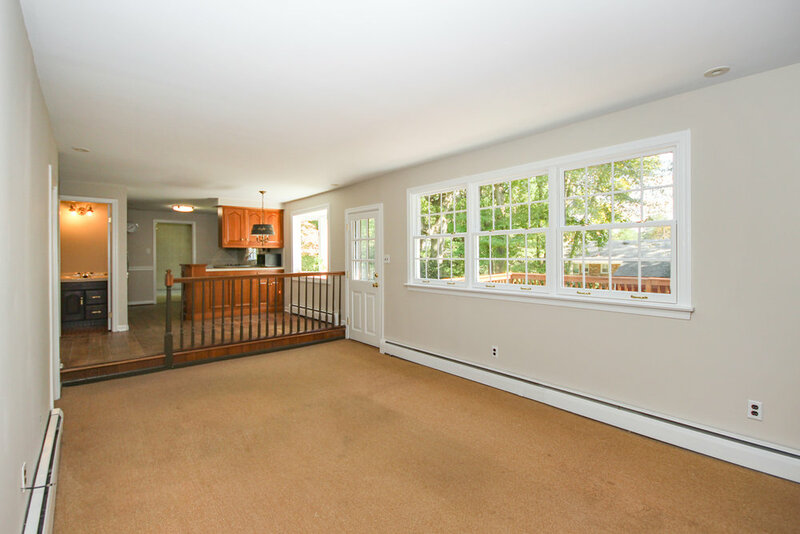 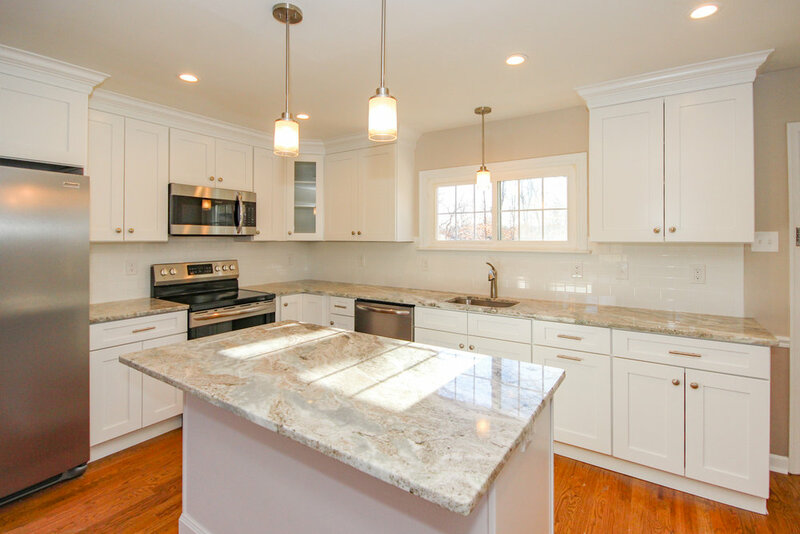 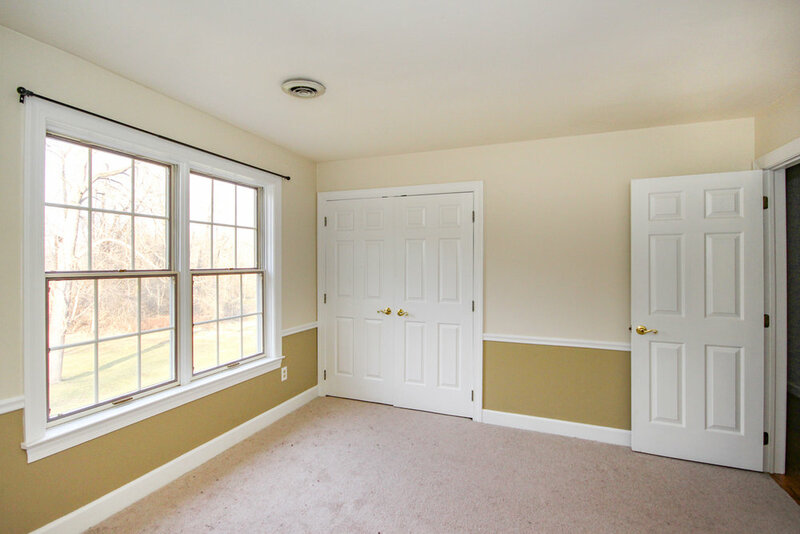 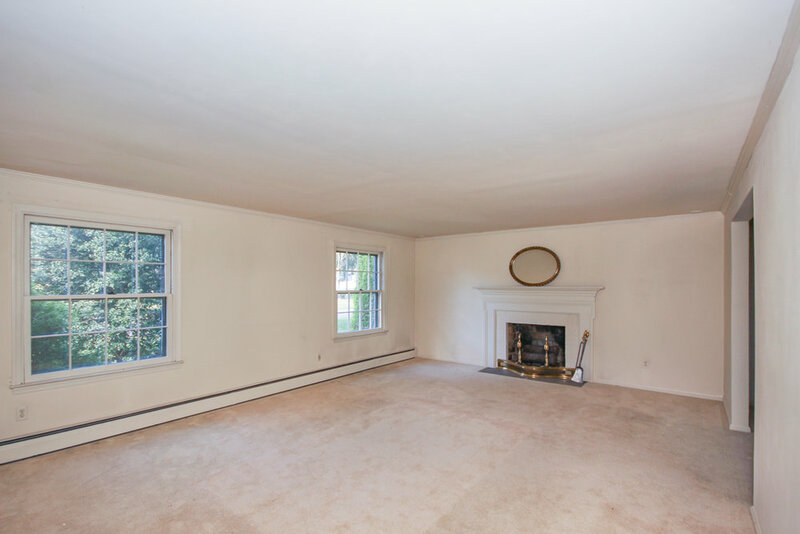 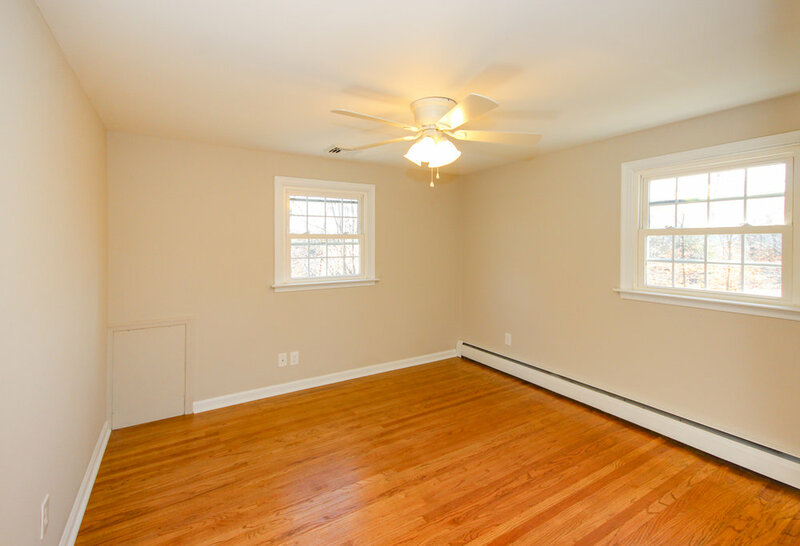 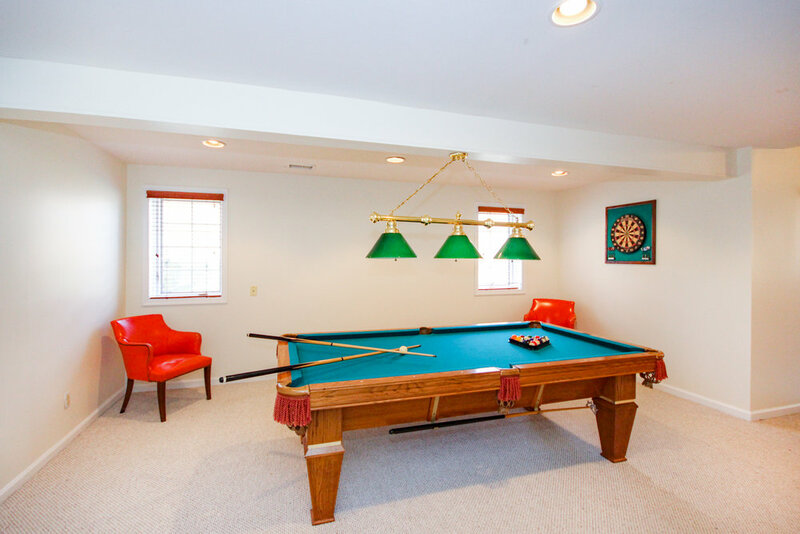 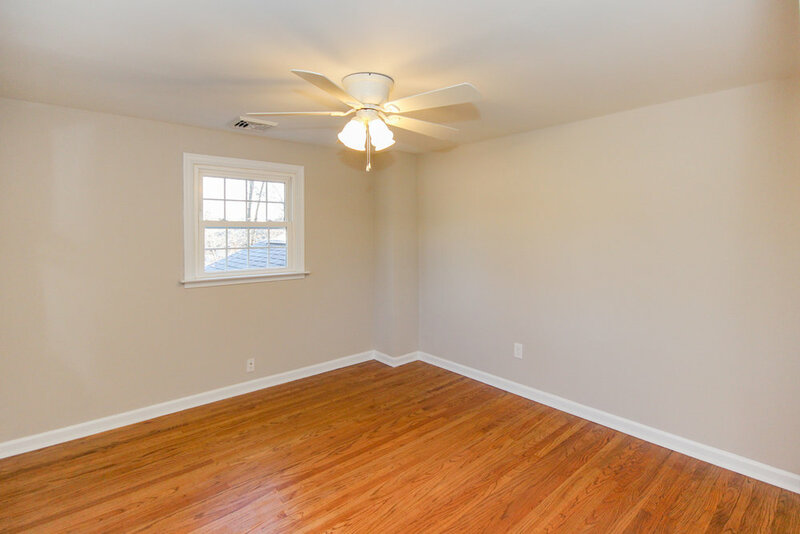 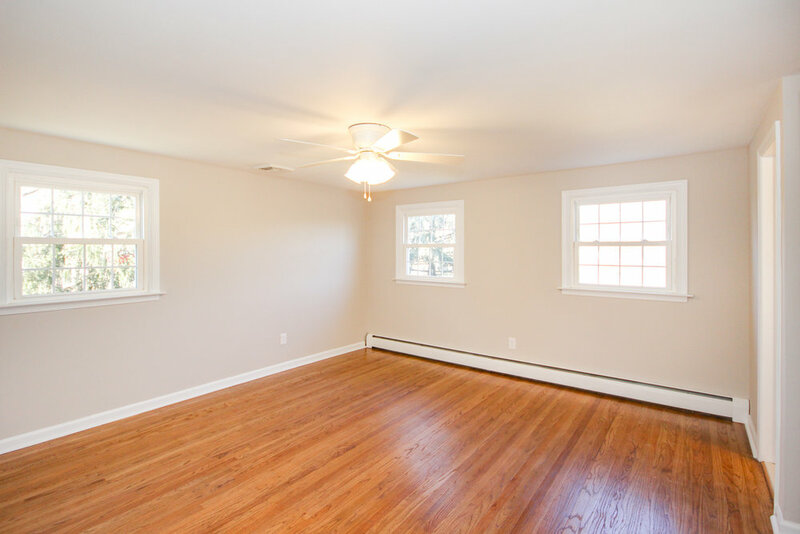 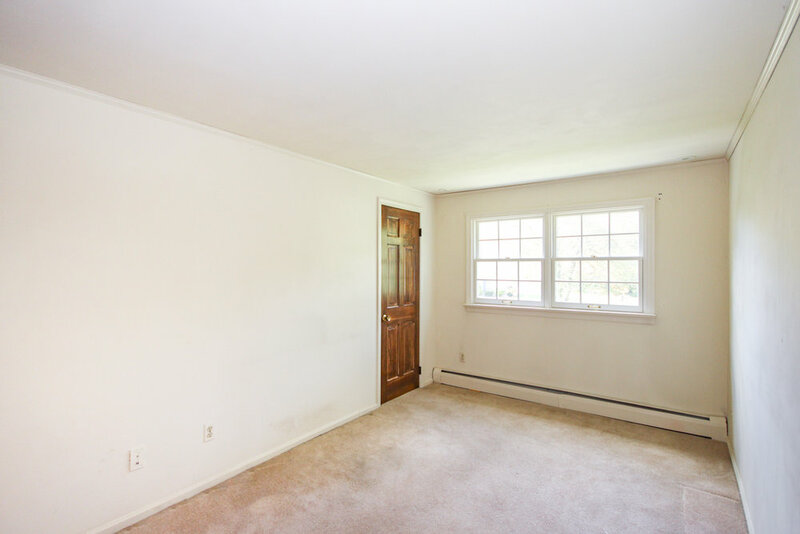 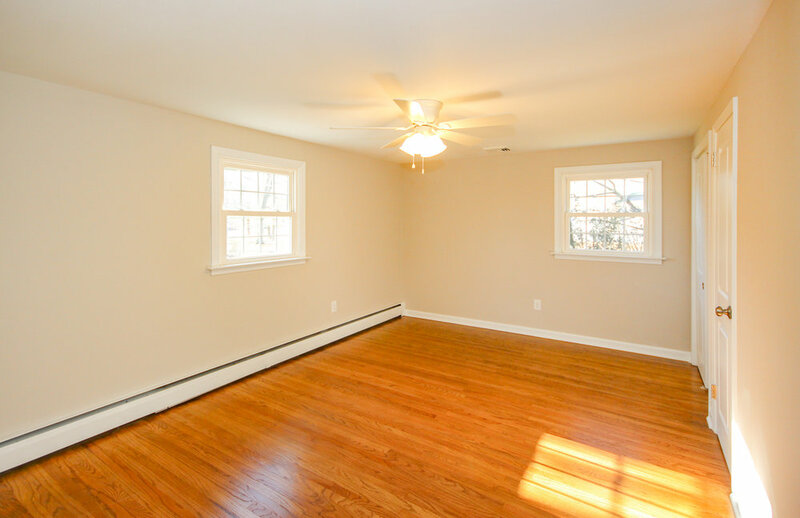 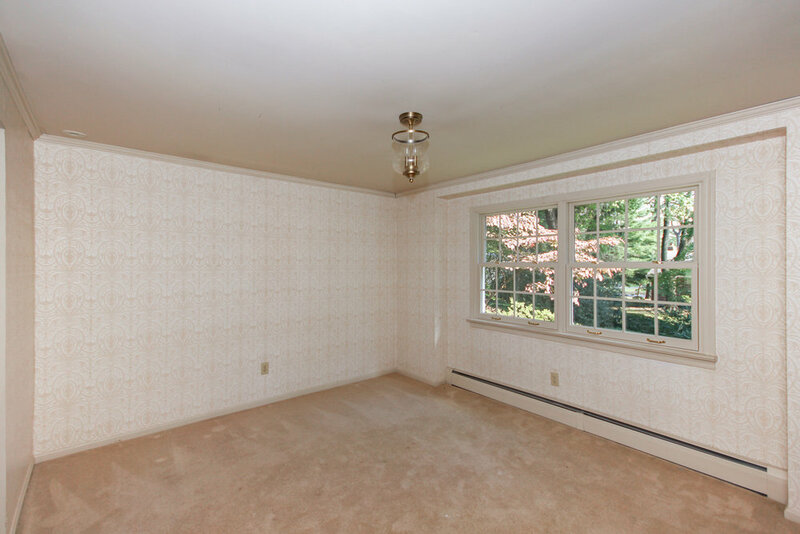 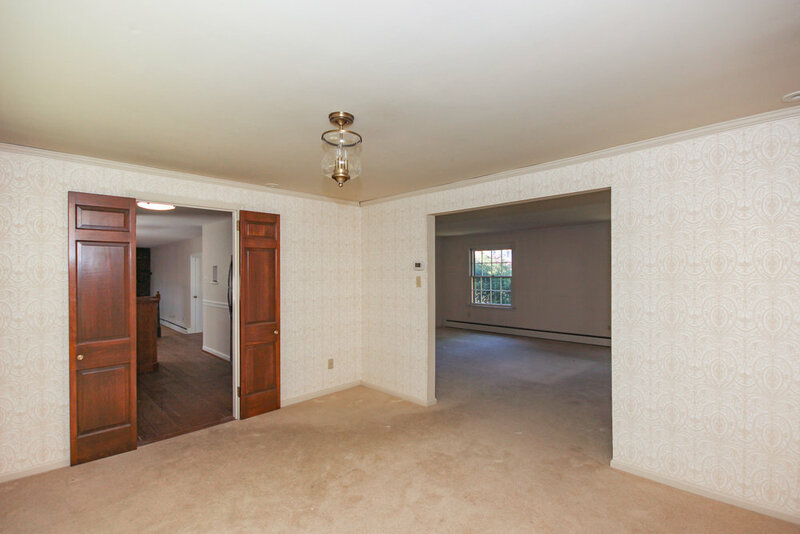 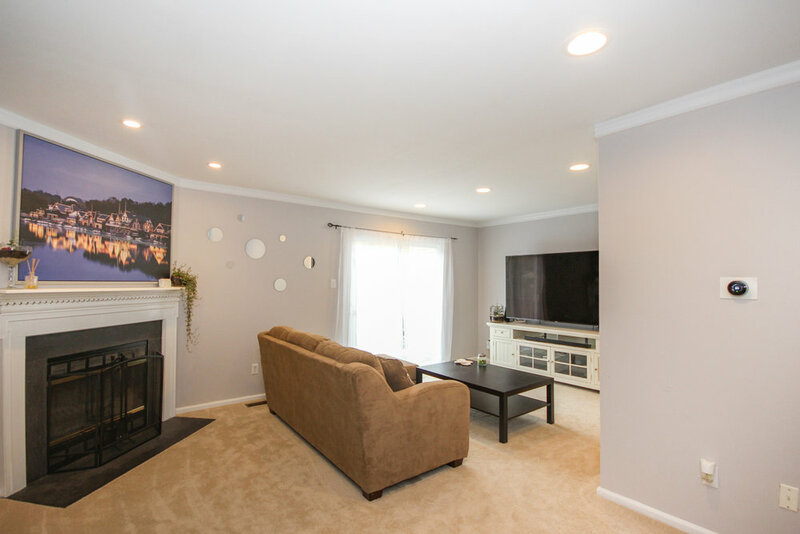 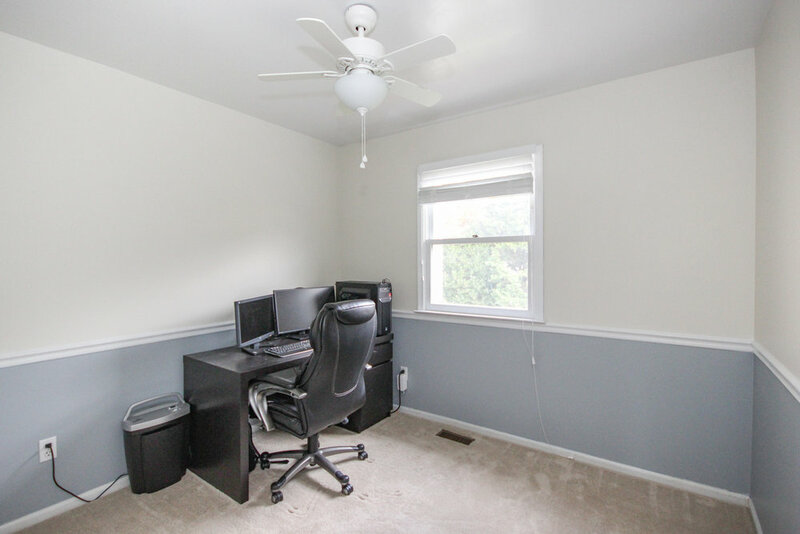 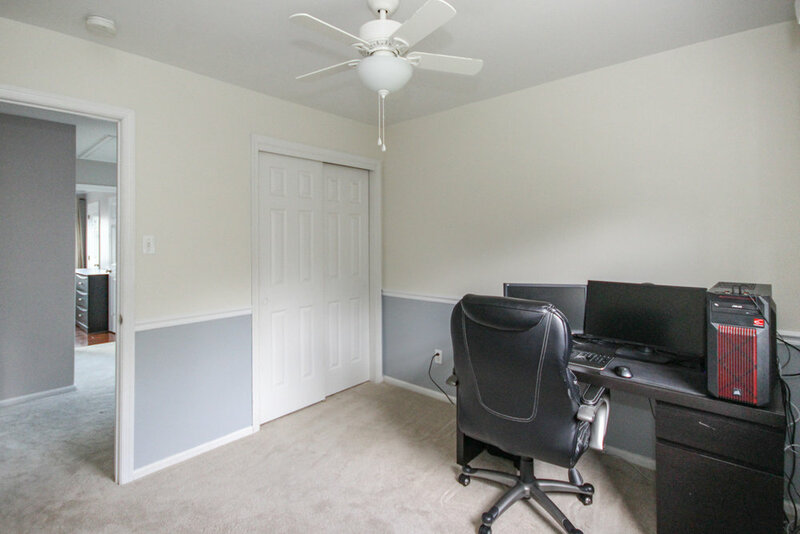 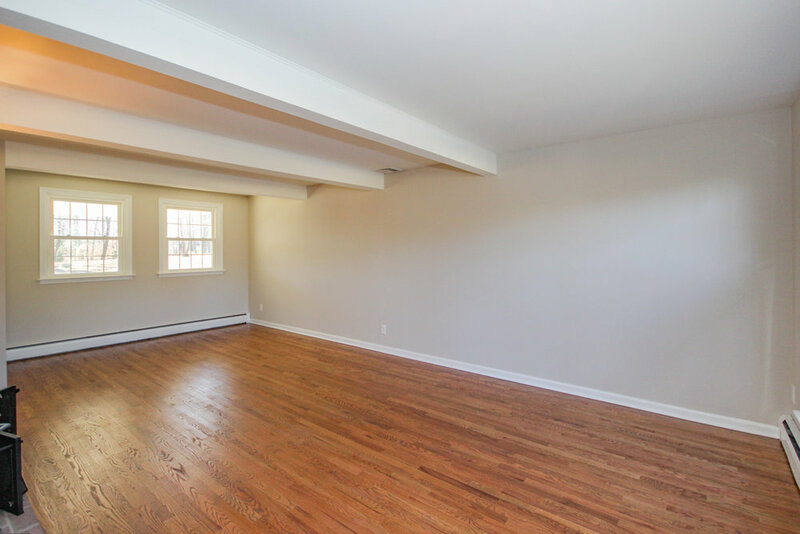 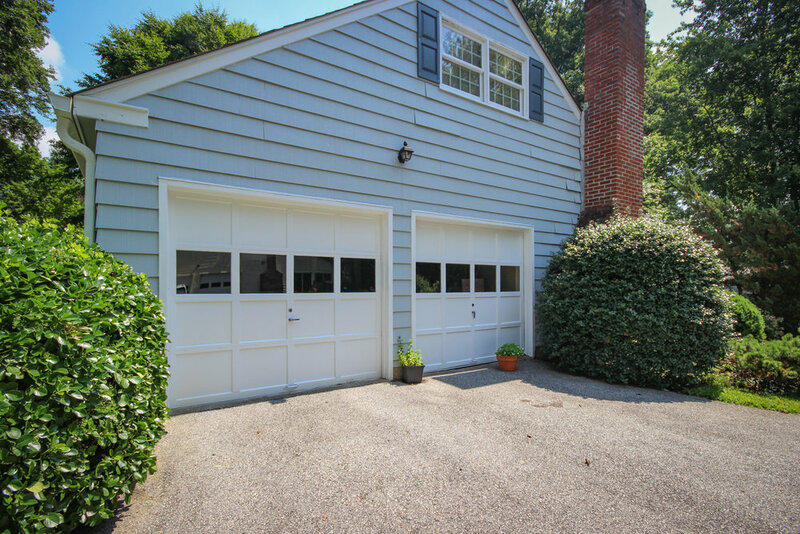 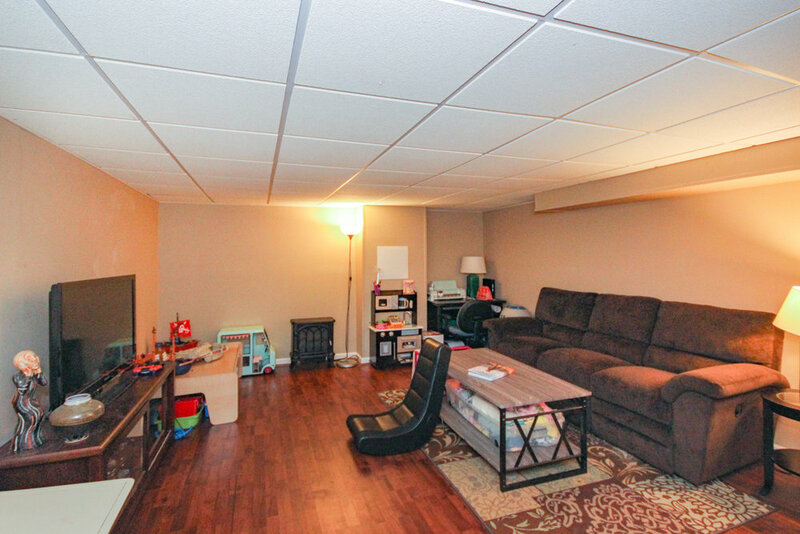 Plenty of additional living space is found in the finished basement with ceramic flooring and separate office space. 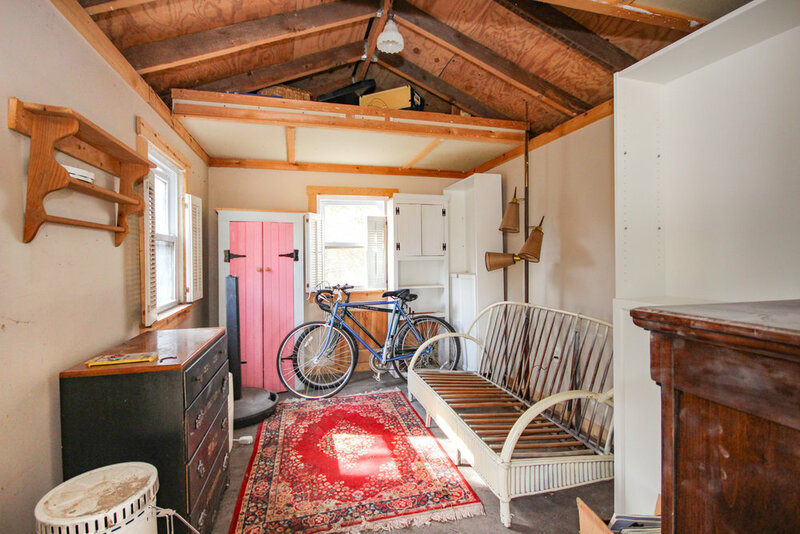 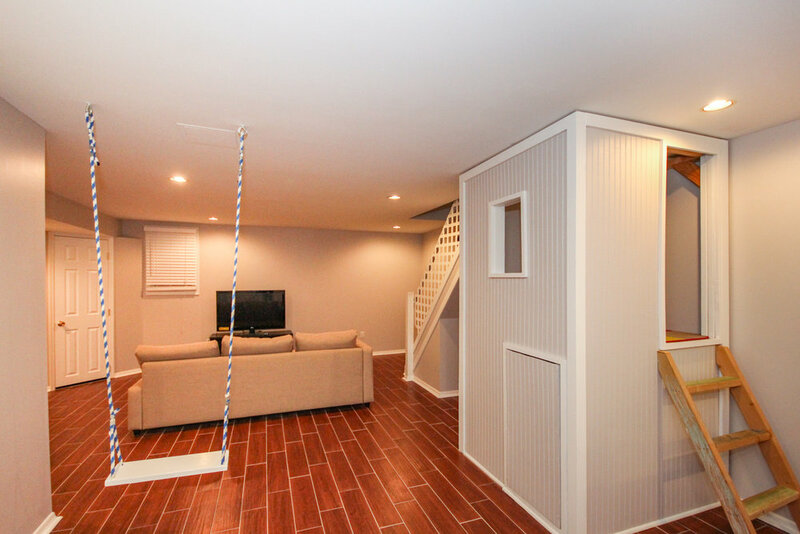 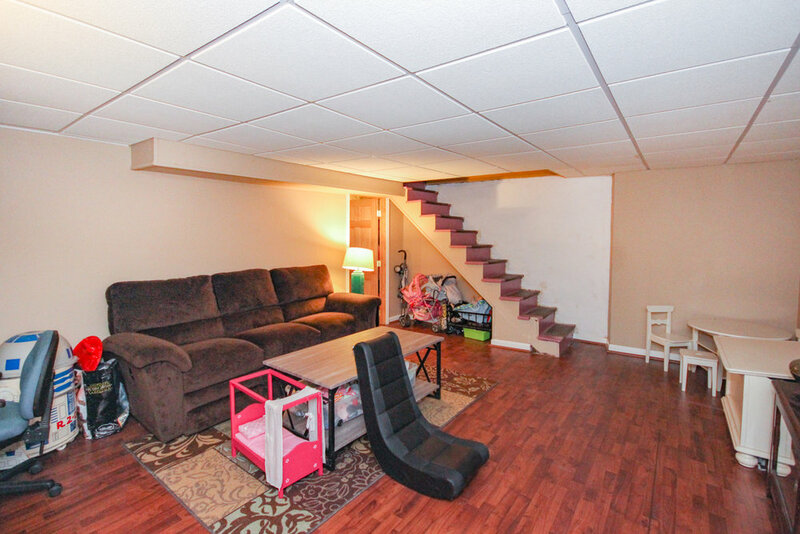 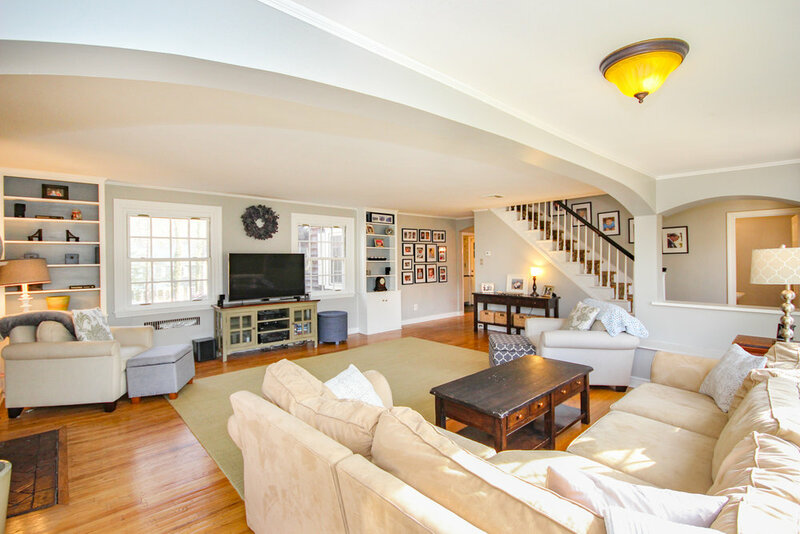 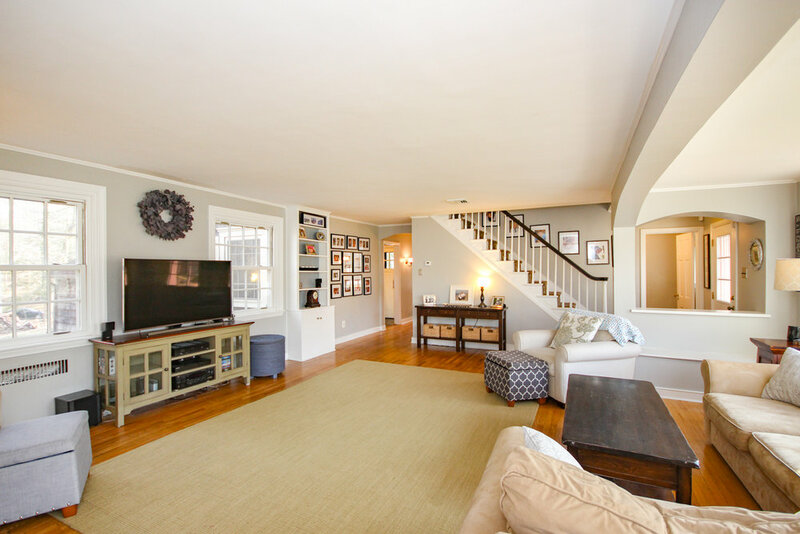 Area under the stairs is converted into additional storage, or a tiny clubhouse for kids! 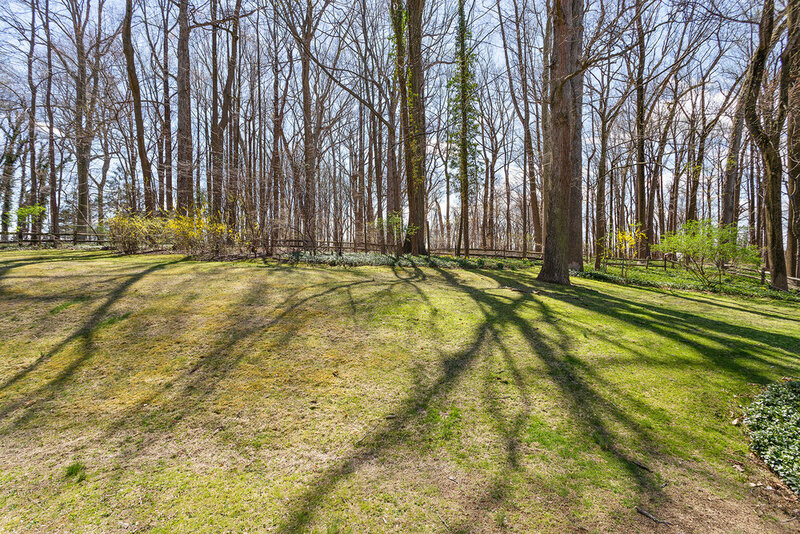 Backyard blends into the large side yard for excellent outdoor living. 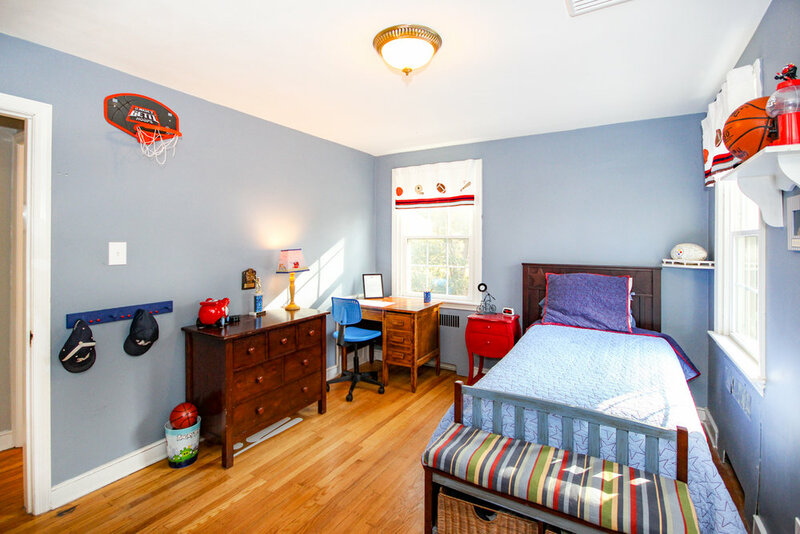 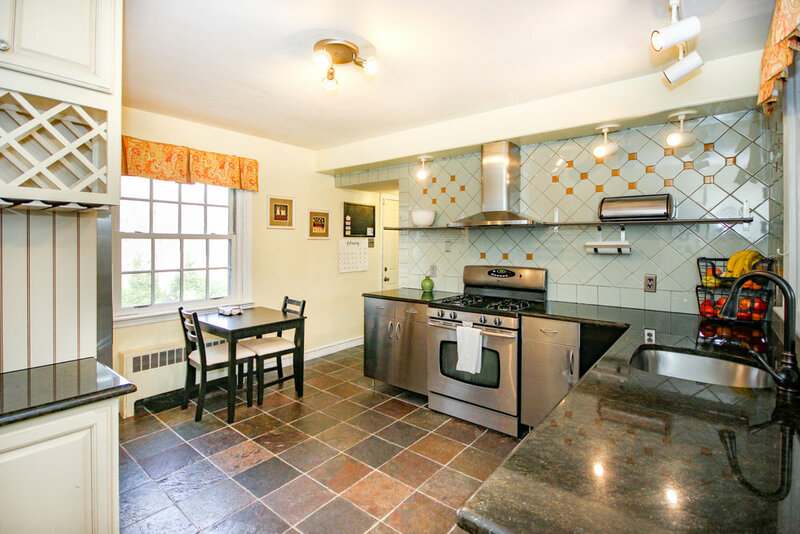 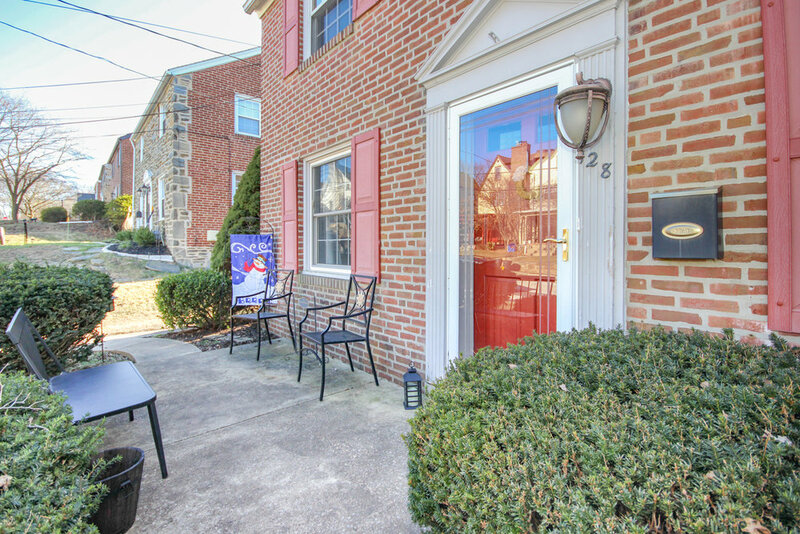 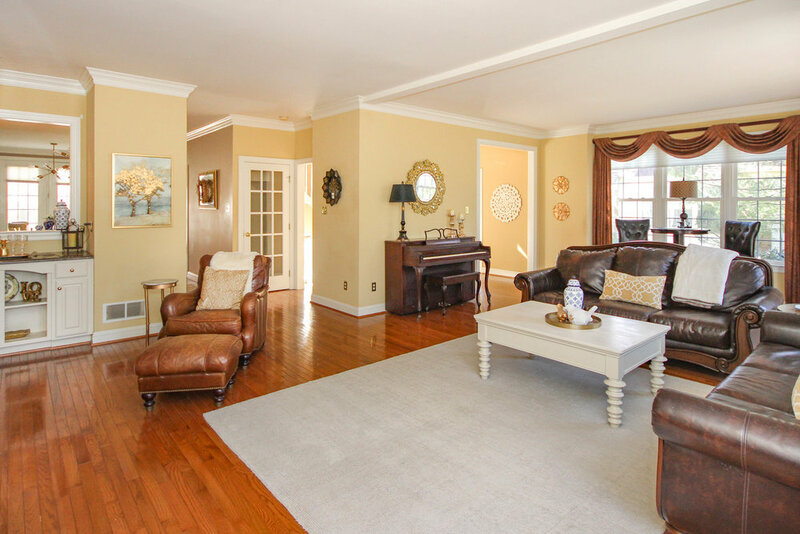 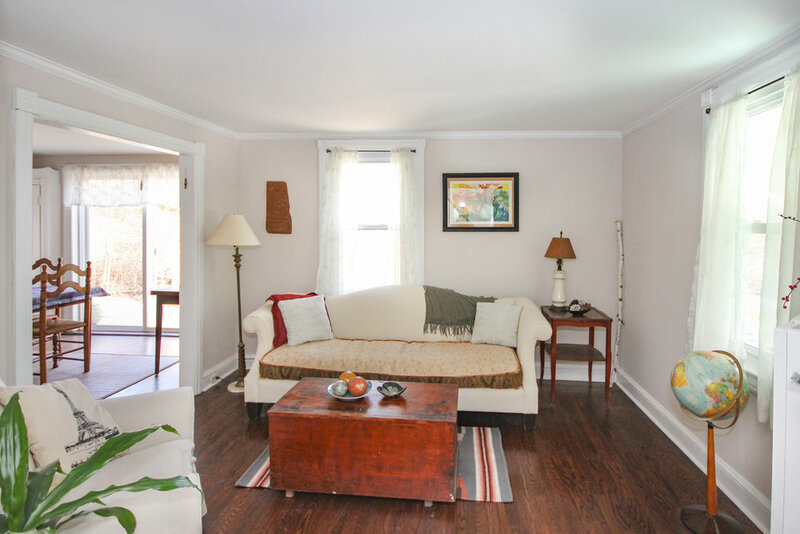 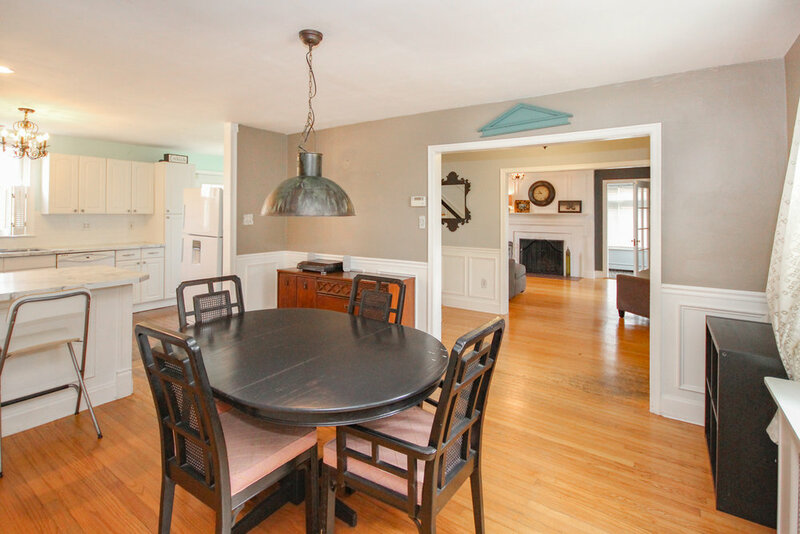 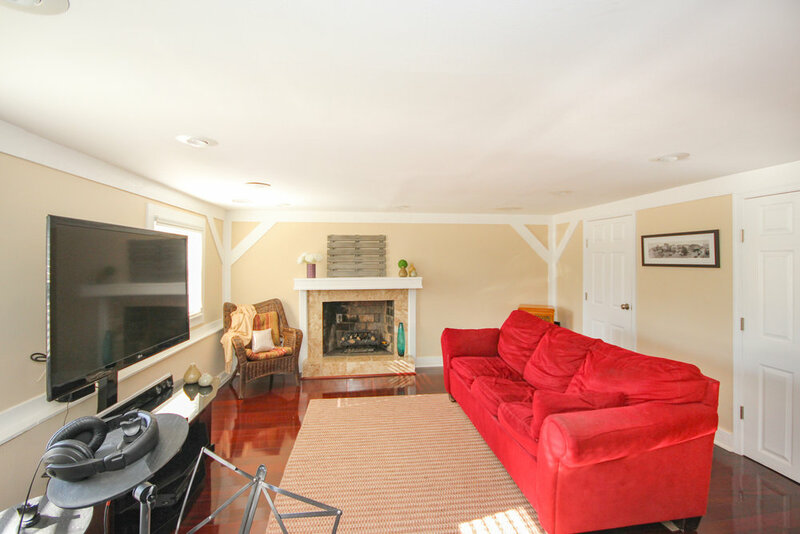 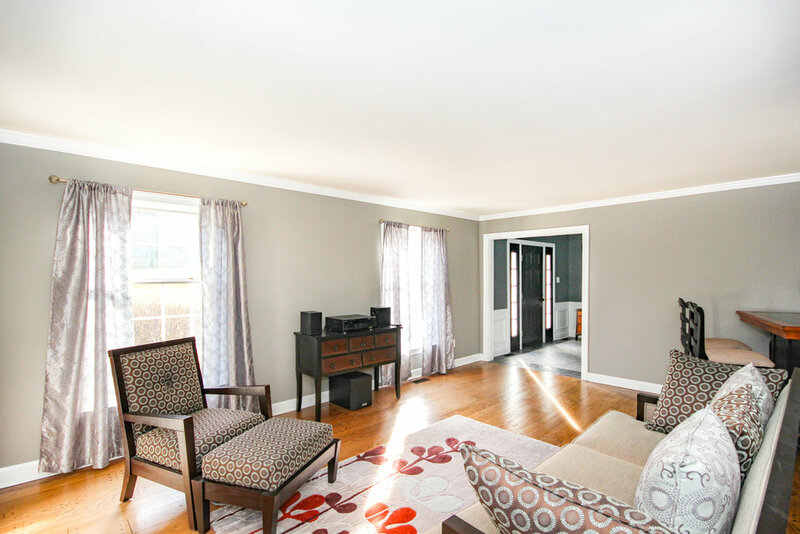 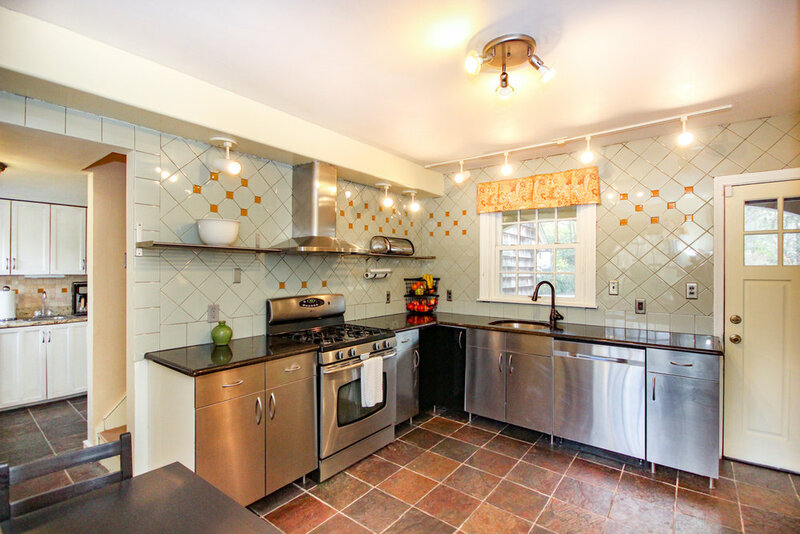 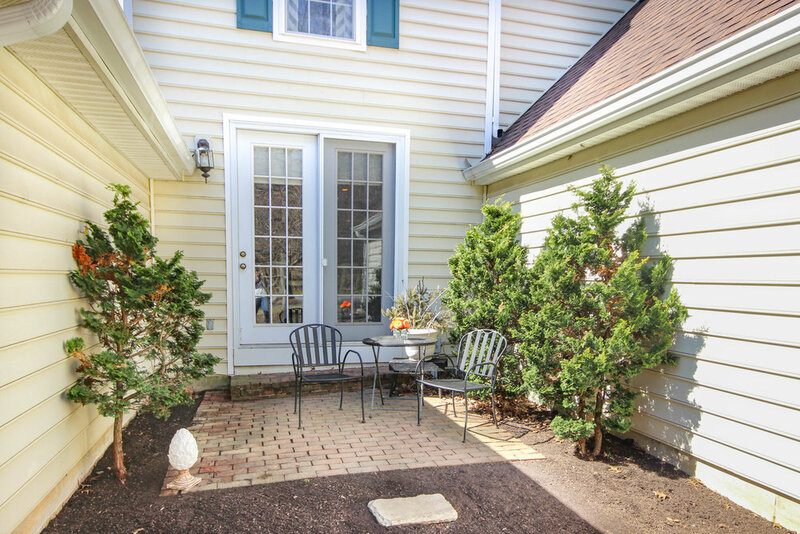 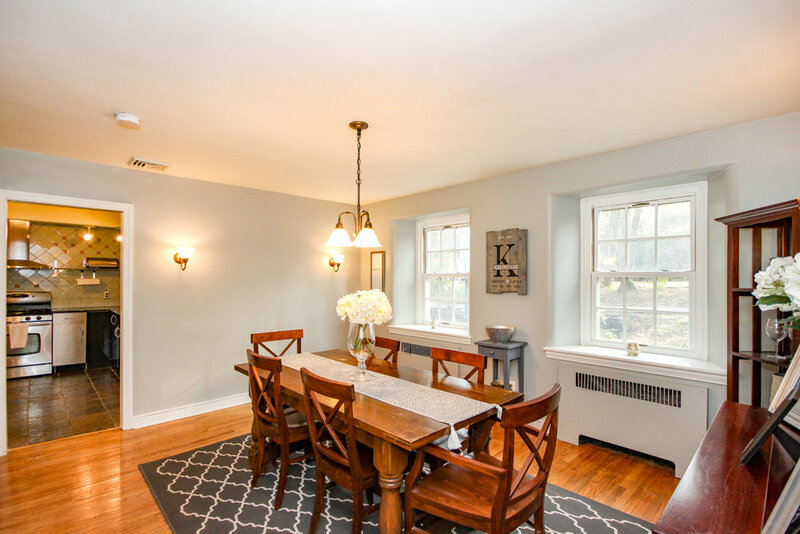 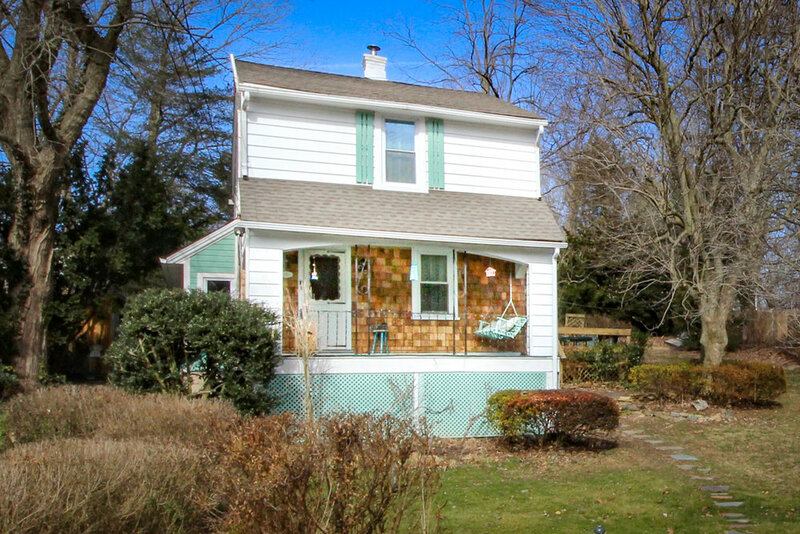 Located in perfect proximity to shops and restaurants on Rte 202. 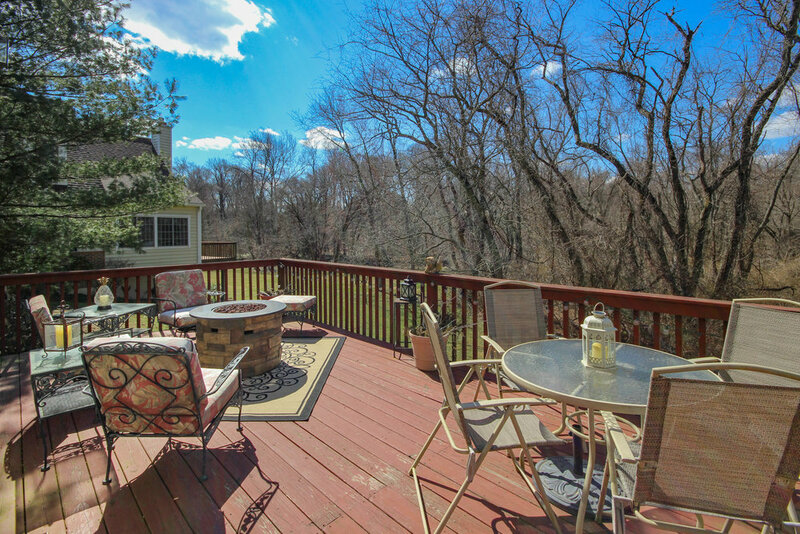 Less than 10 miles from Wilmington, DE. 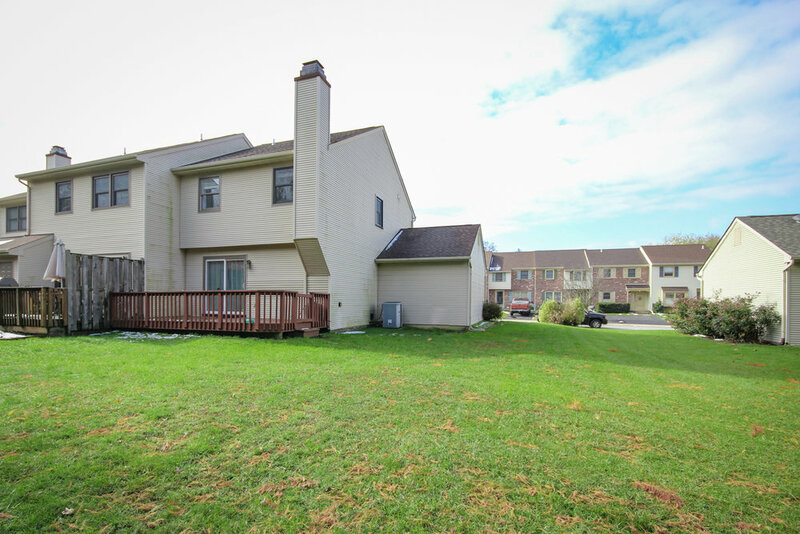 Property is also located within award winning Garnet Valley School District.